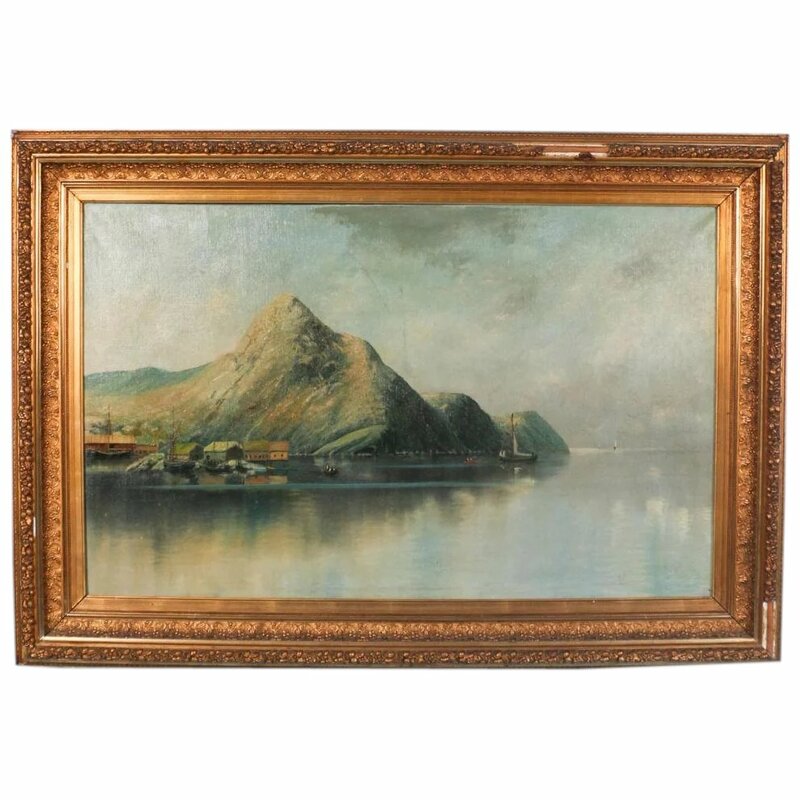 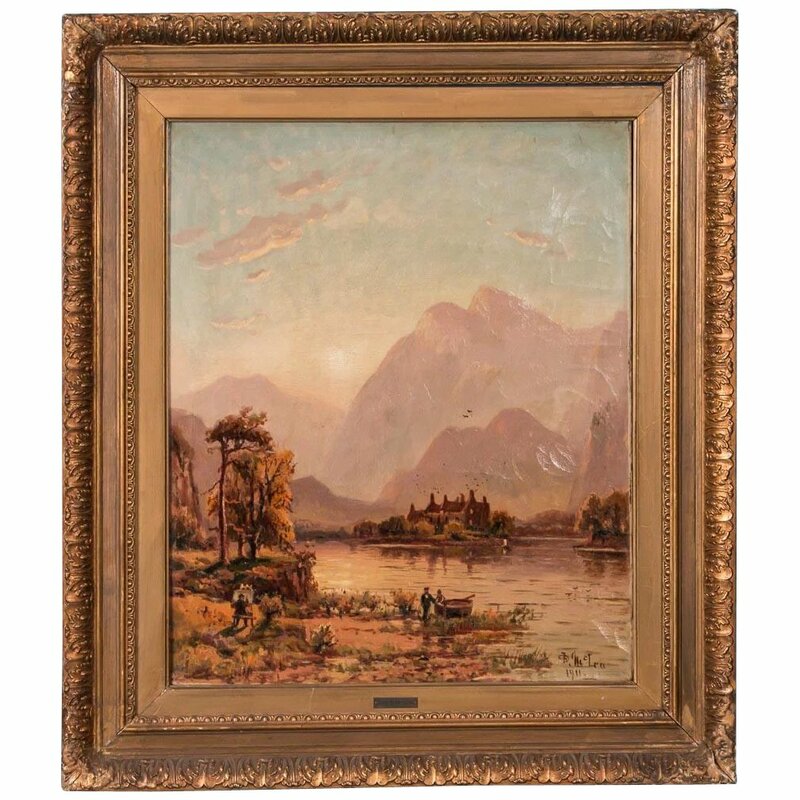 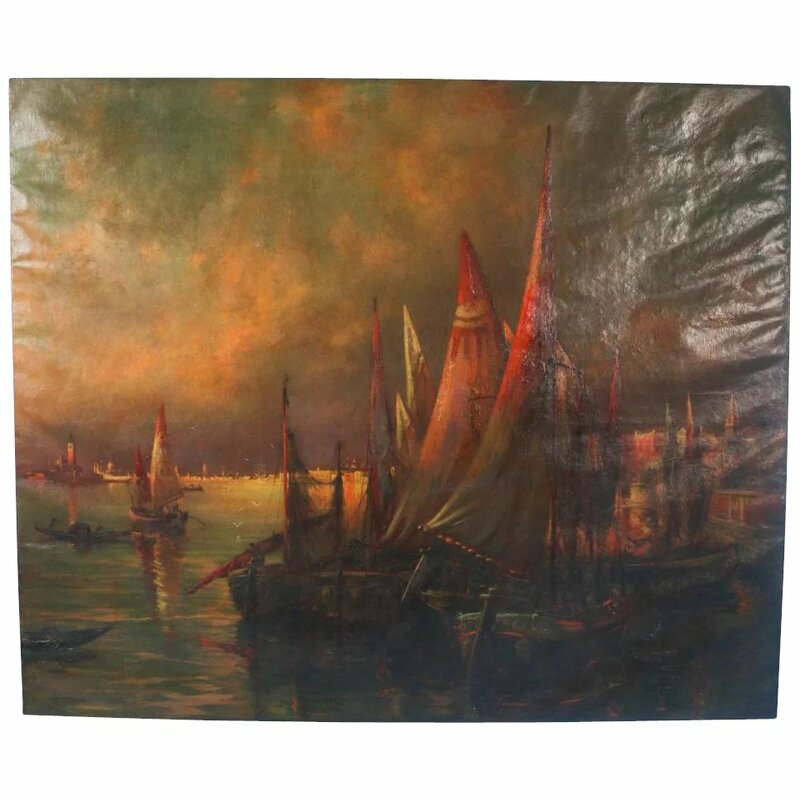 Large unsigned original oil painting of a sea harbor with a small fishing village and mountains in the background. 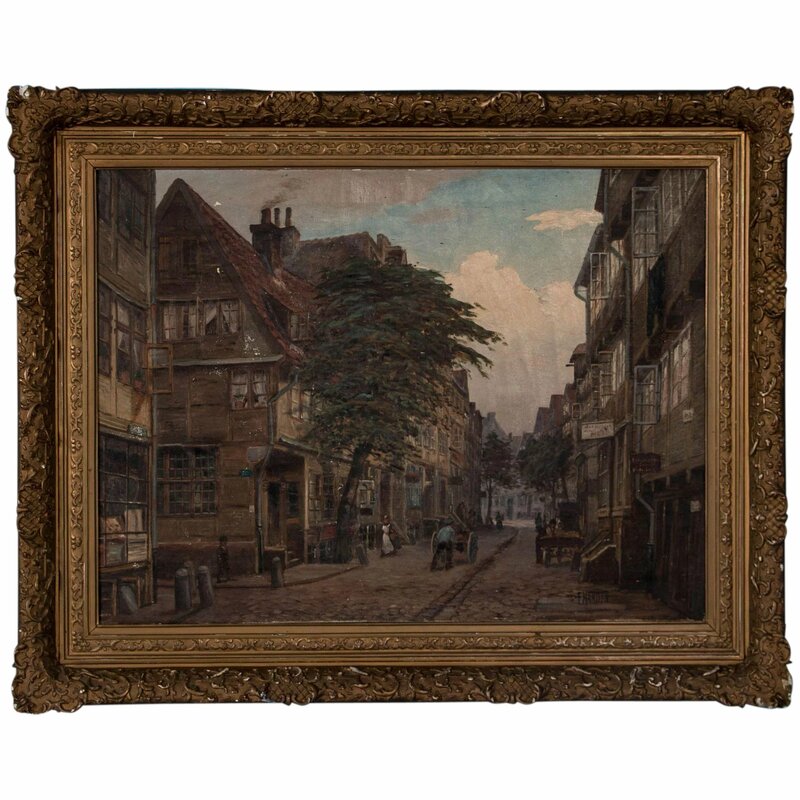 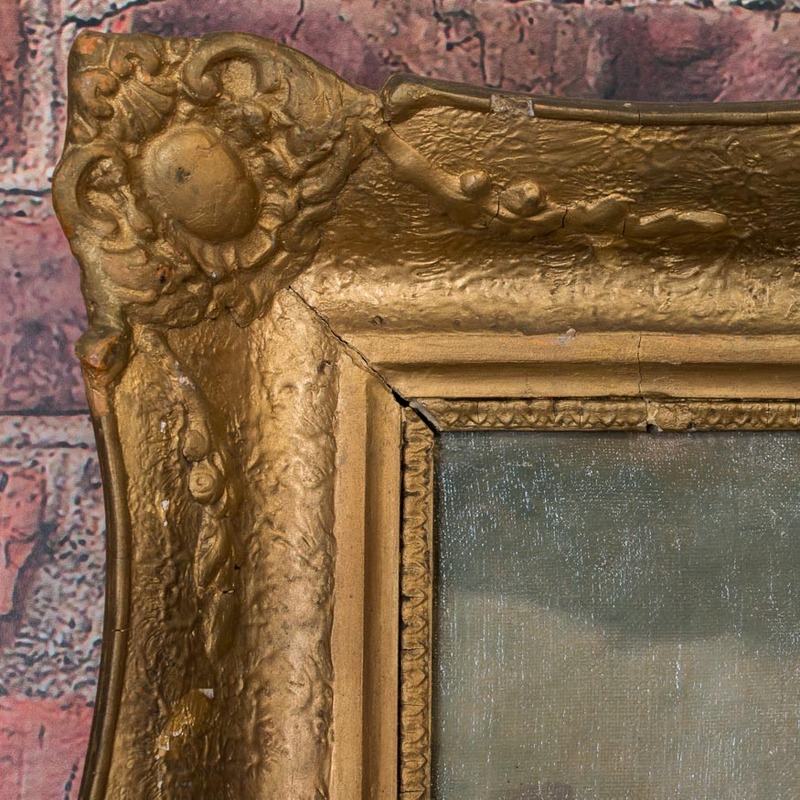 The period ornate gilded frame complements this dramatic unsigned painting. 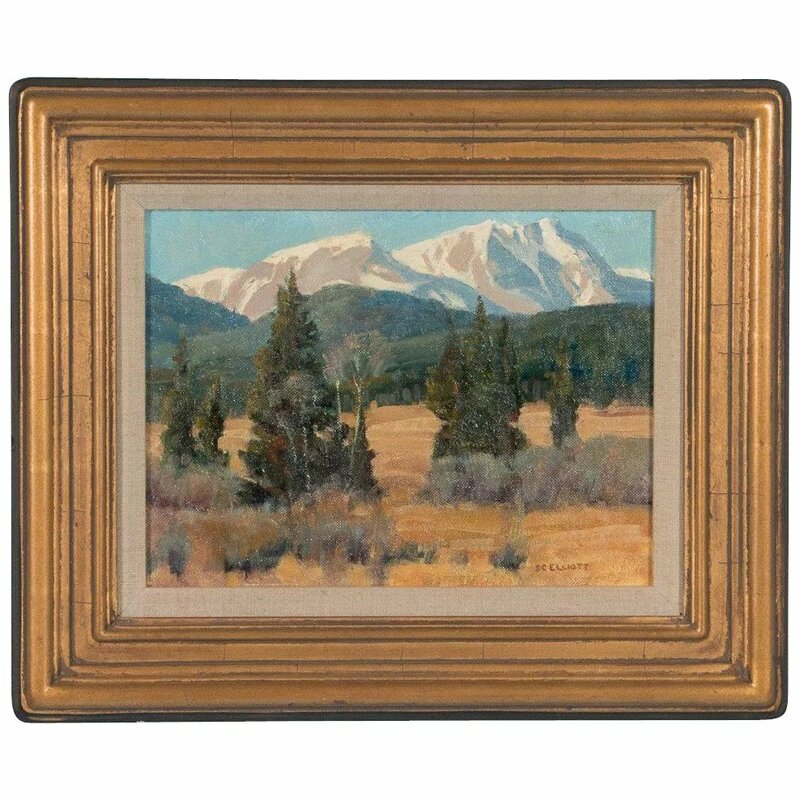 Oil on artist's board landscape of snow capped peaks in Rocky Mountain Nat'l Park, by Stephen Elliott. 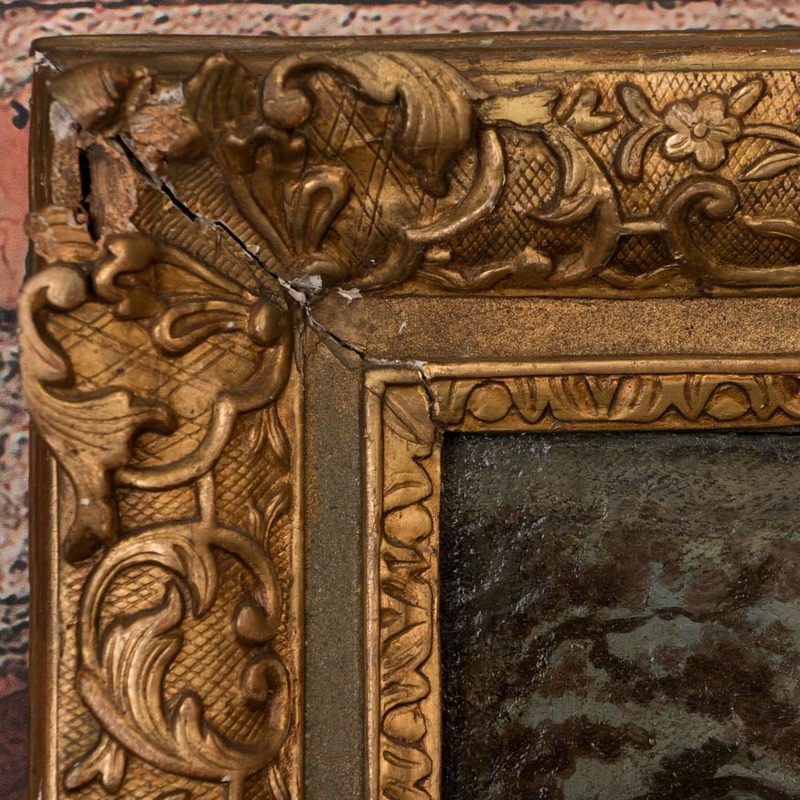 The painting is signed SC Elliott in the lower right and mounted in a gilt wood frame. 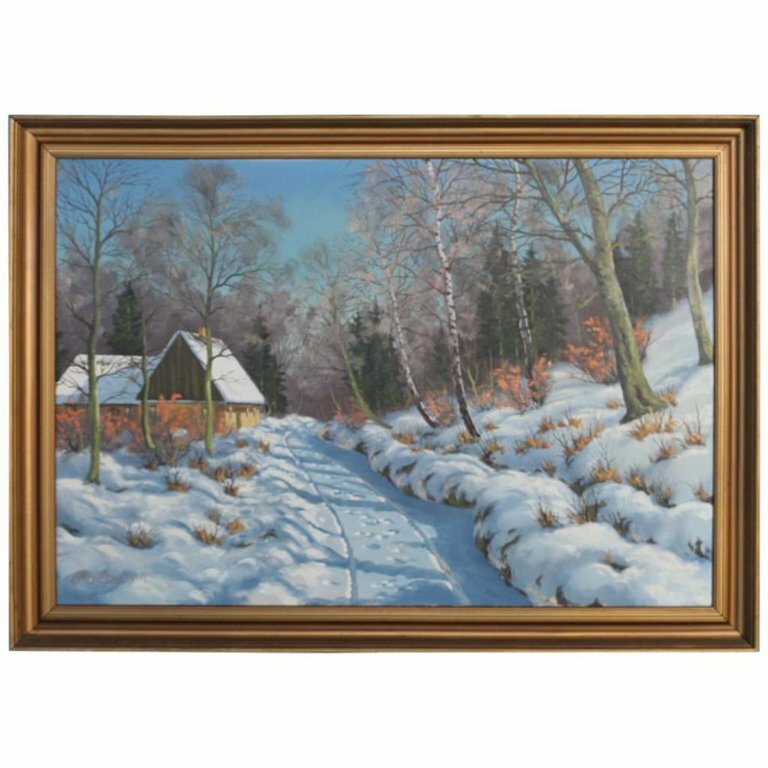 Original oil on canvas of a country home at the end of a snowy winter road. 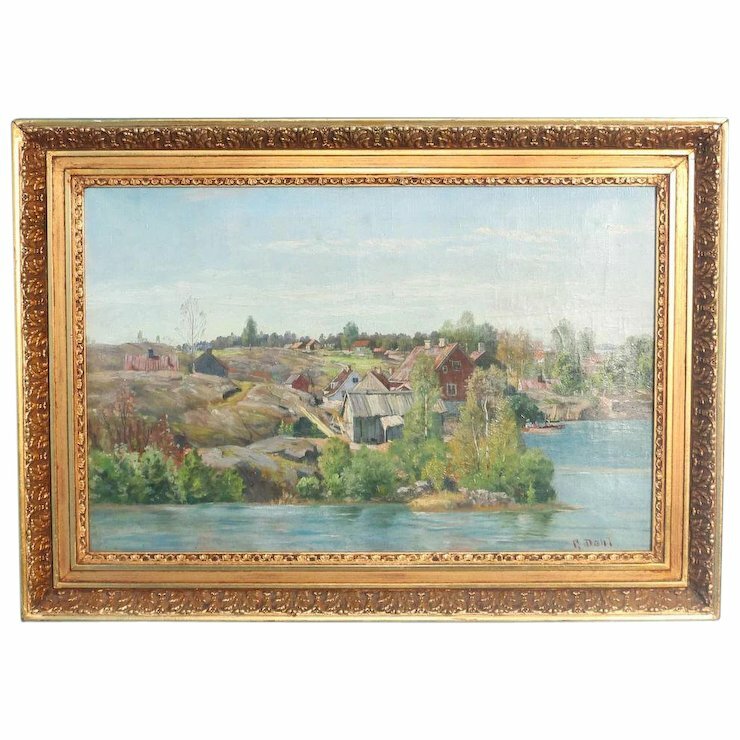 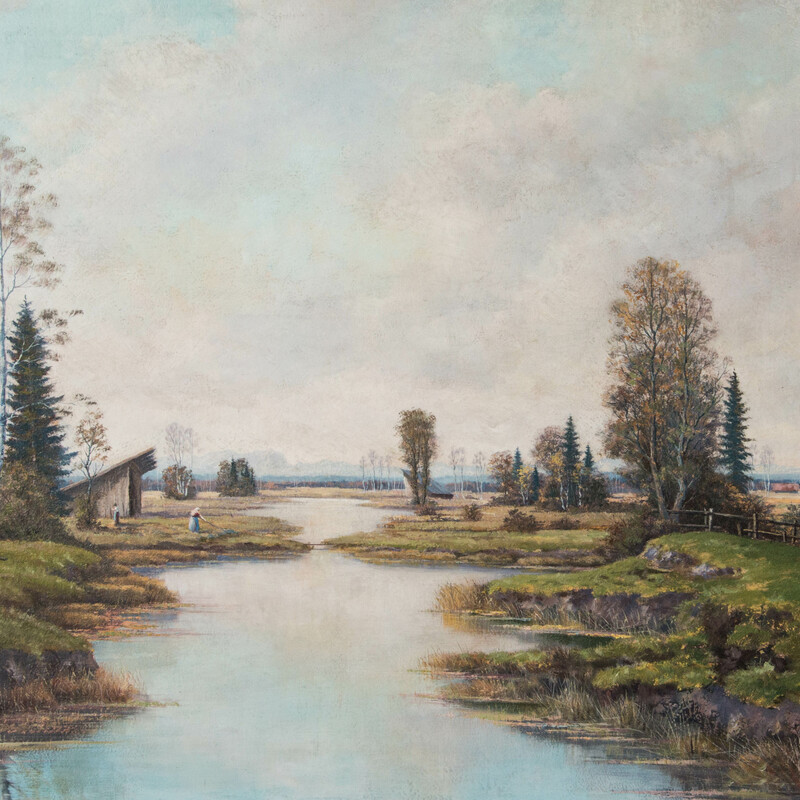 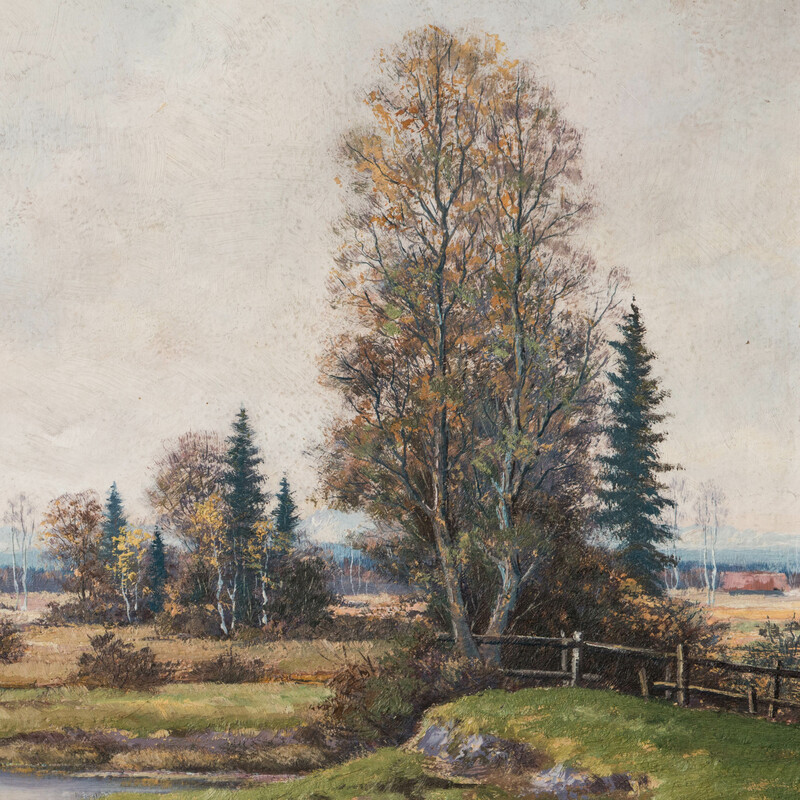 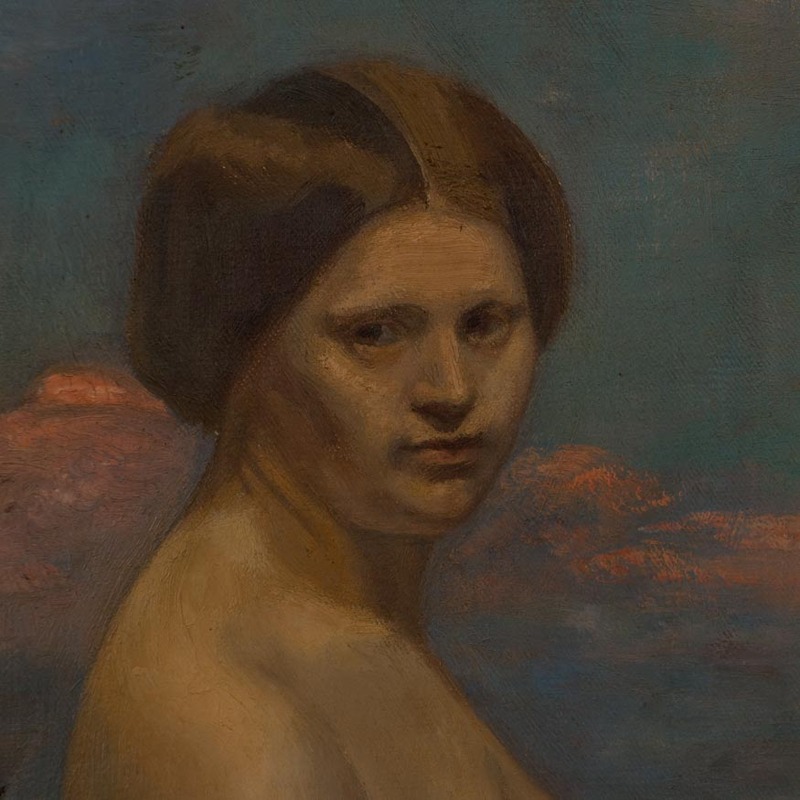 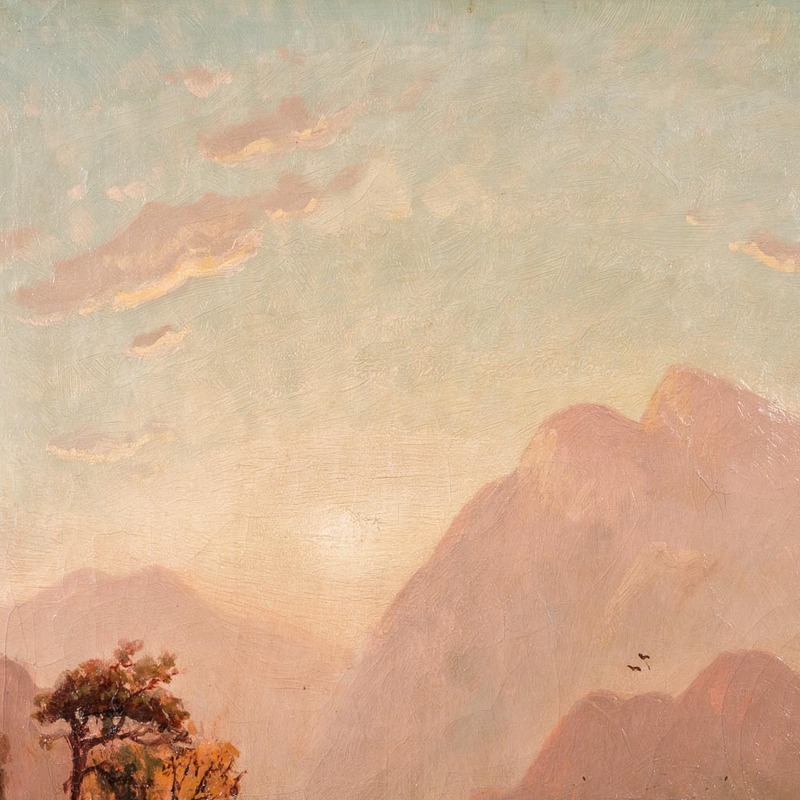 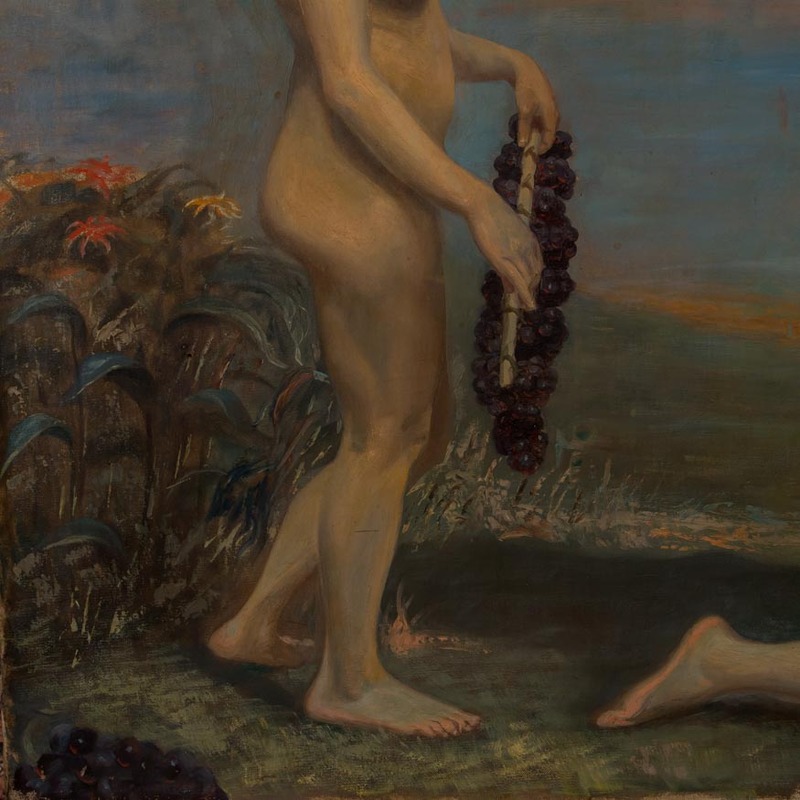 Danish, circa 1840 signed Otto Eilentsen. 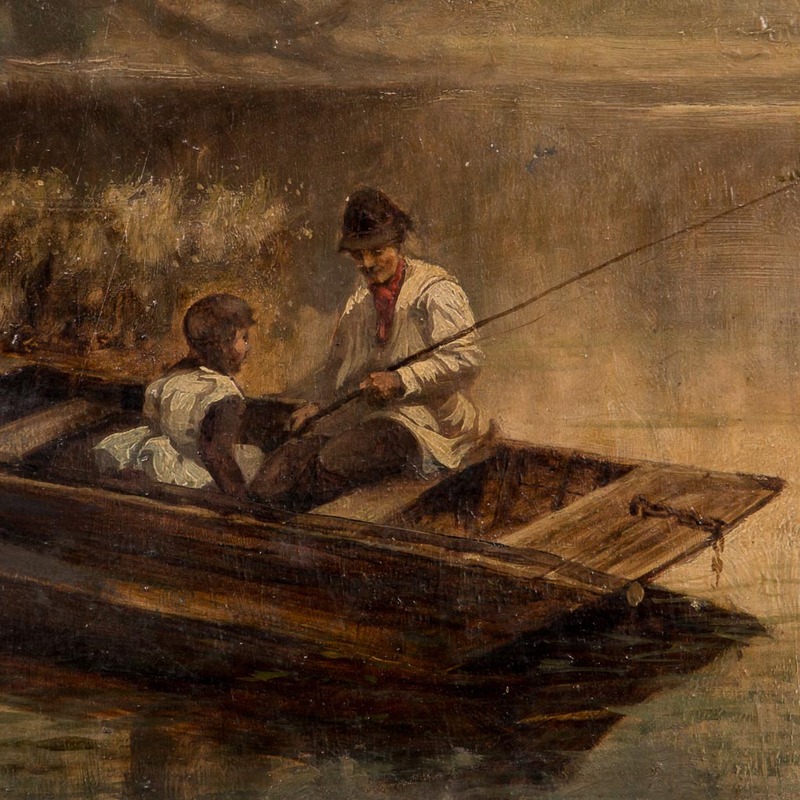 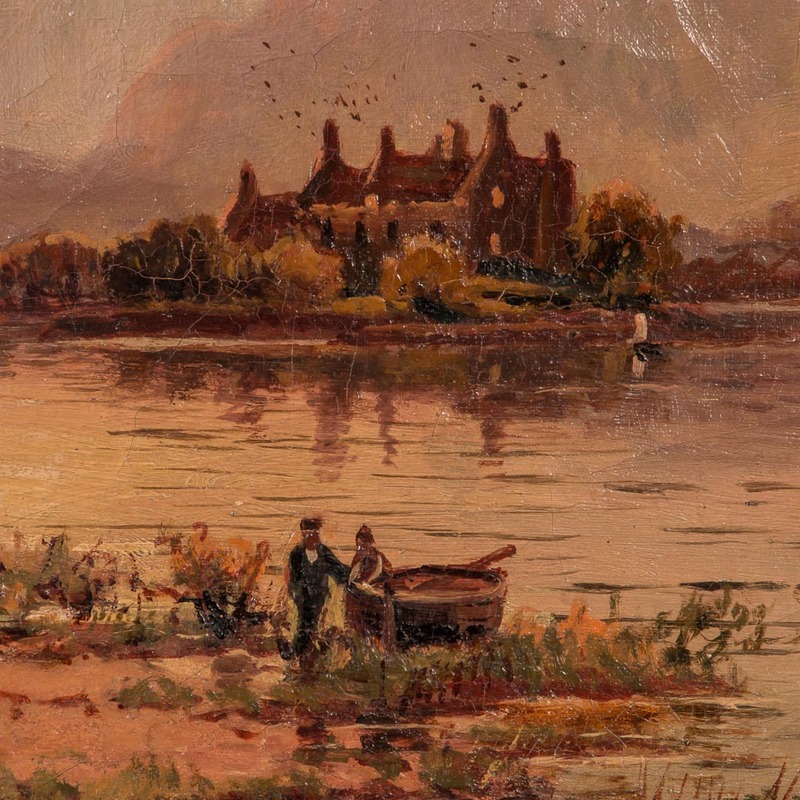 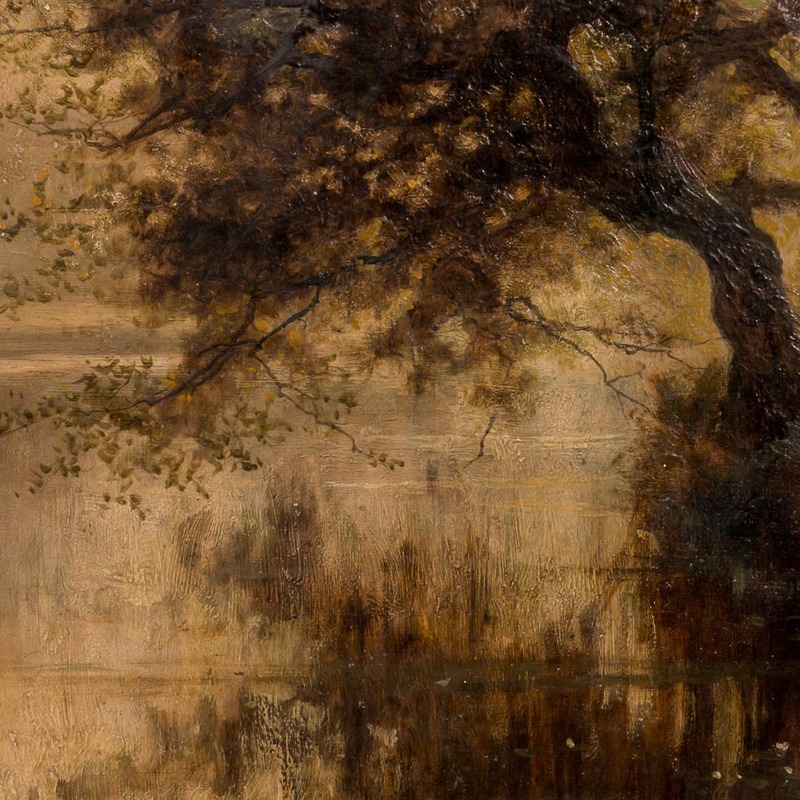 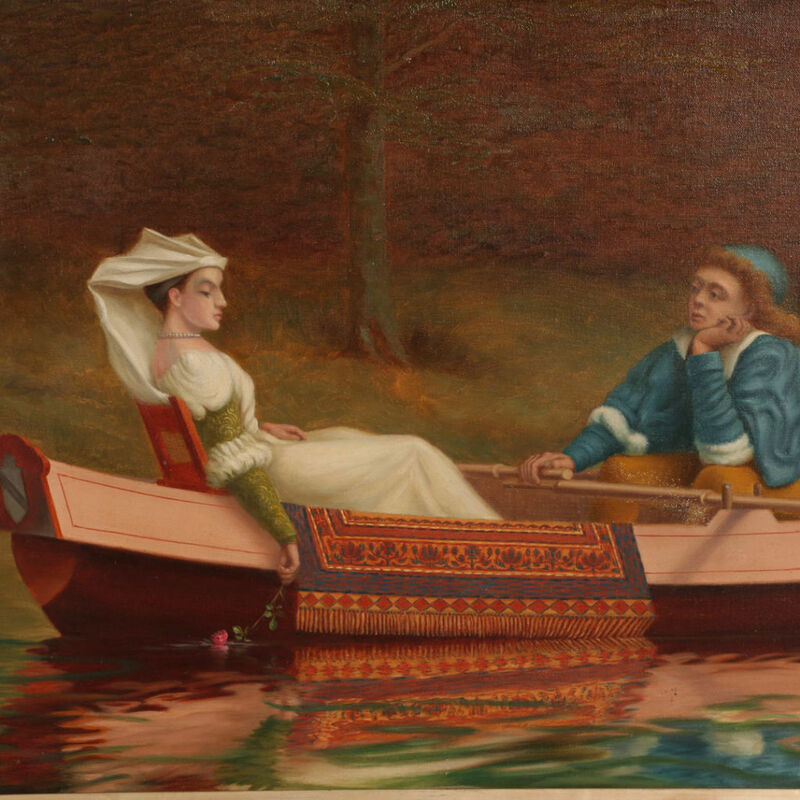 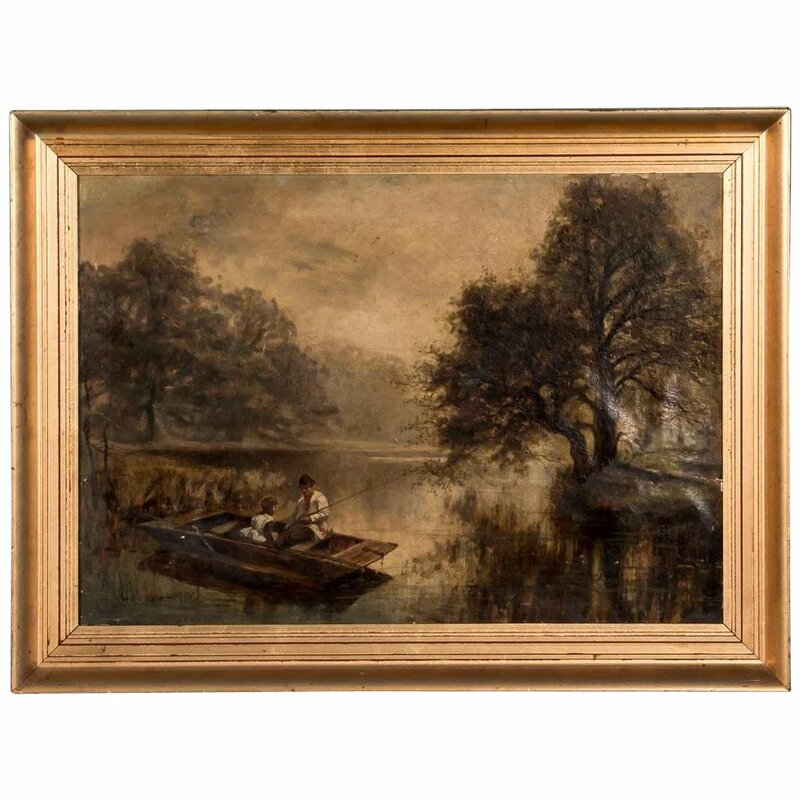 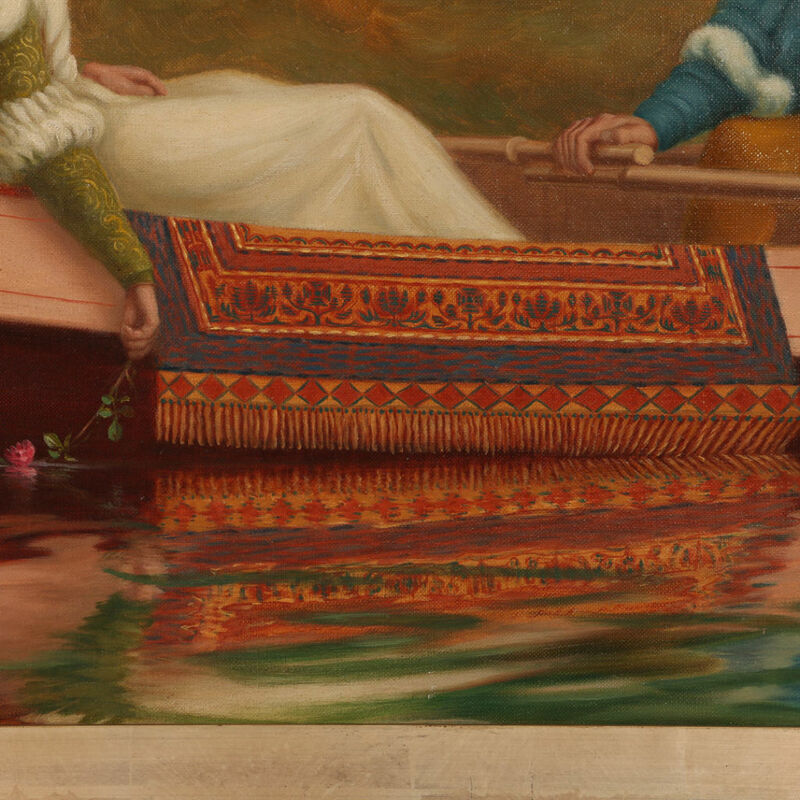 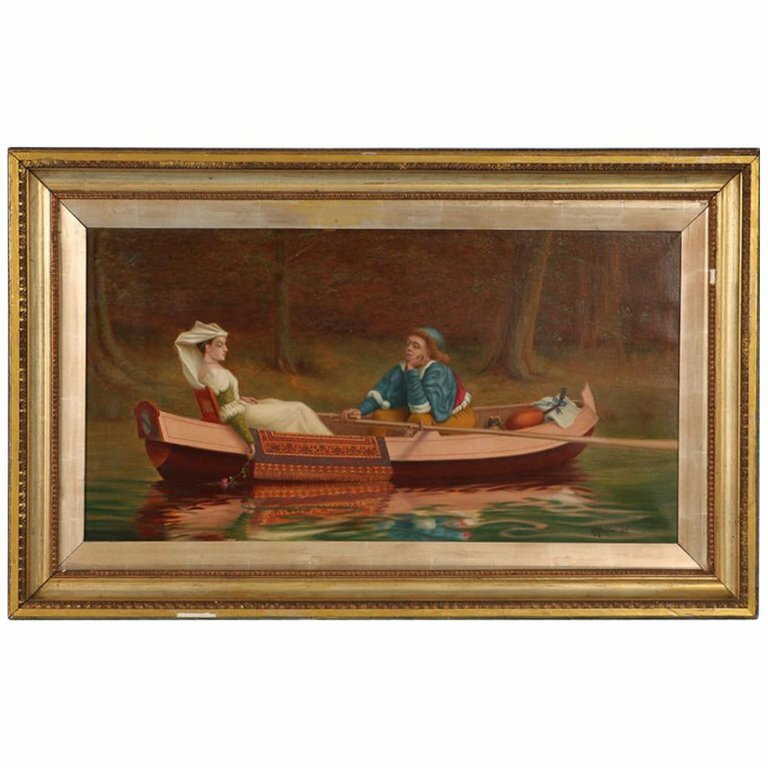 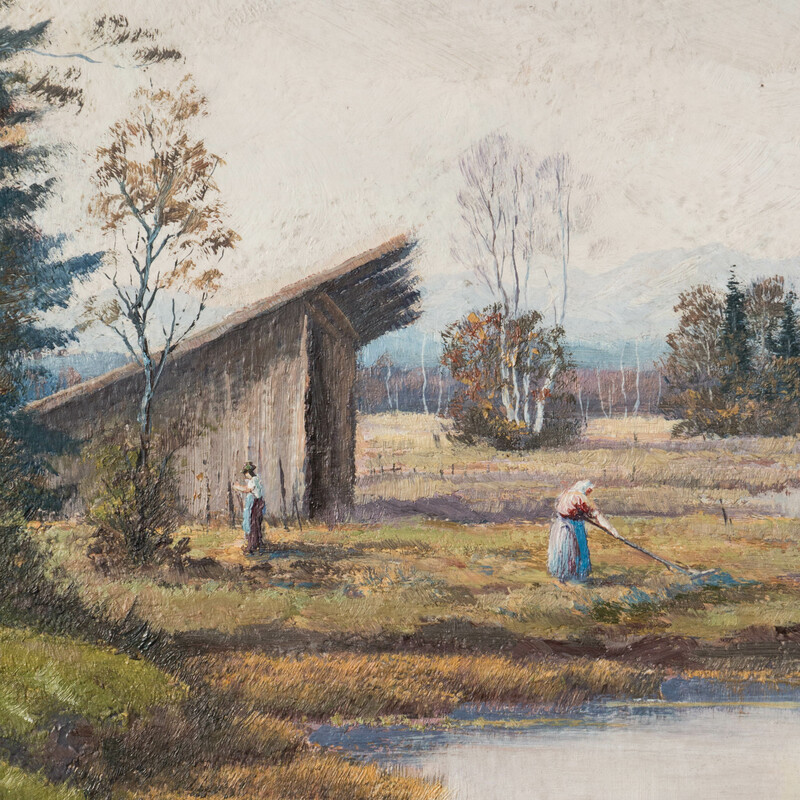 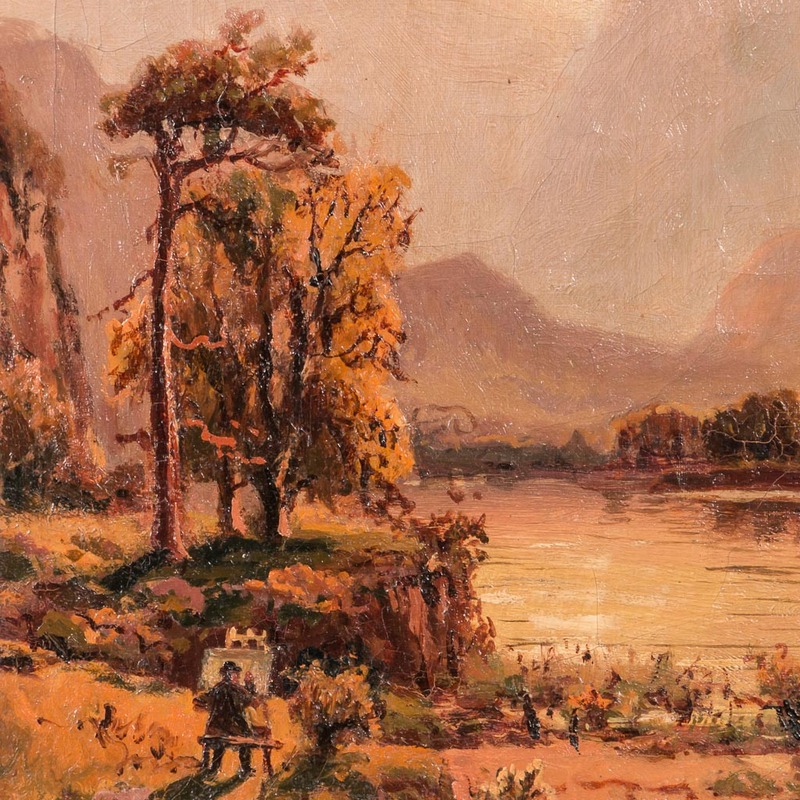 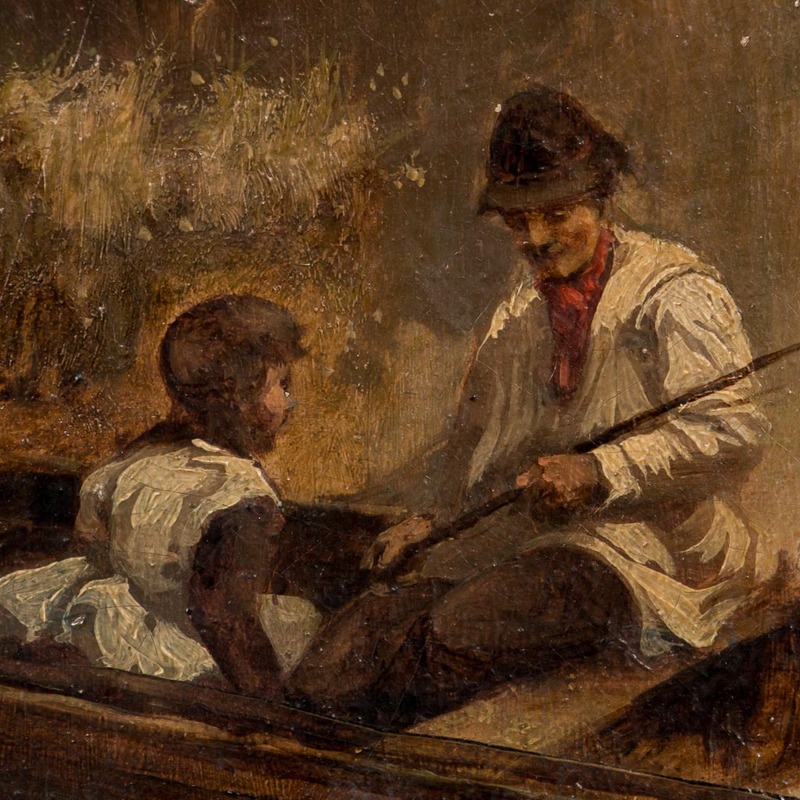 Antique original English oil painting of a father and daughter fishing from a boat on a pond, circa 1880. 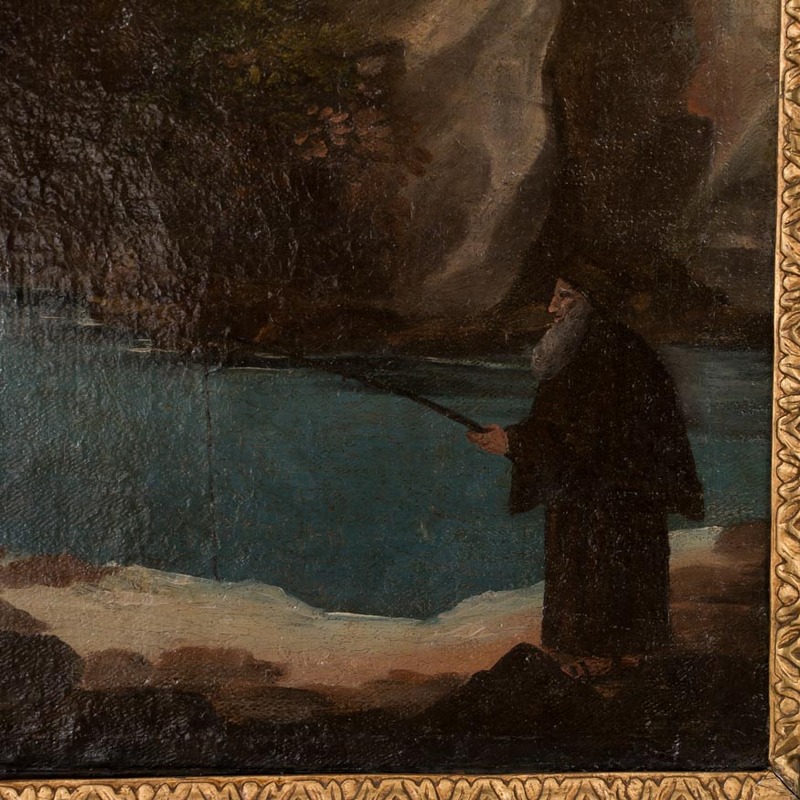 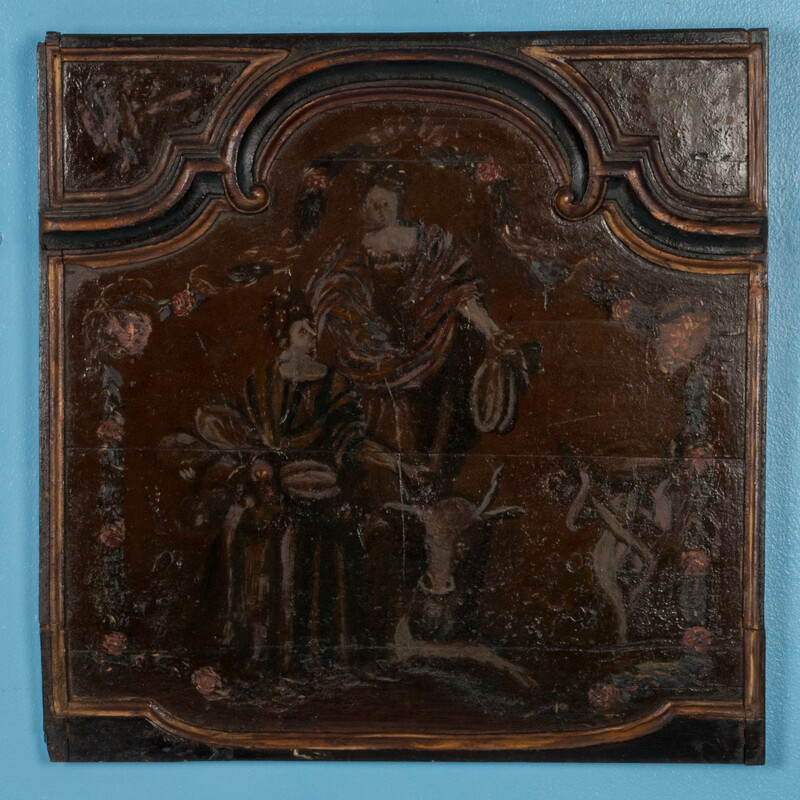 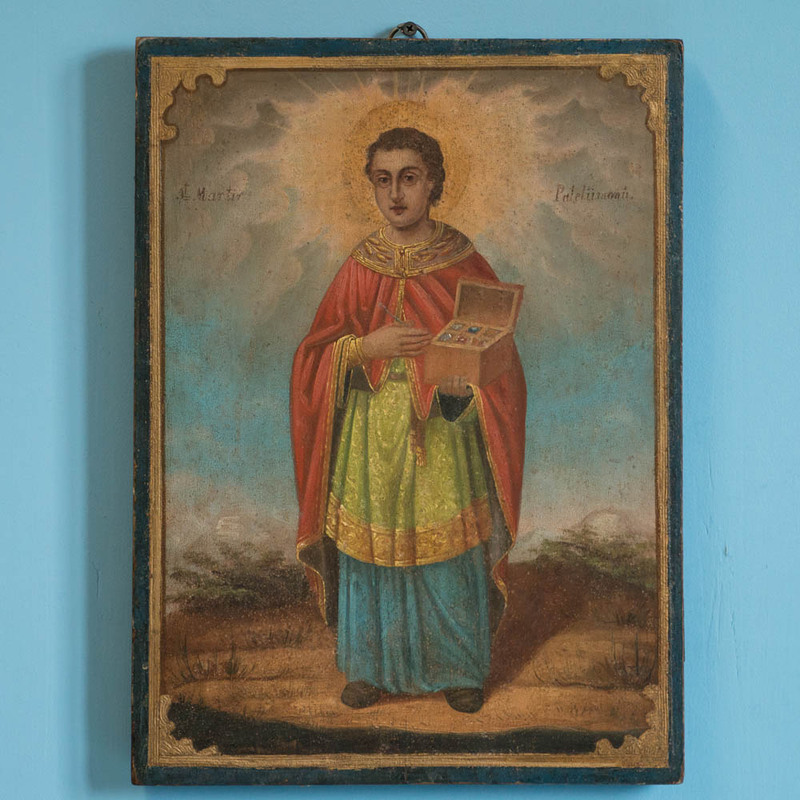 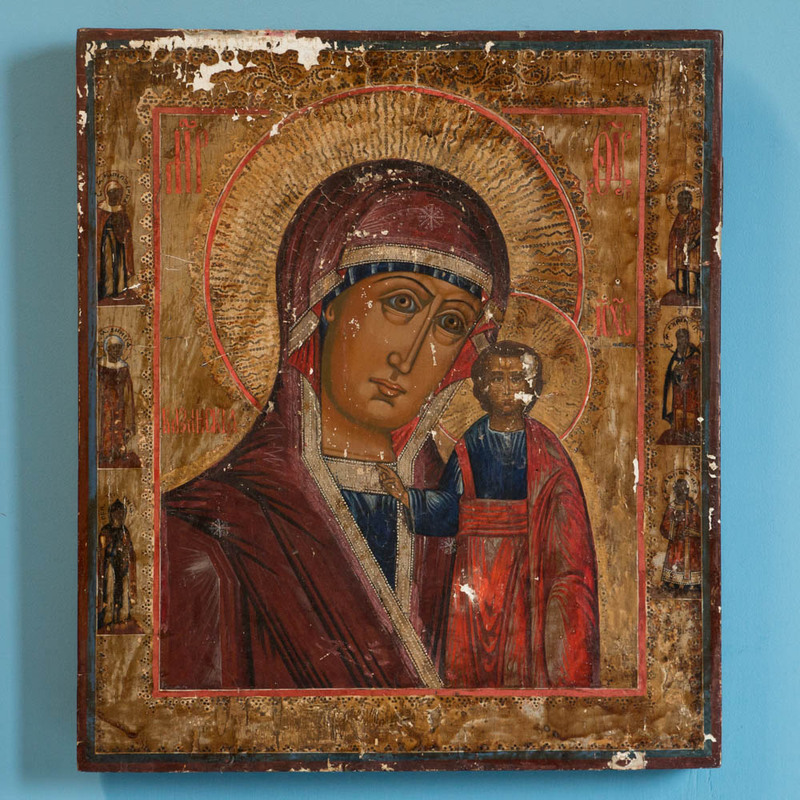 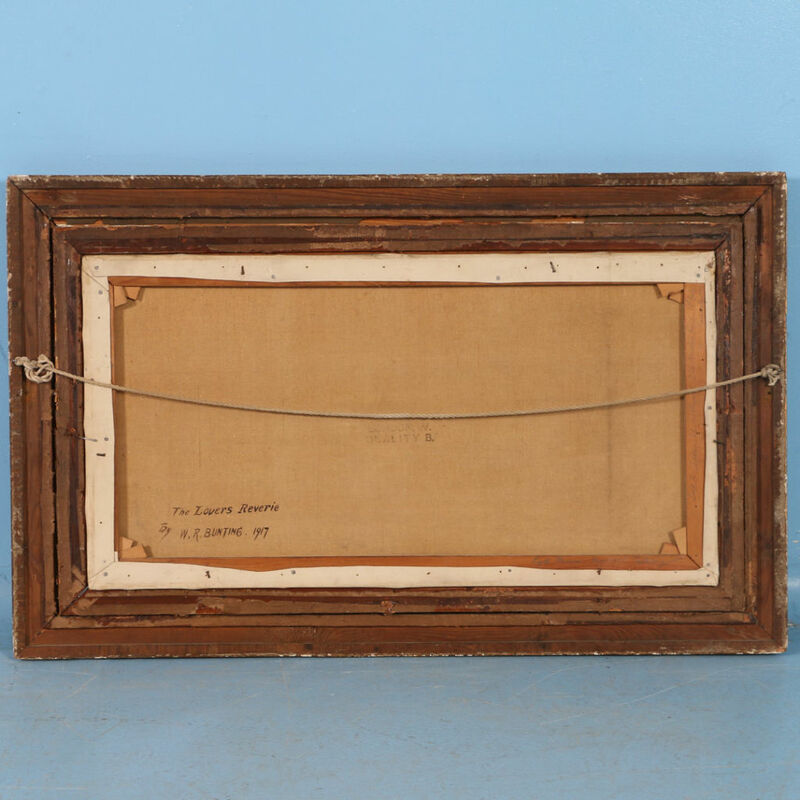 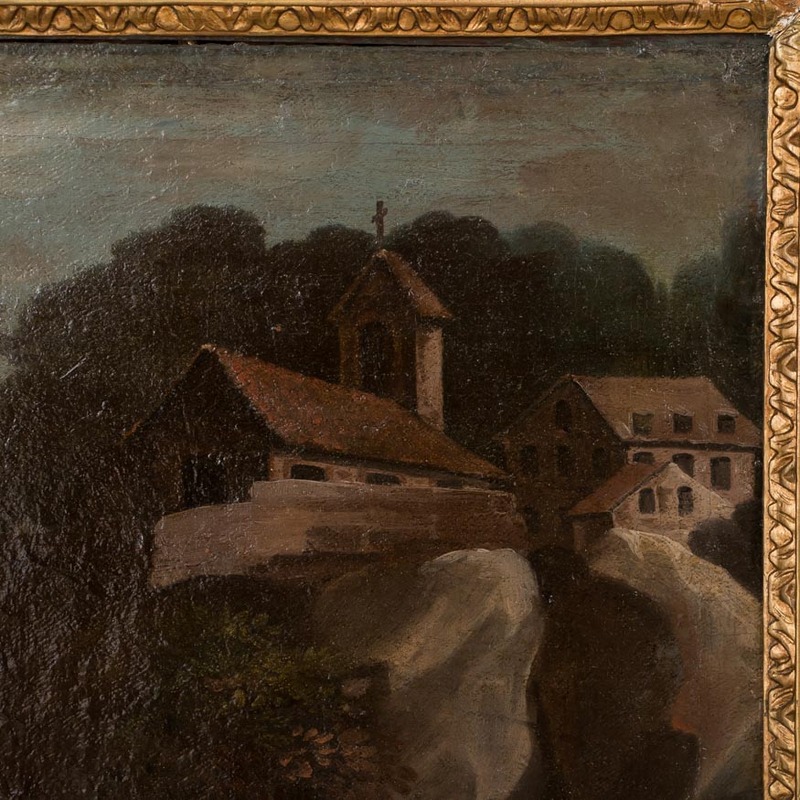 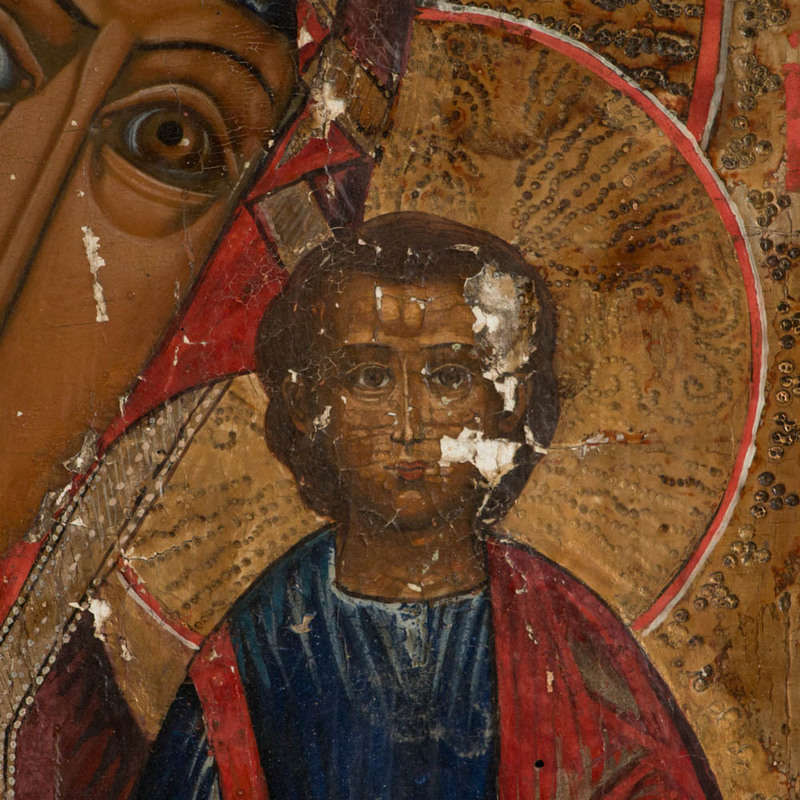 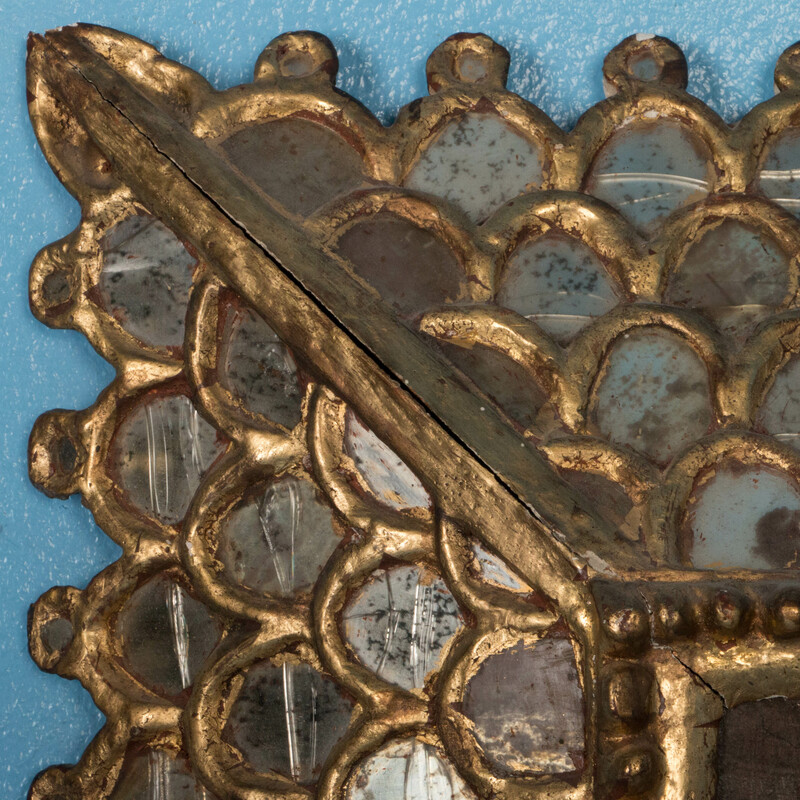 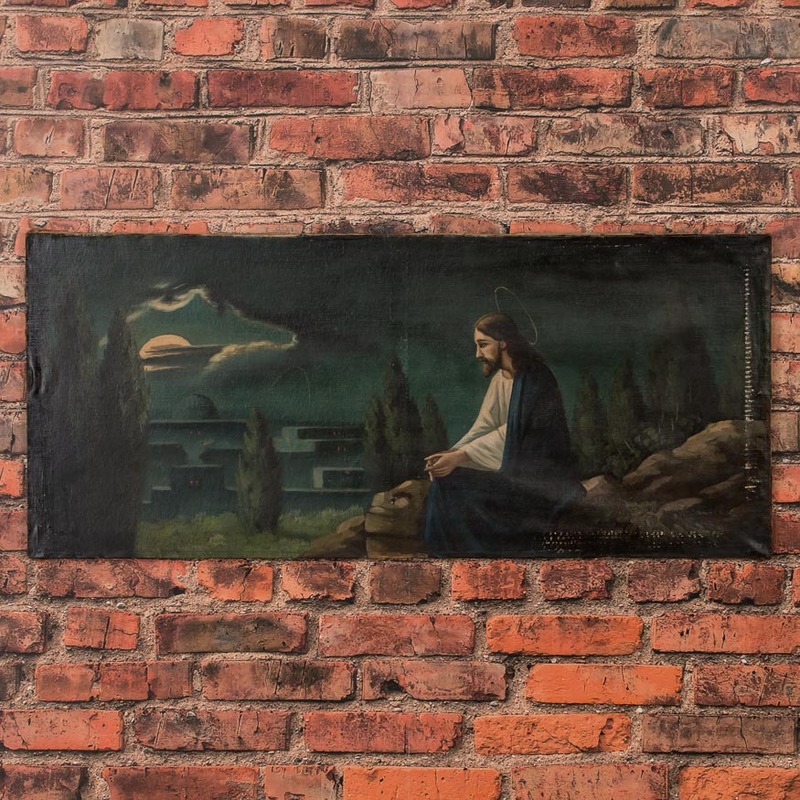 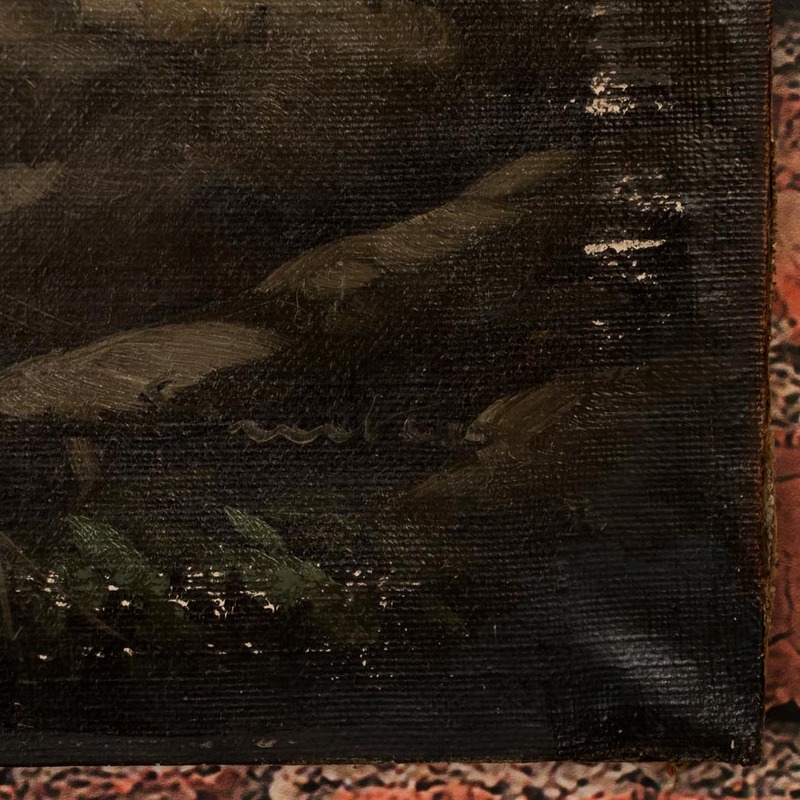 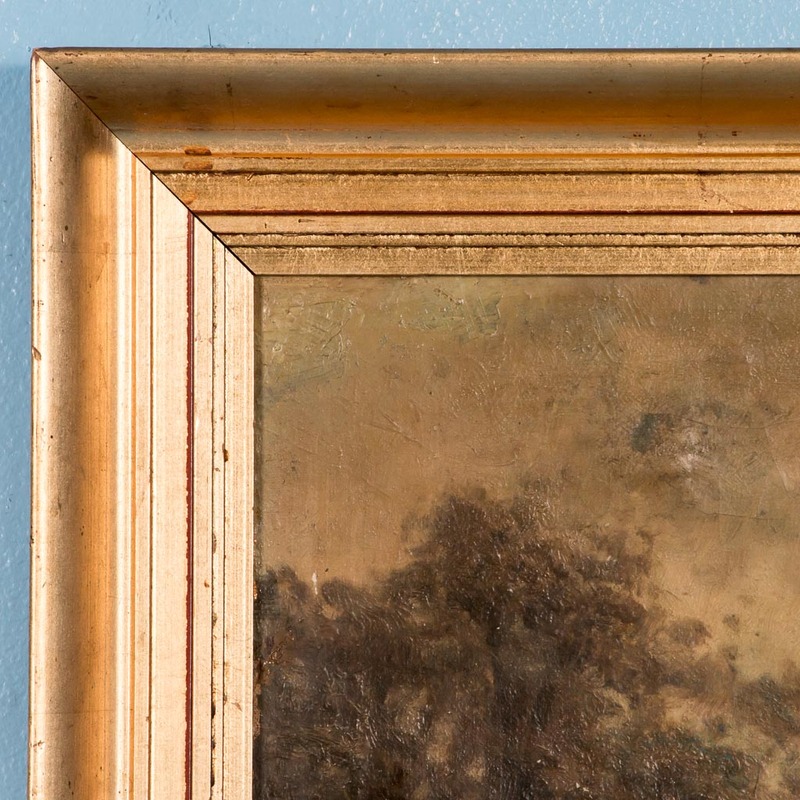 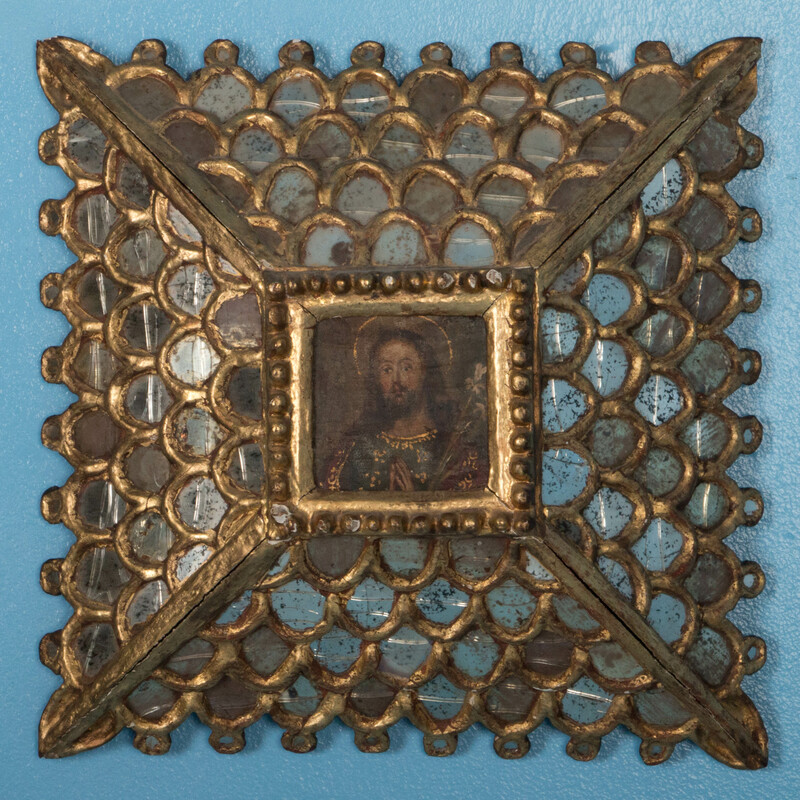 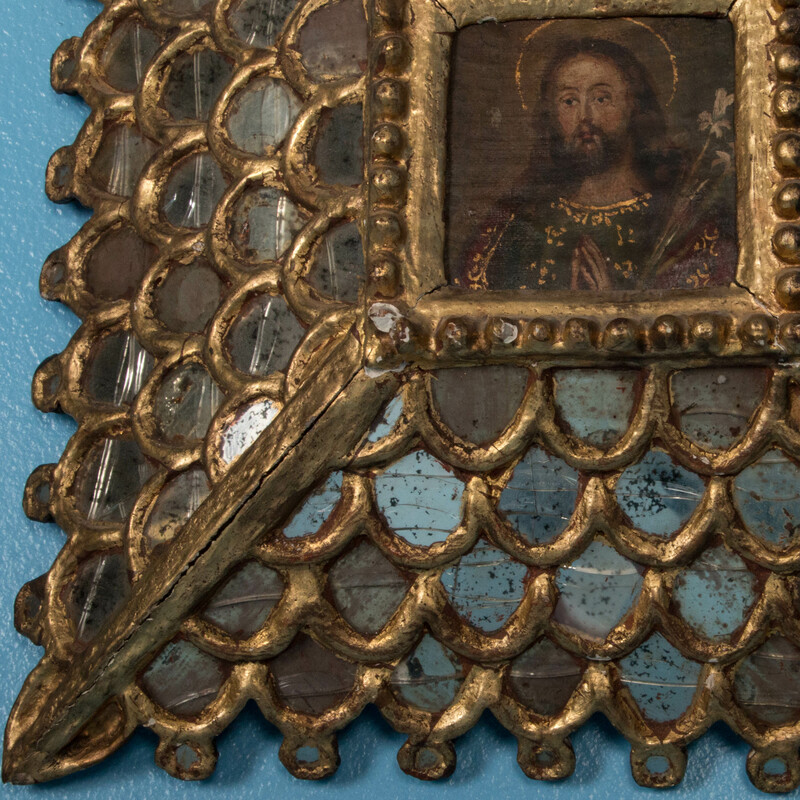 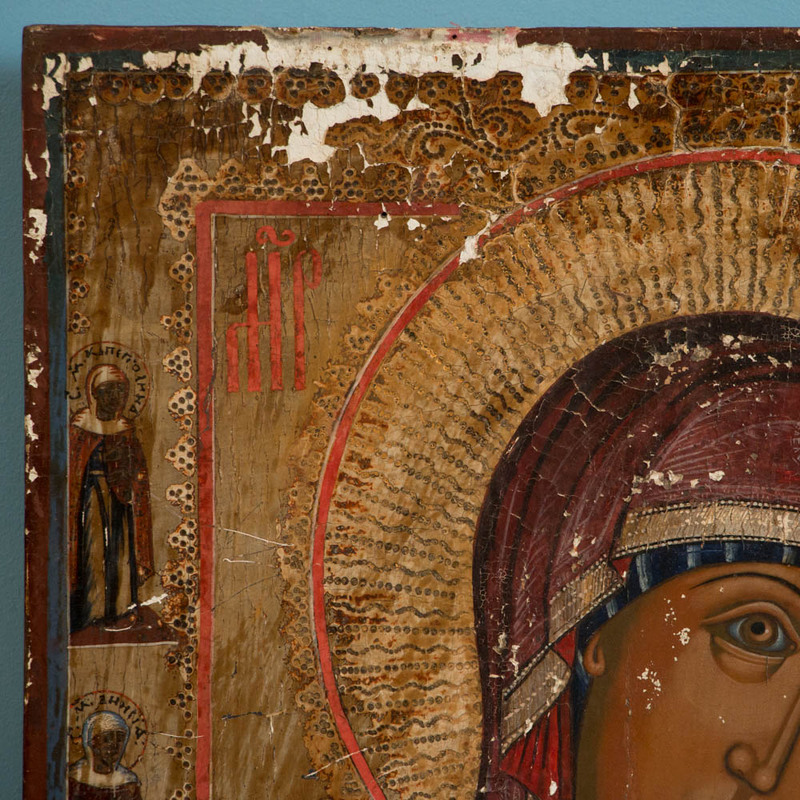 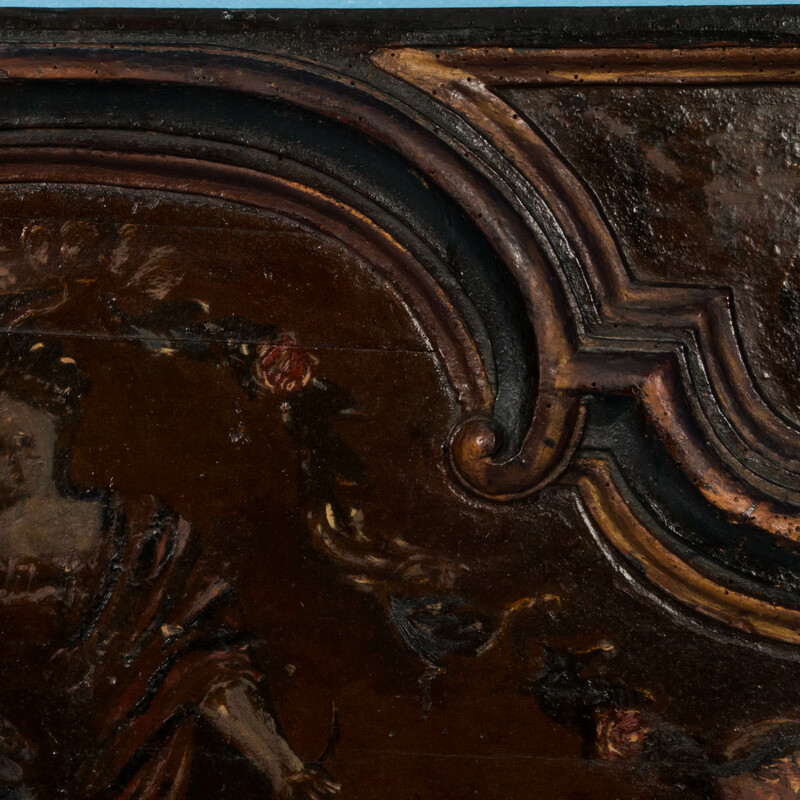 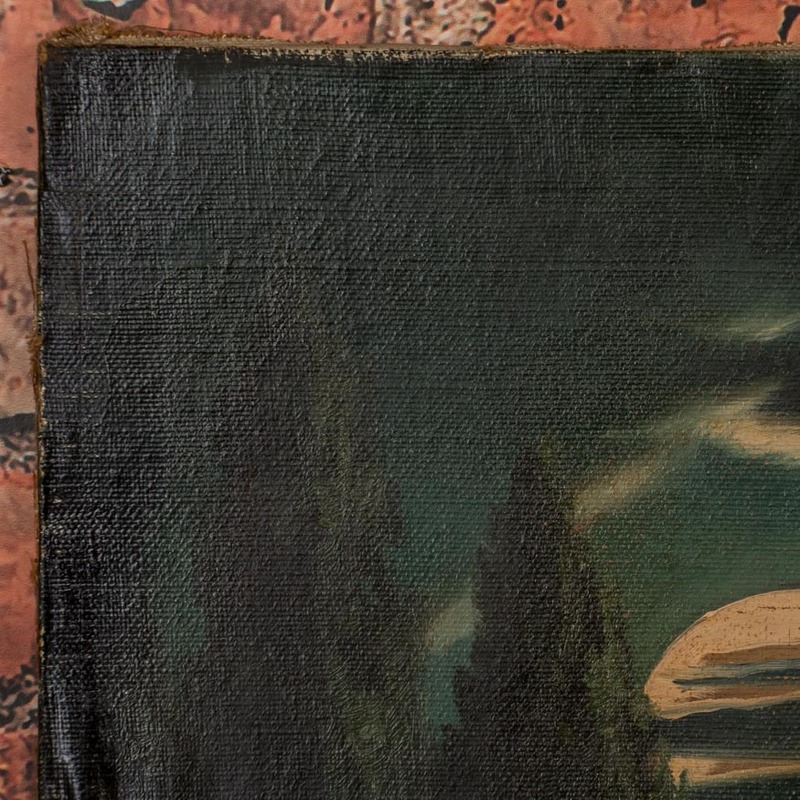 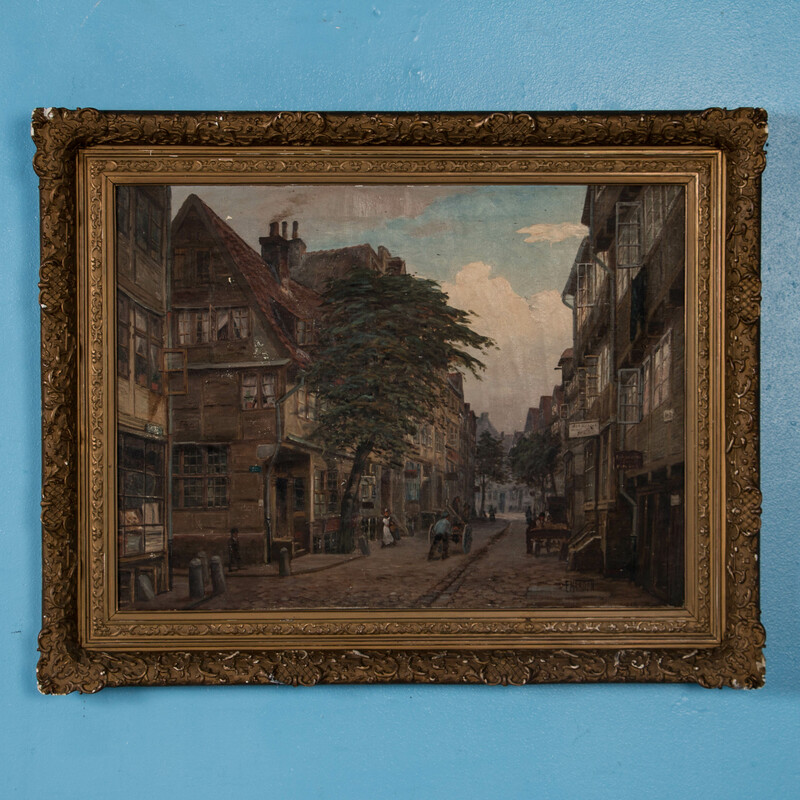 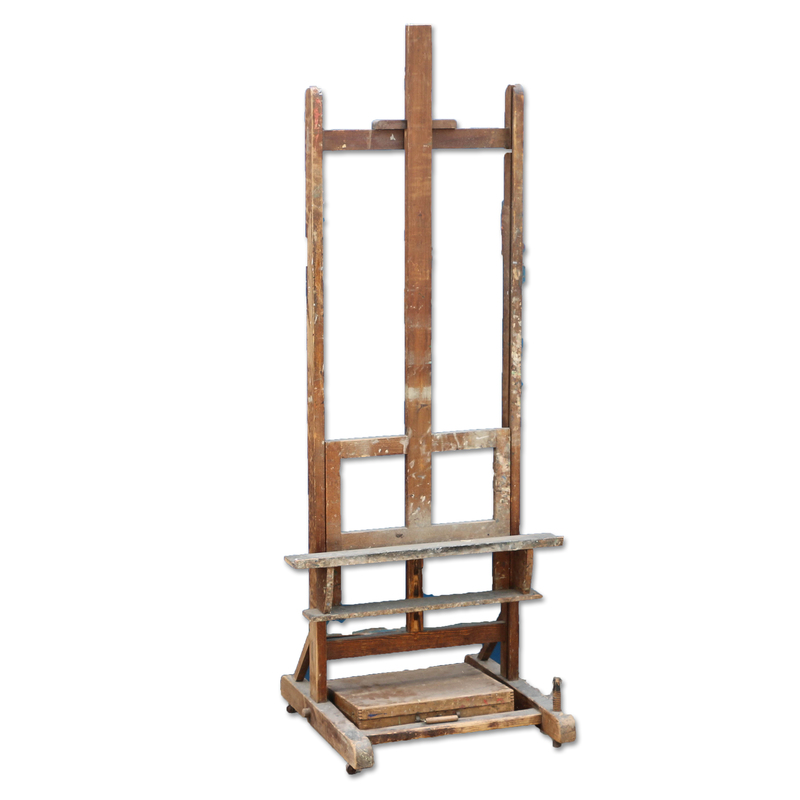 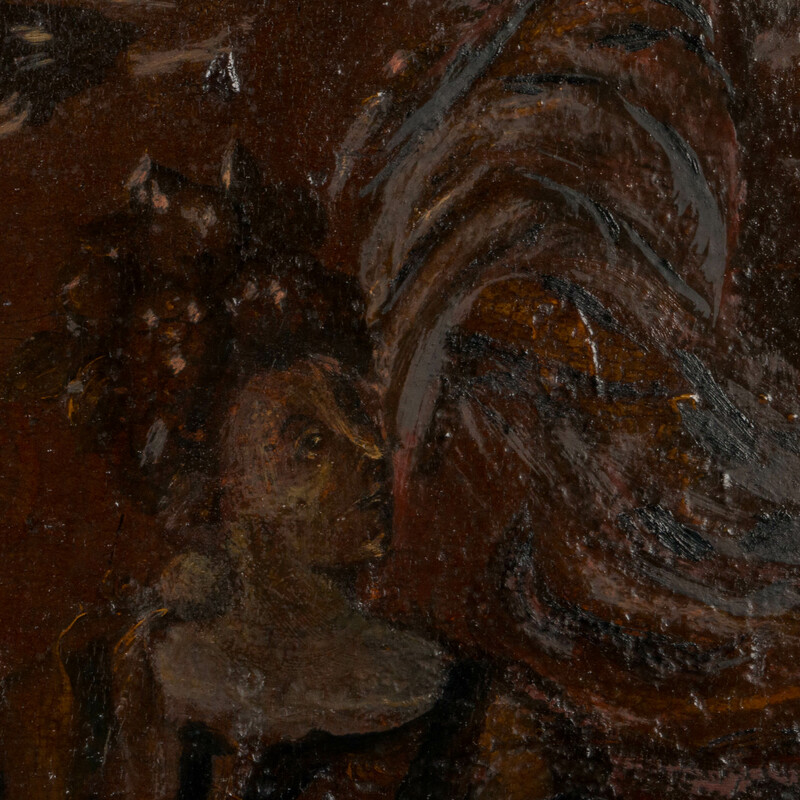 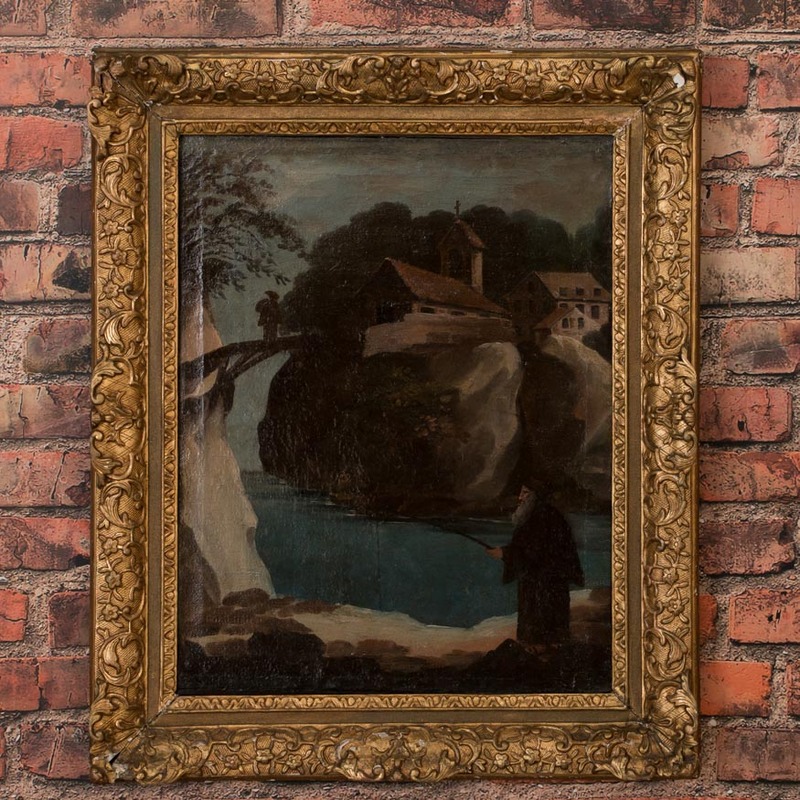 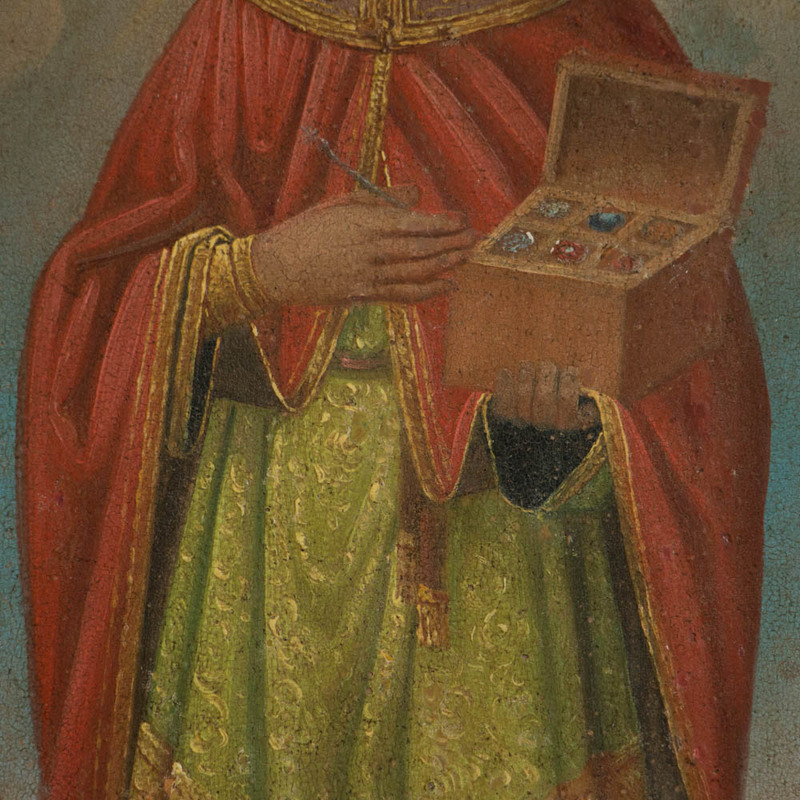 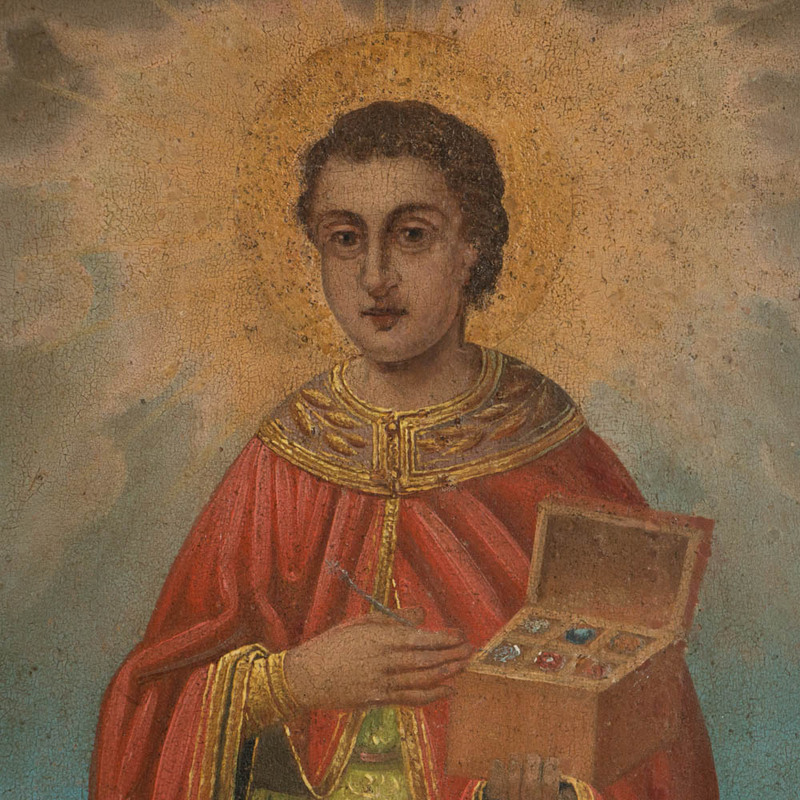 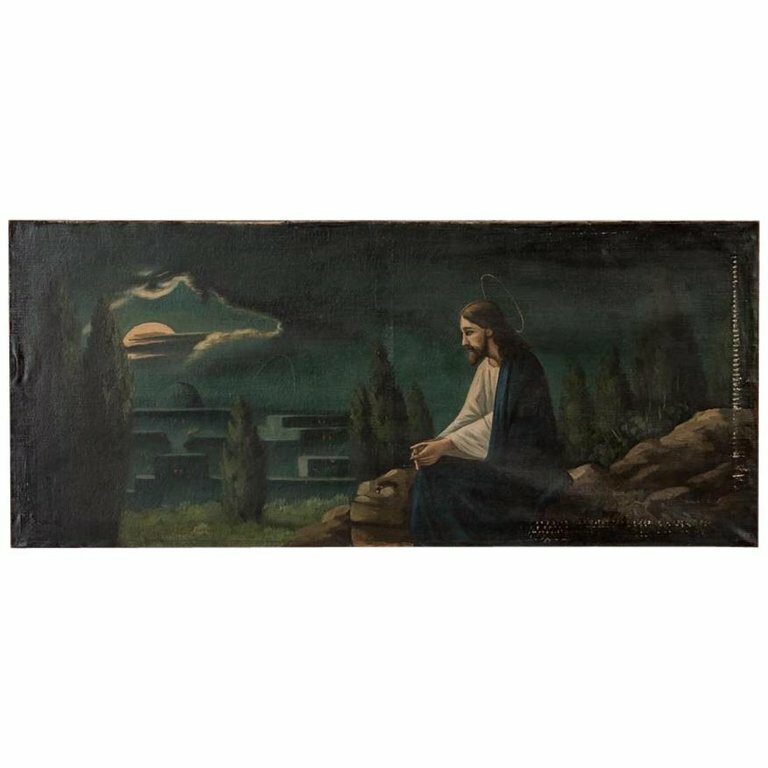 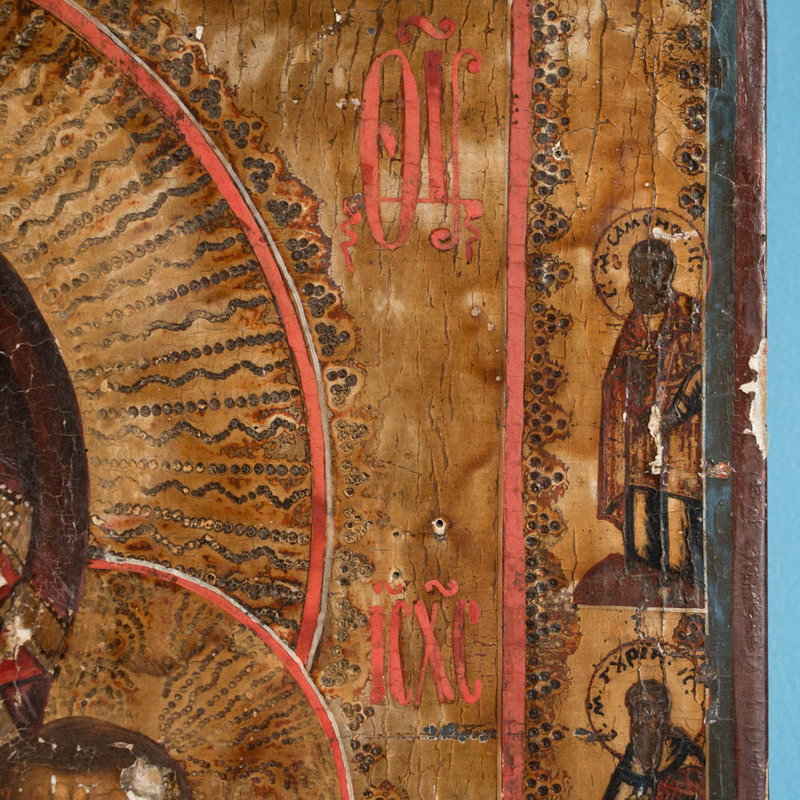 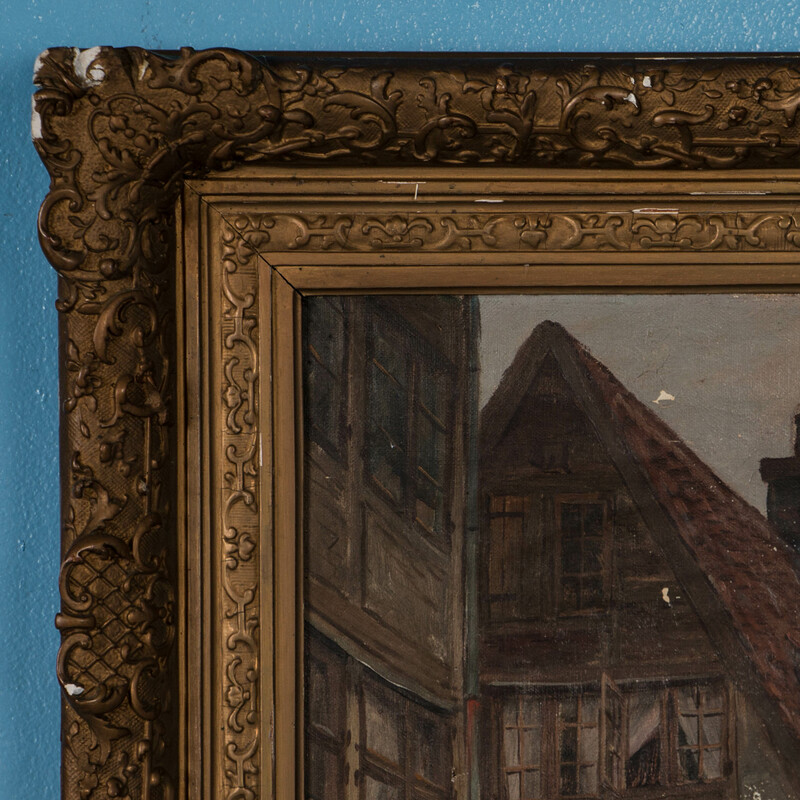 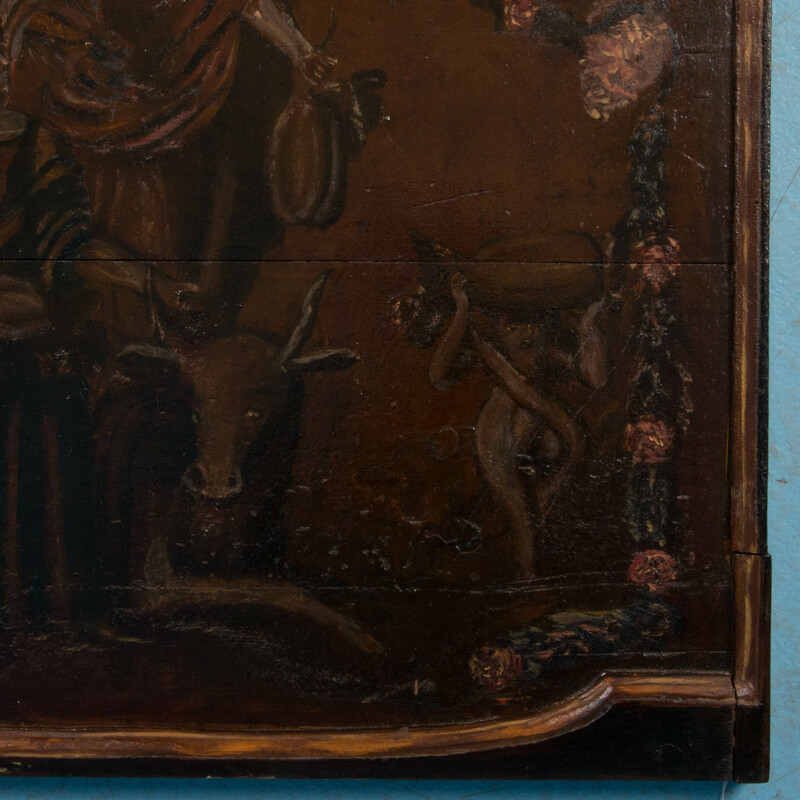 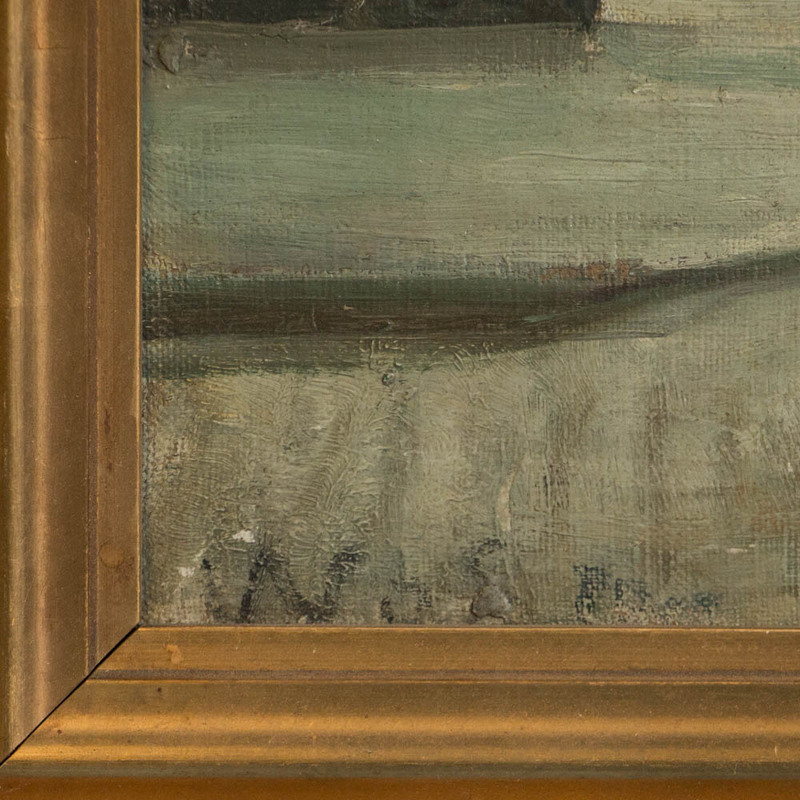 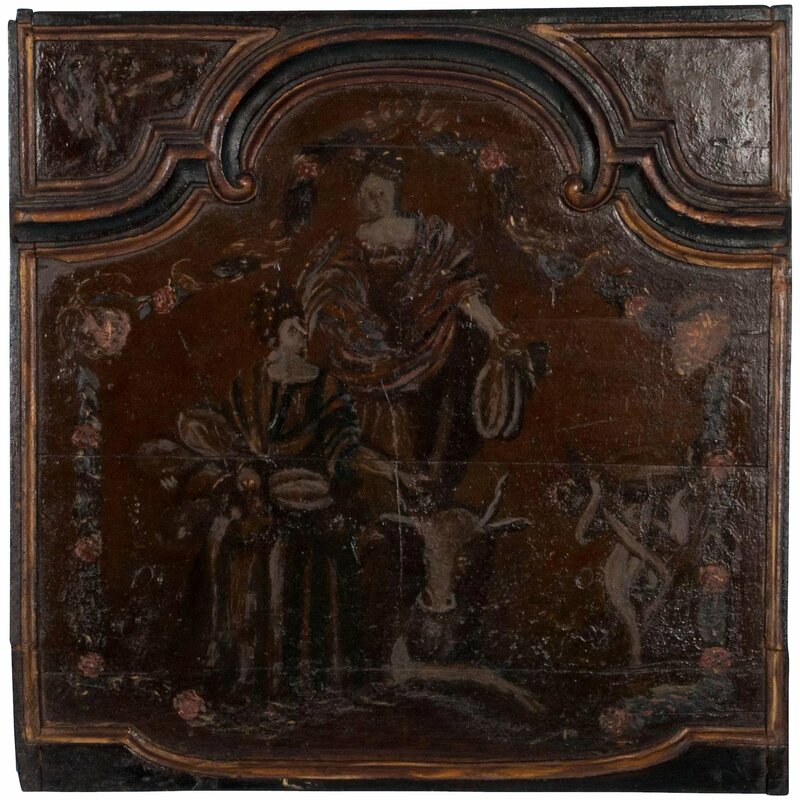 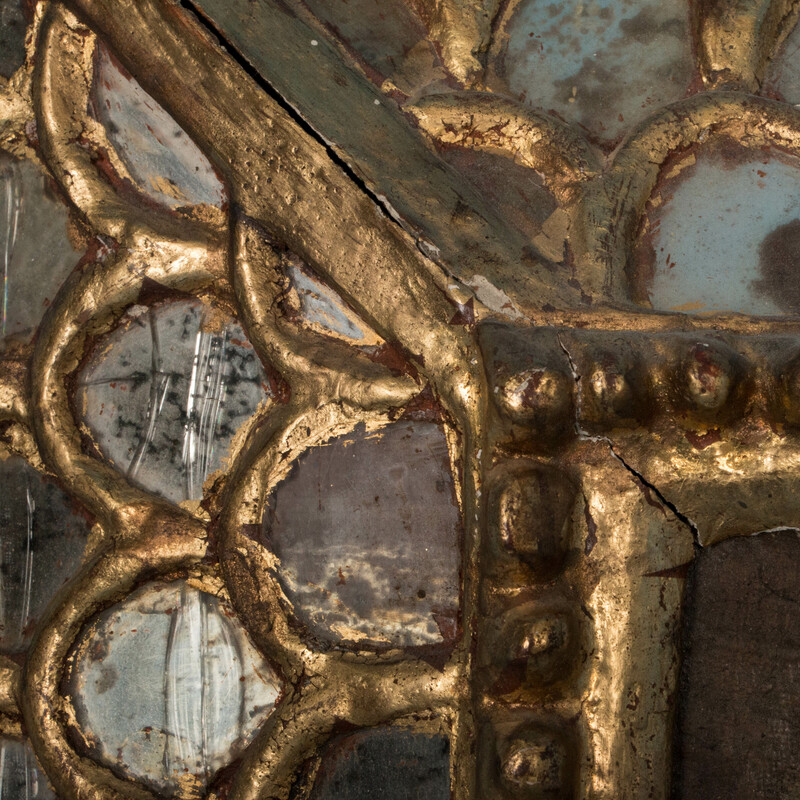 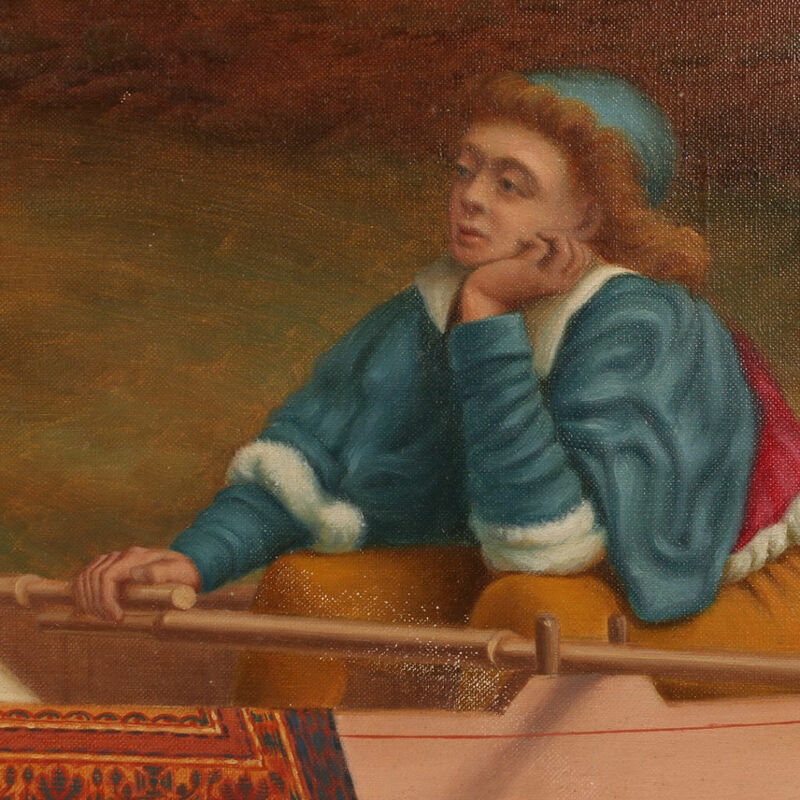 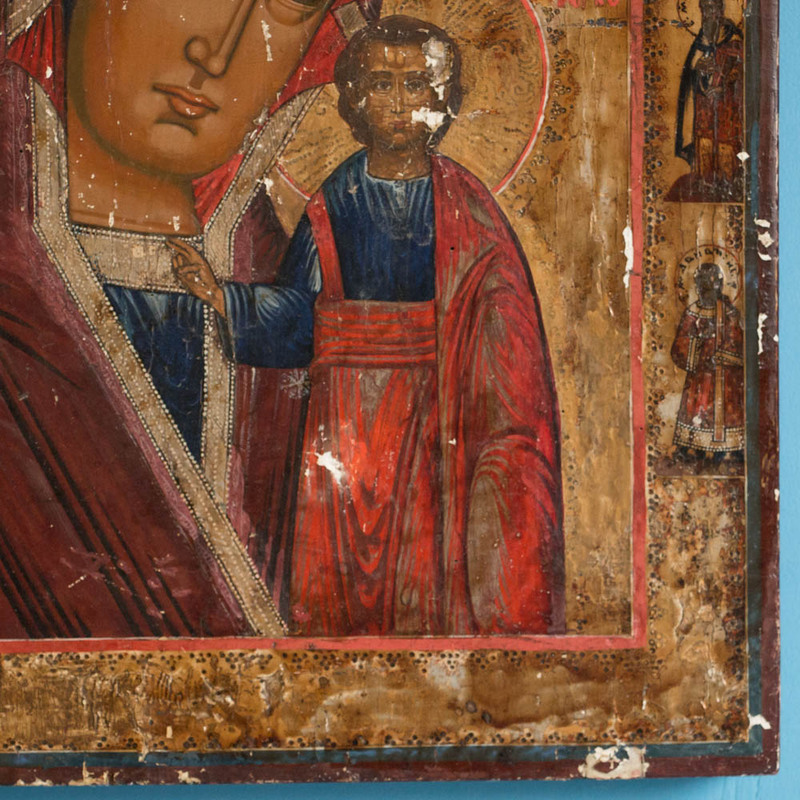 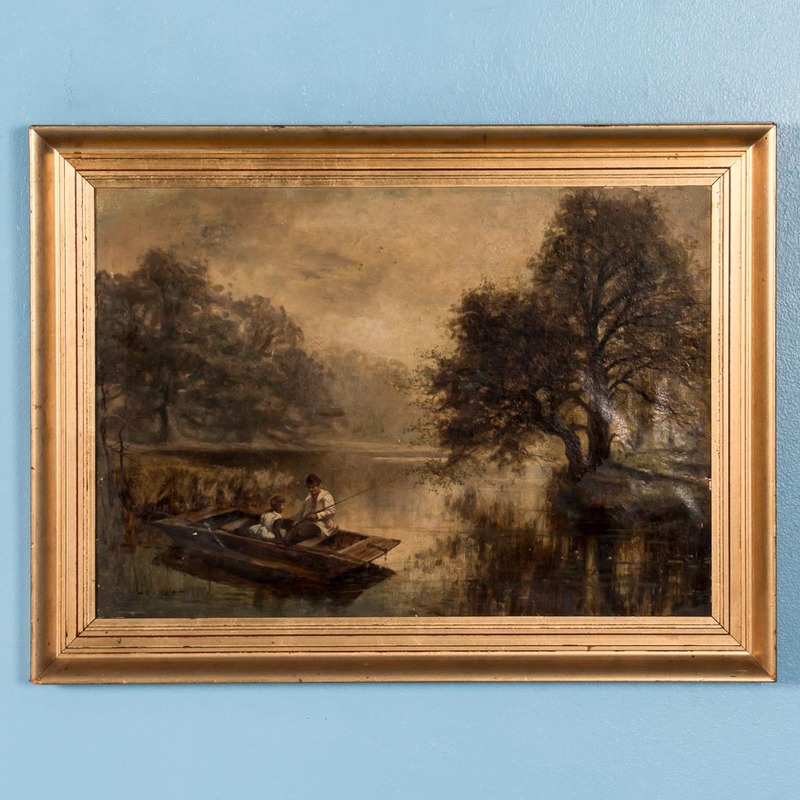 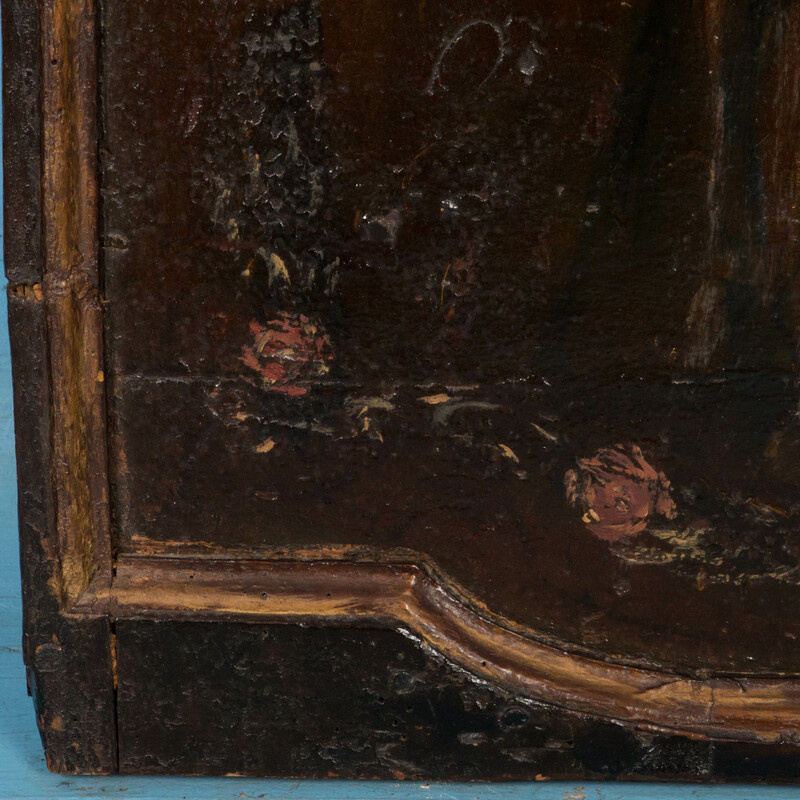 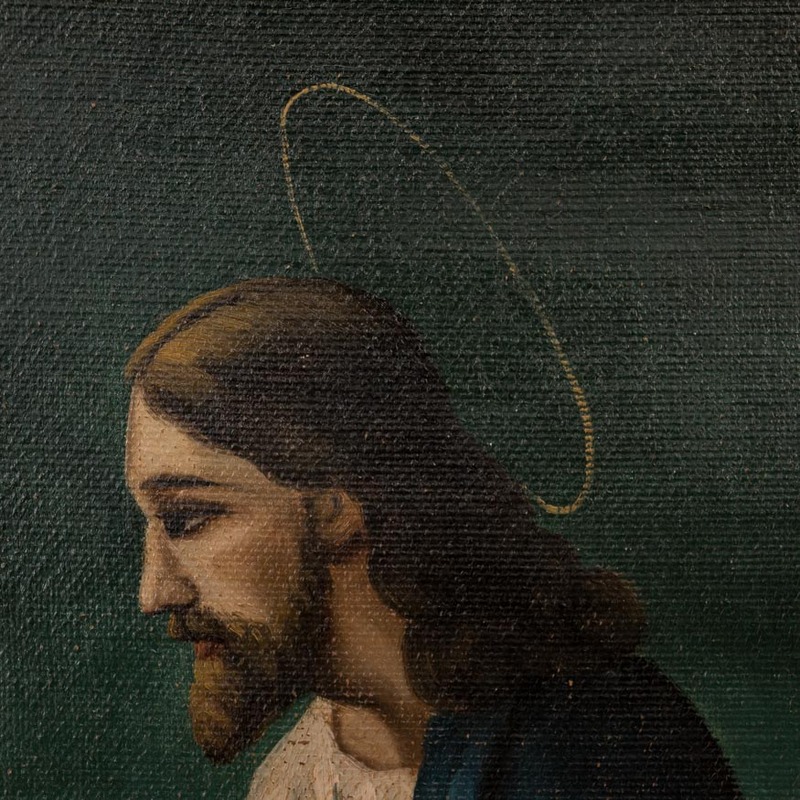 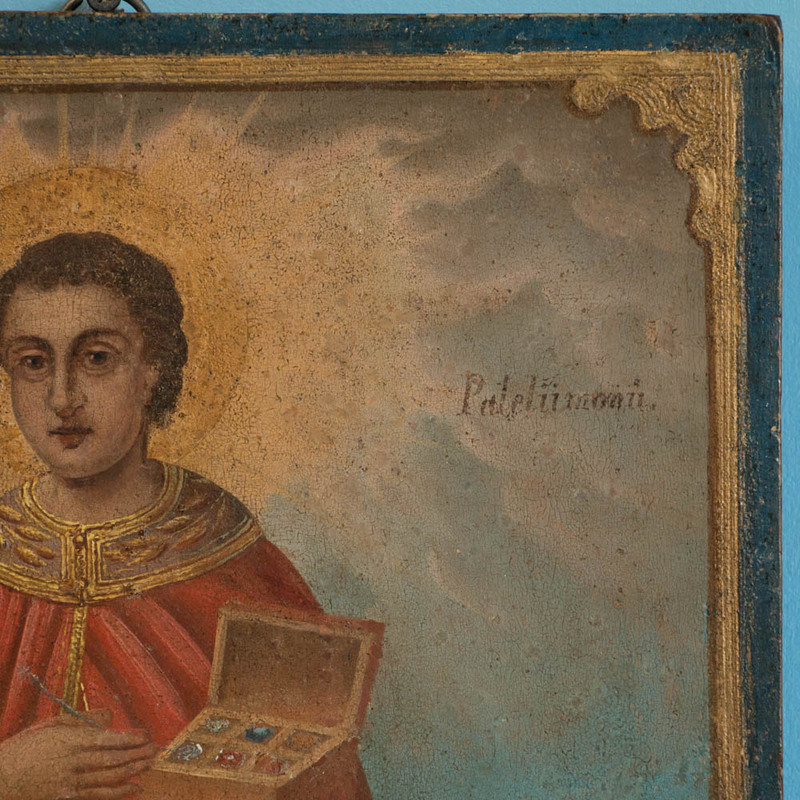 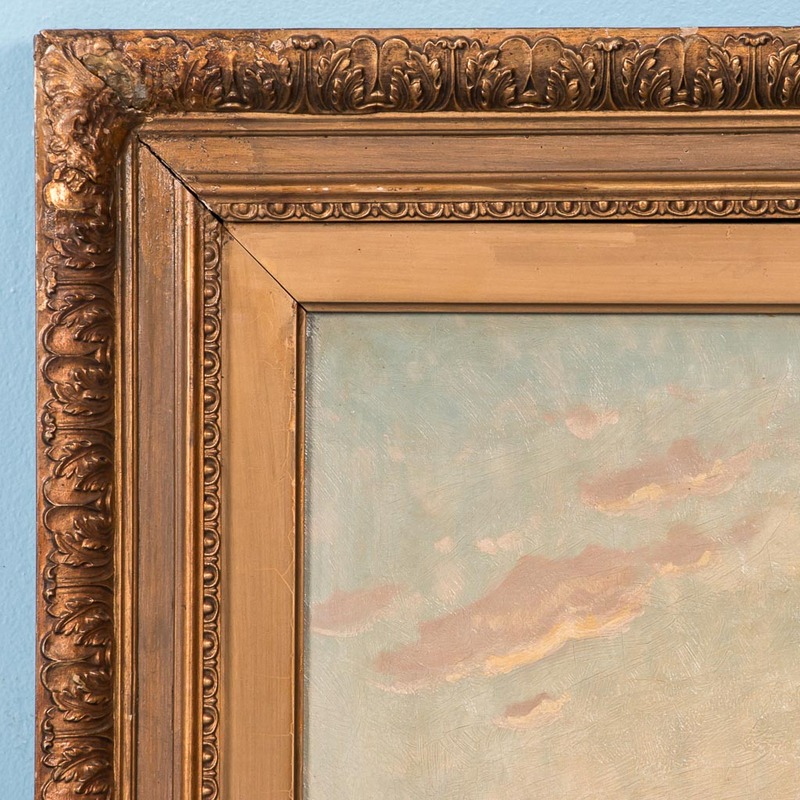 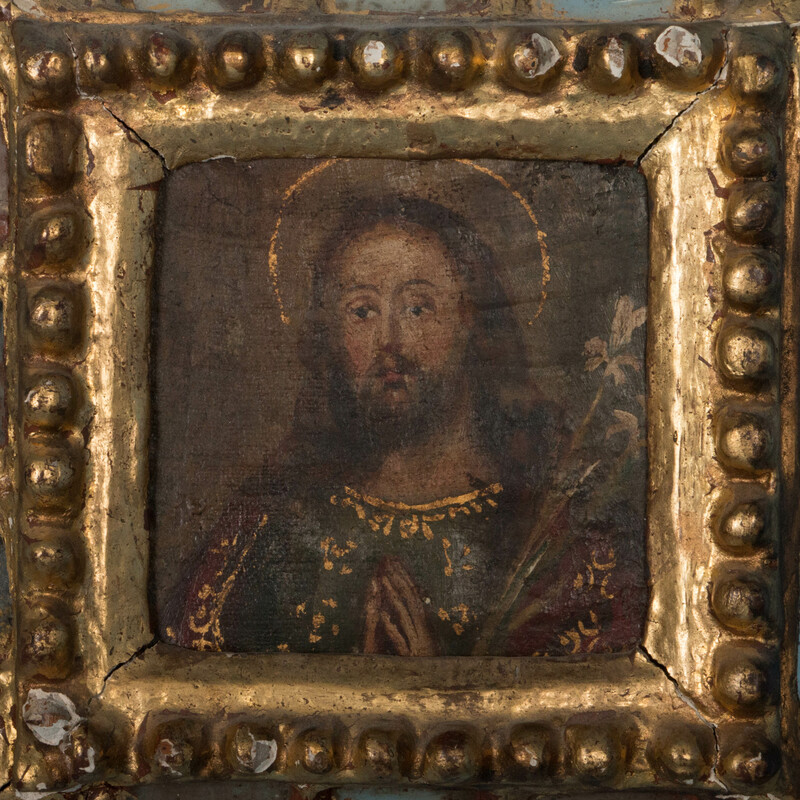 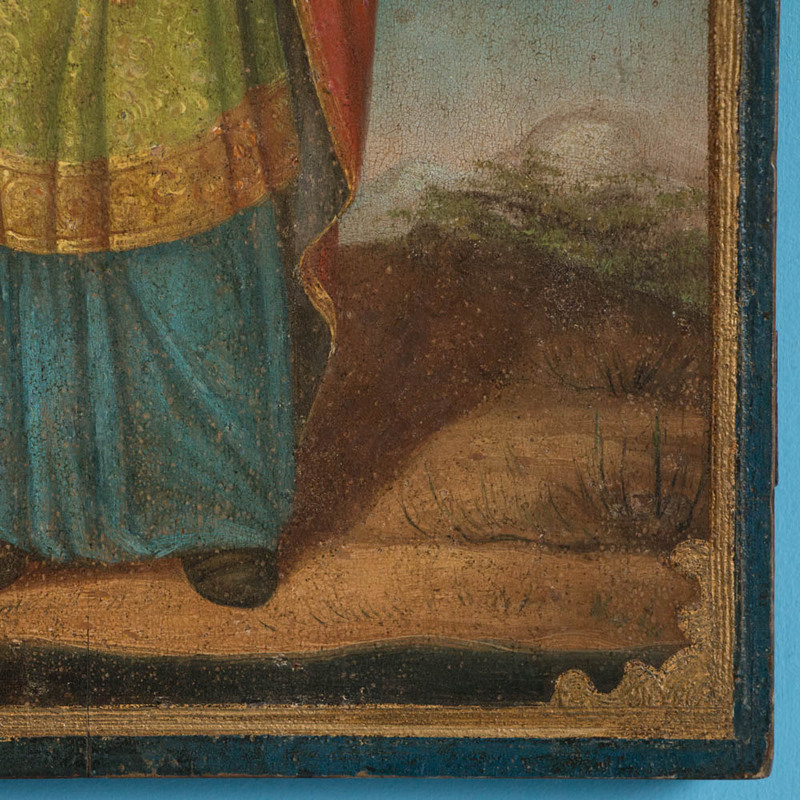 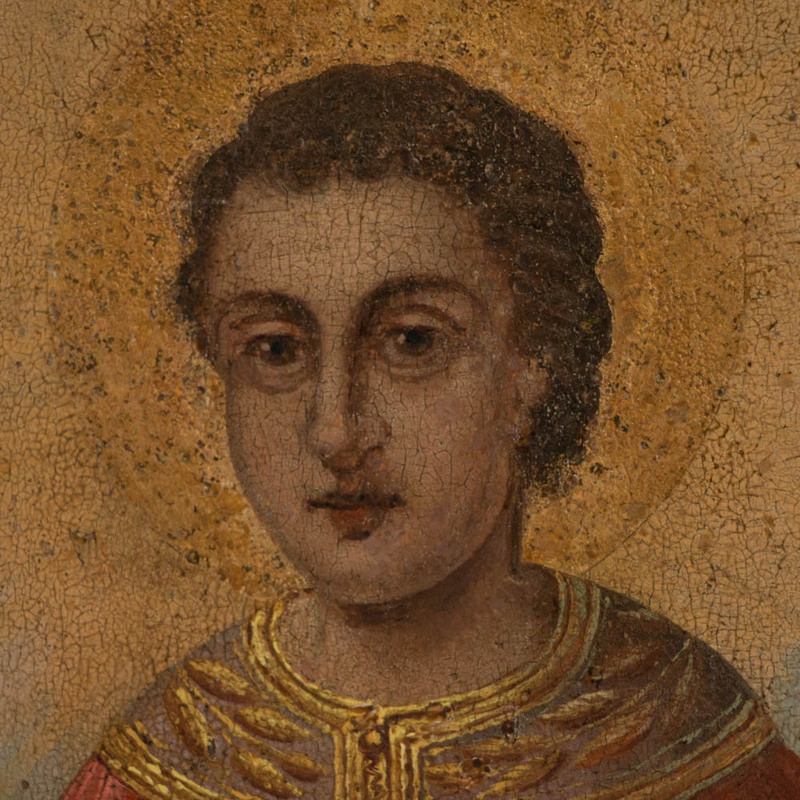 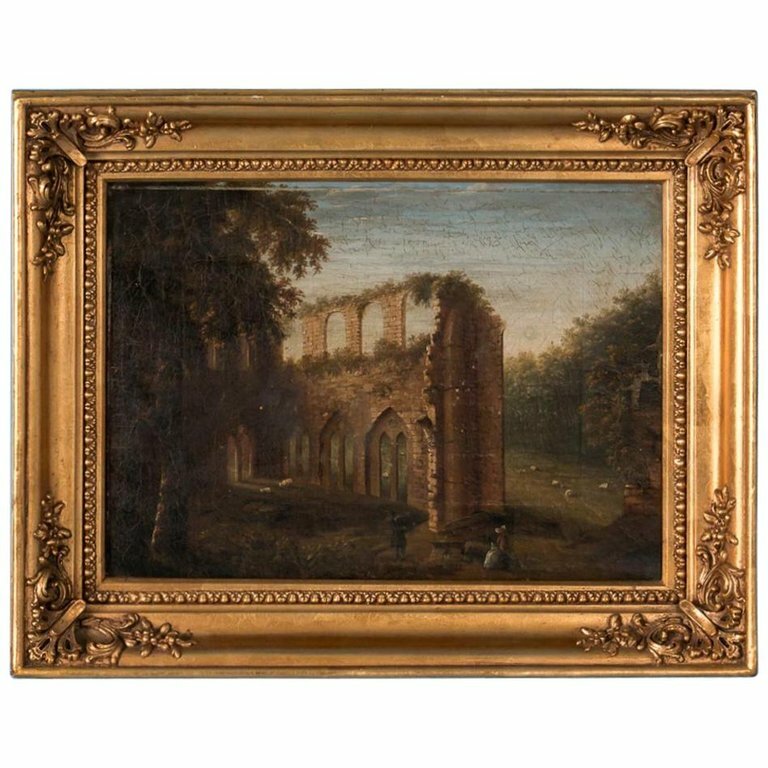 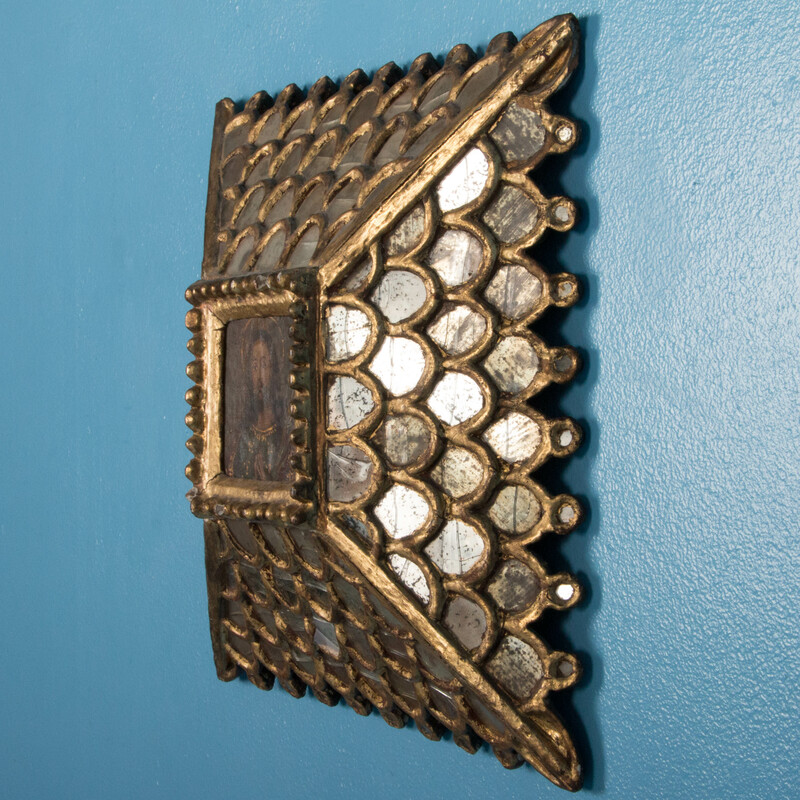 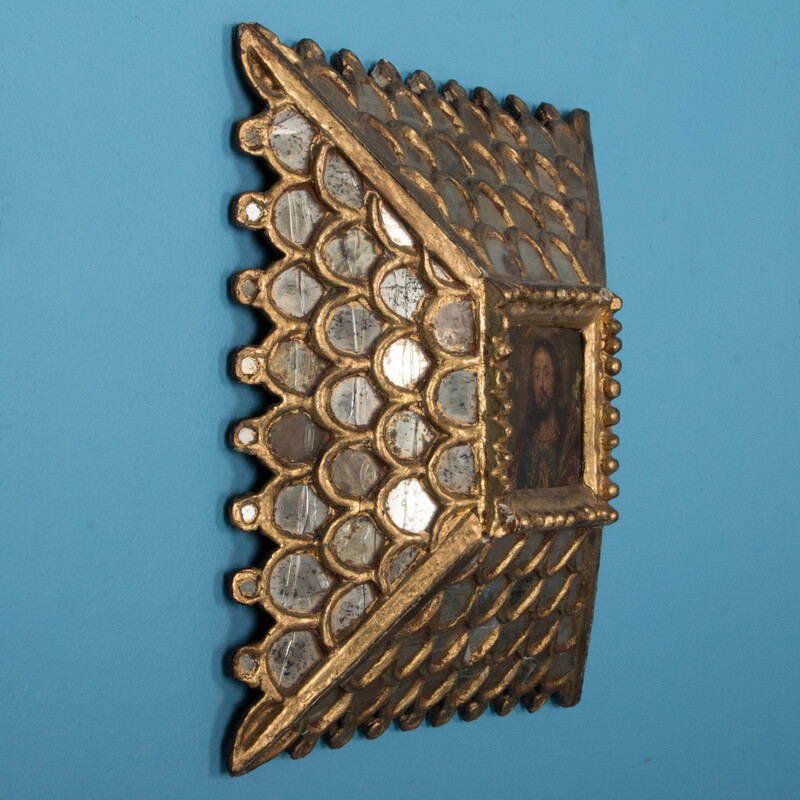 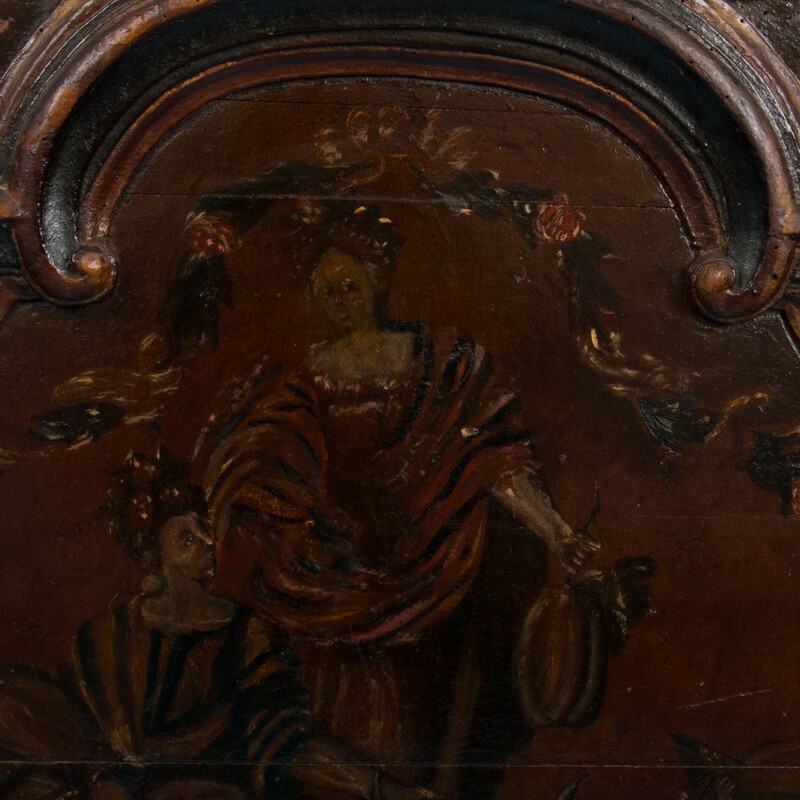 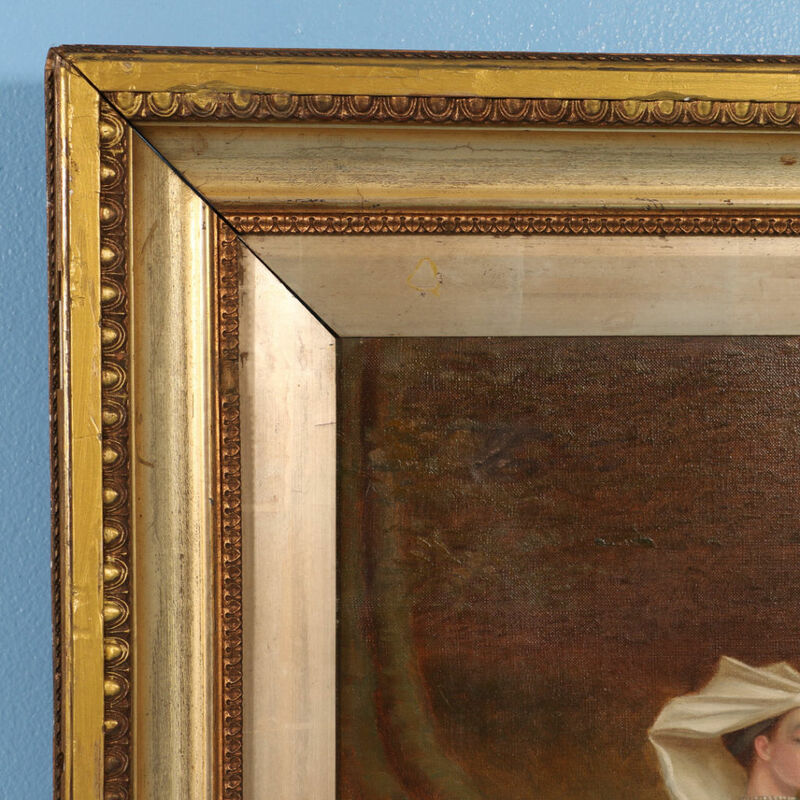 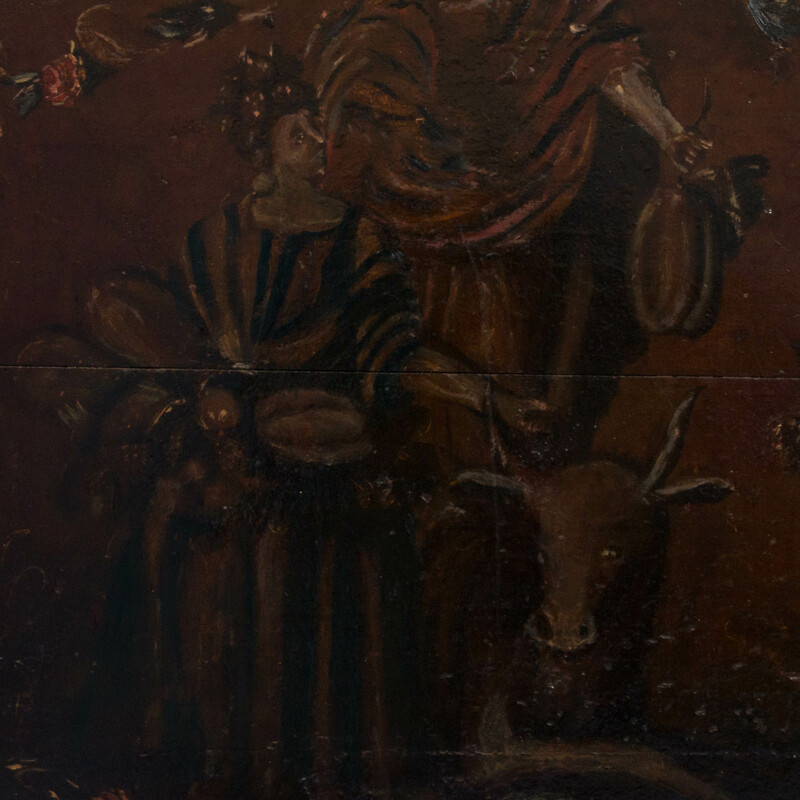 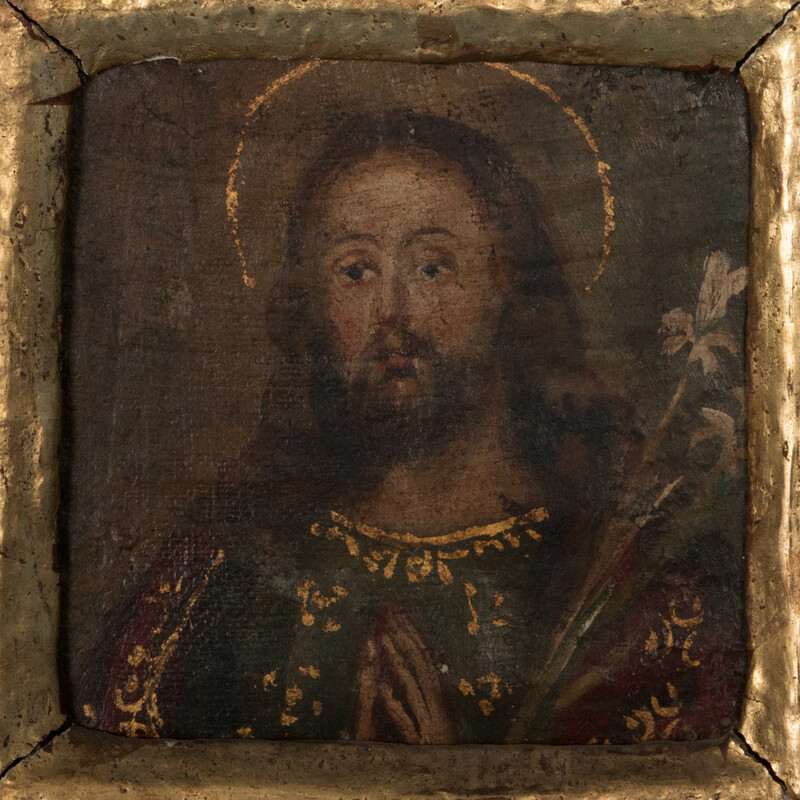 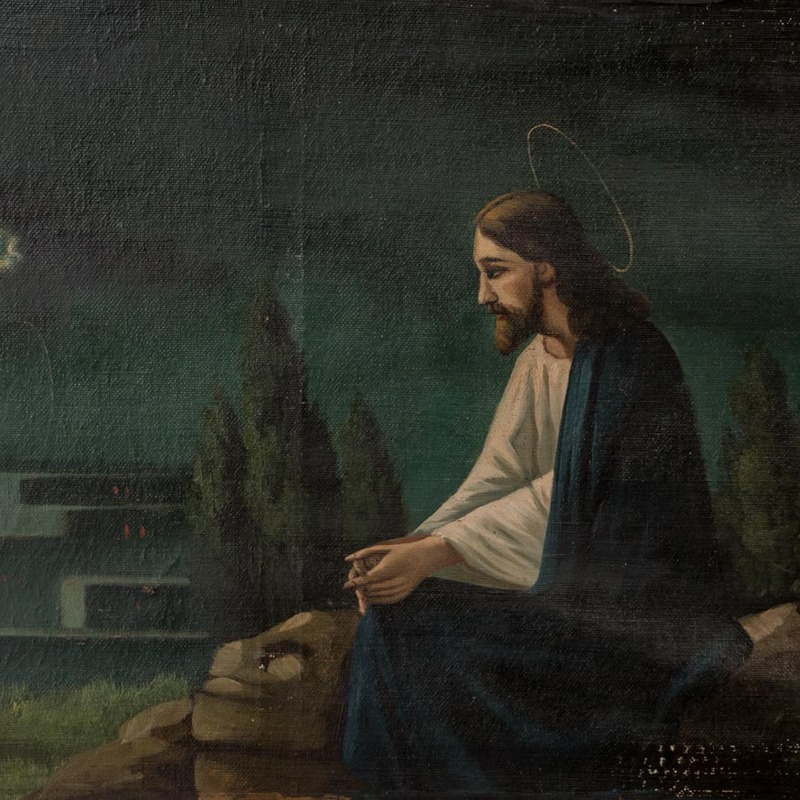 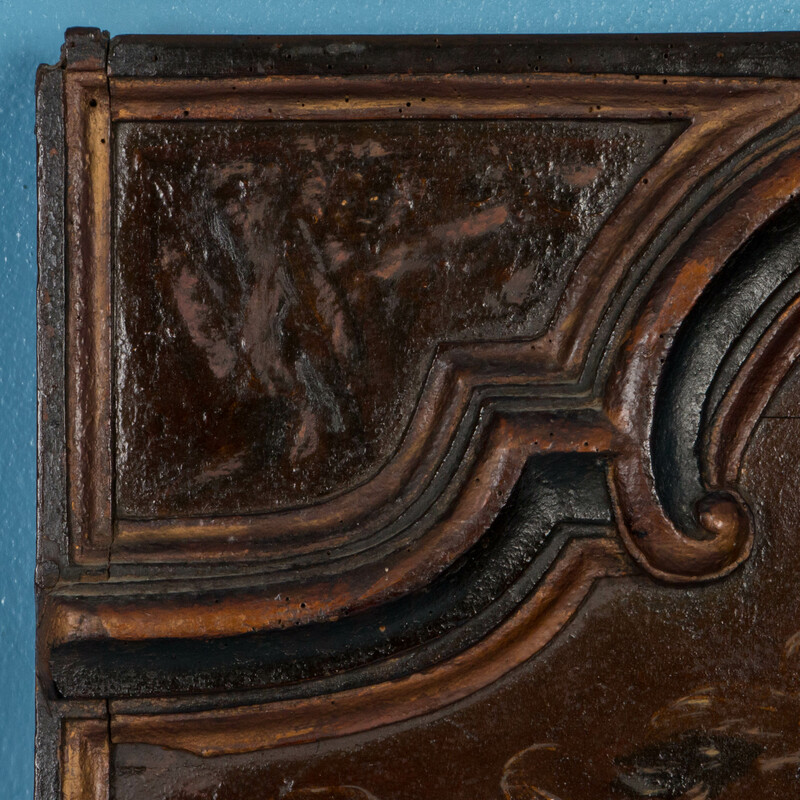 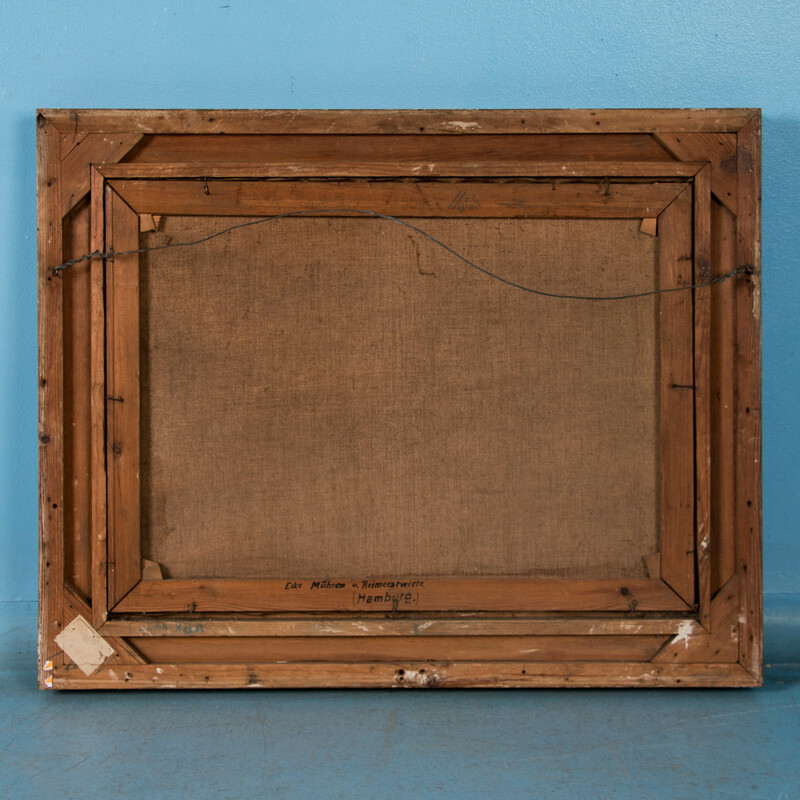 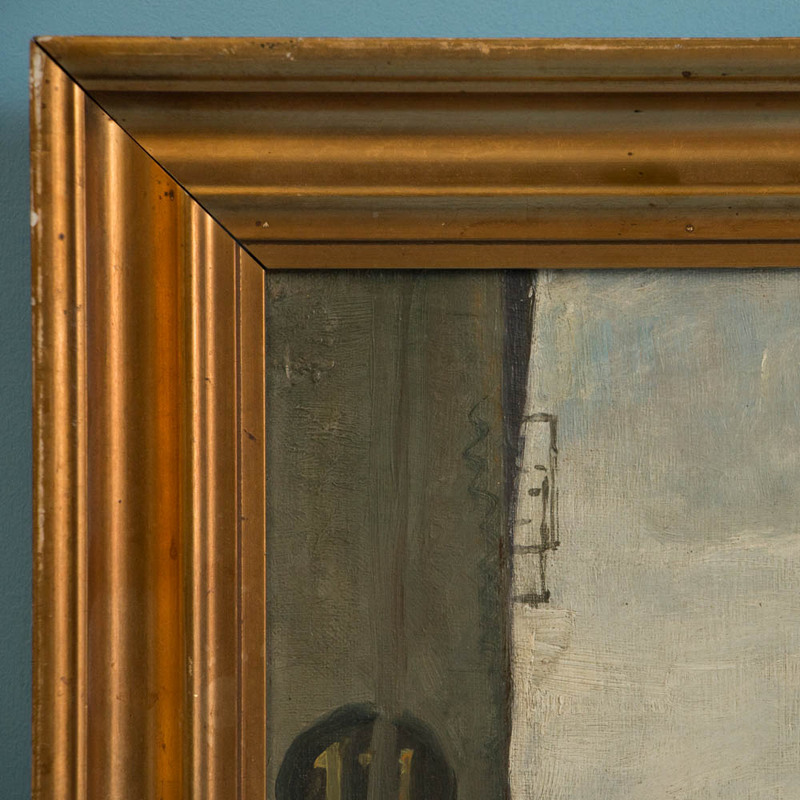 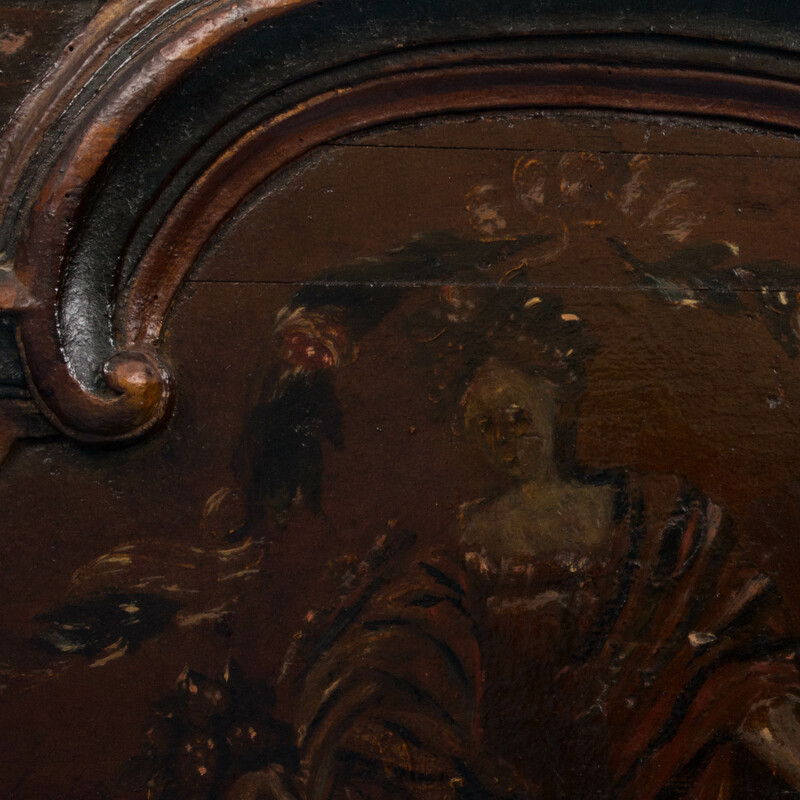 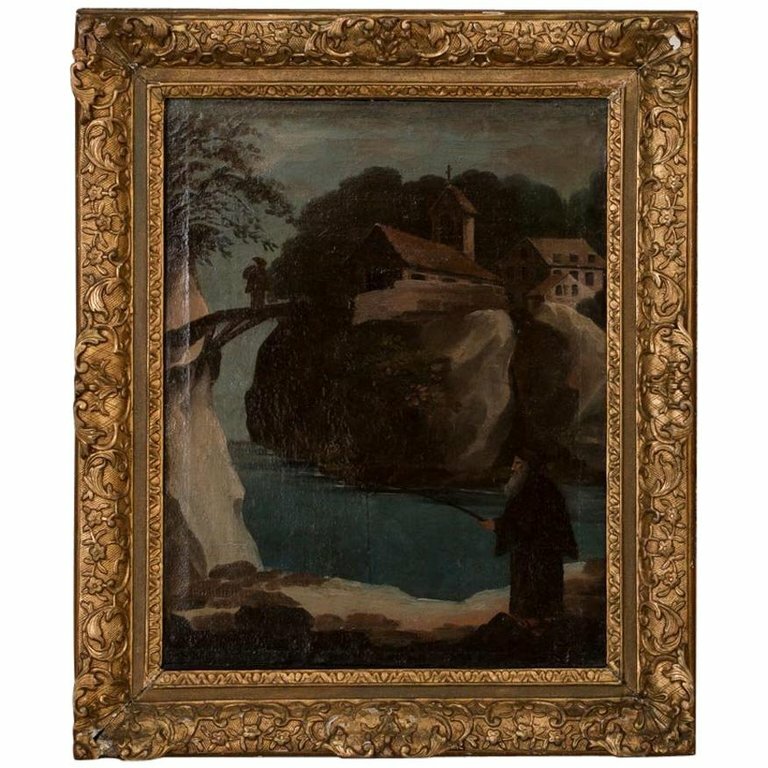 The painting is unsigned and mounted in a period giltwood frame. 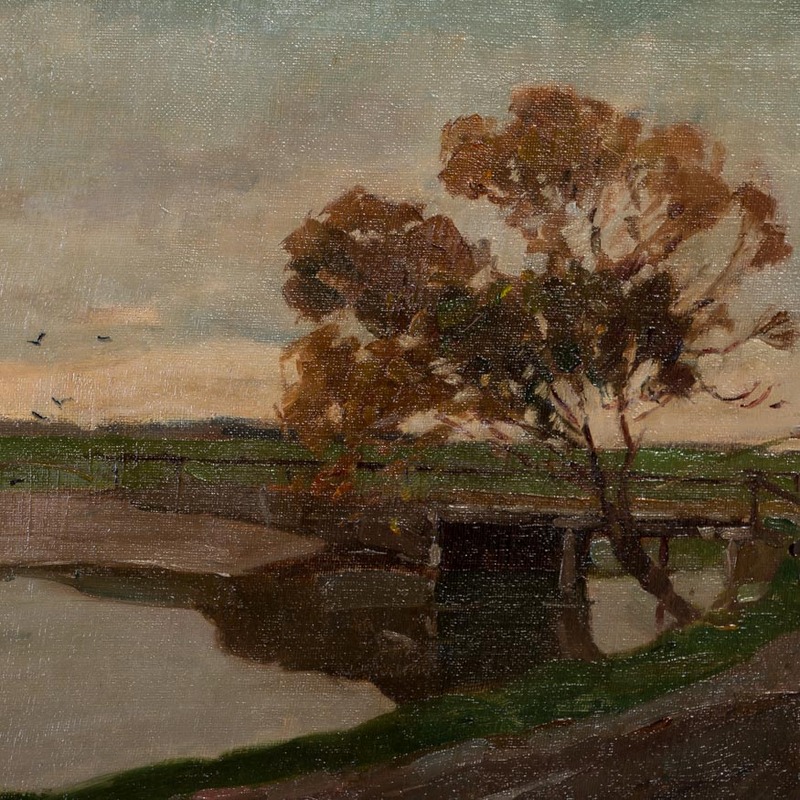 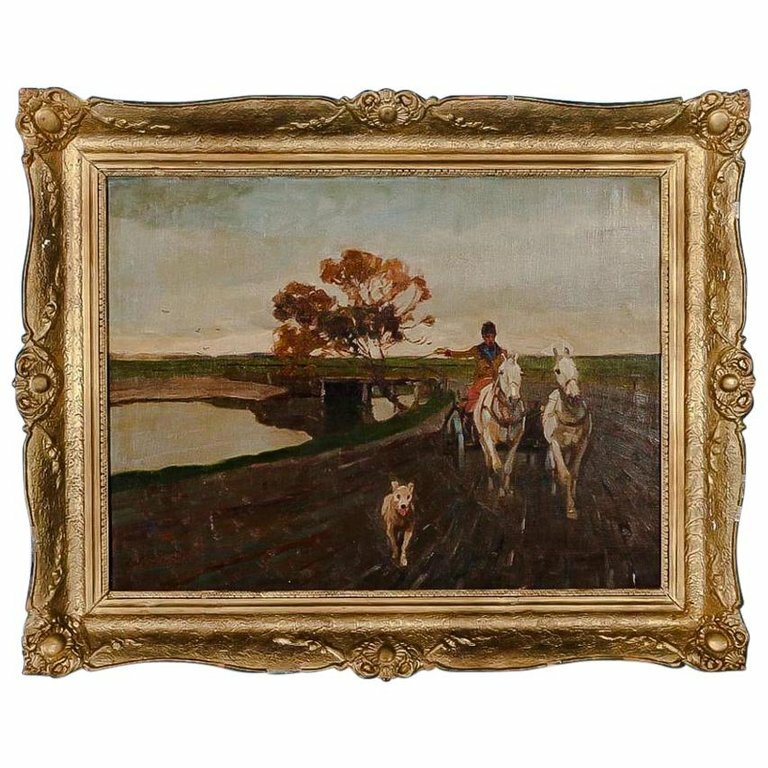 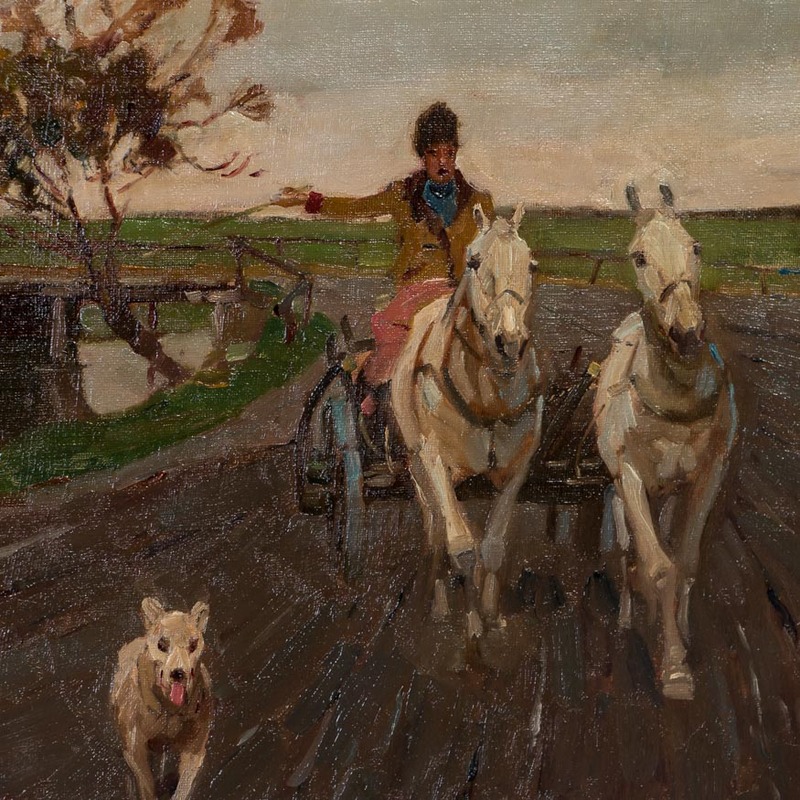 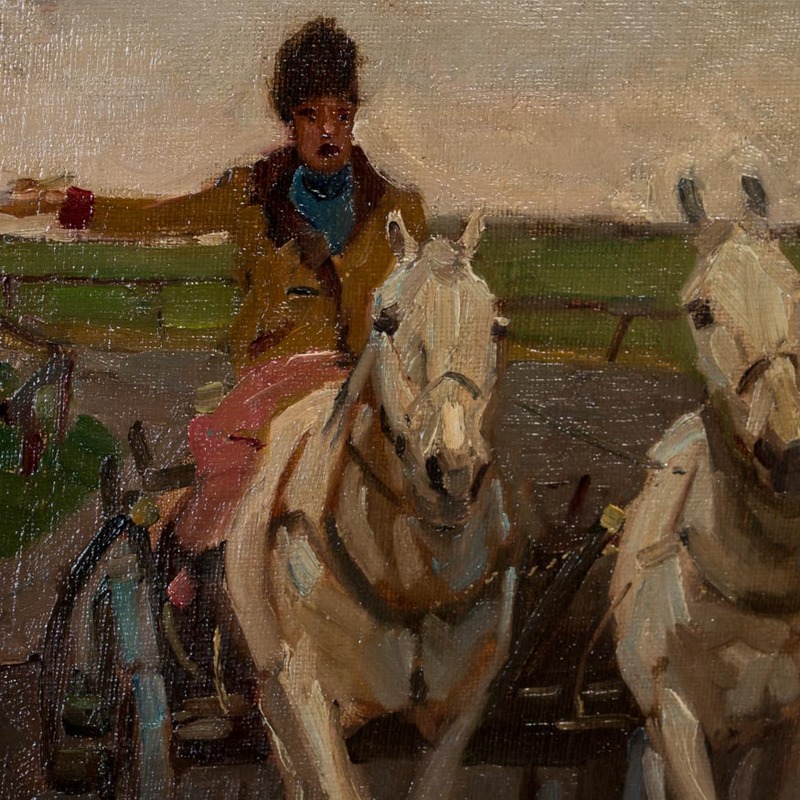 Original oil on canvas landscape from Hungary - 2 horses & buggy with a dog circa 1930. 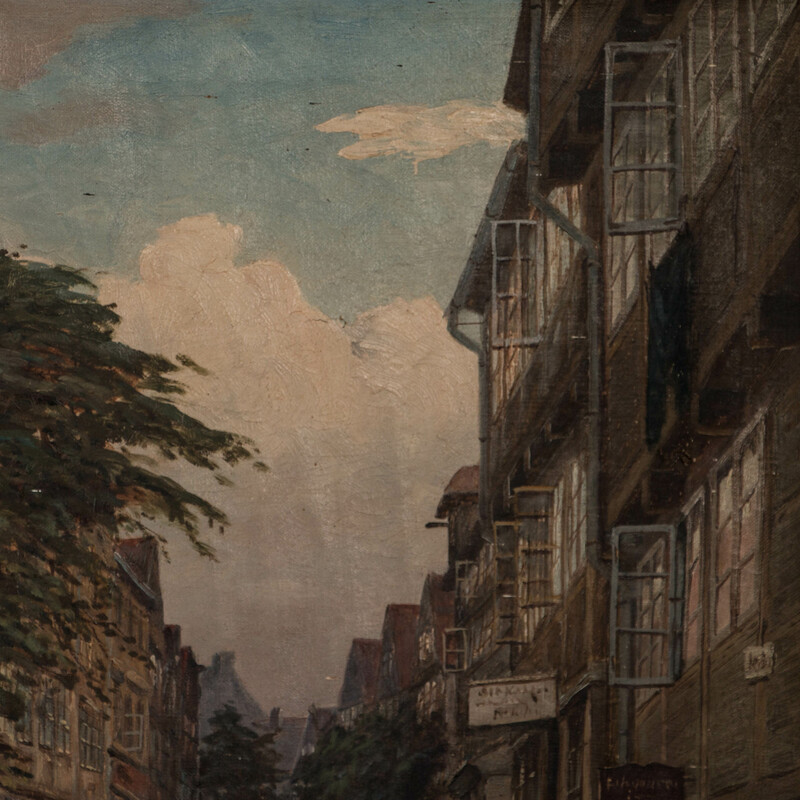 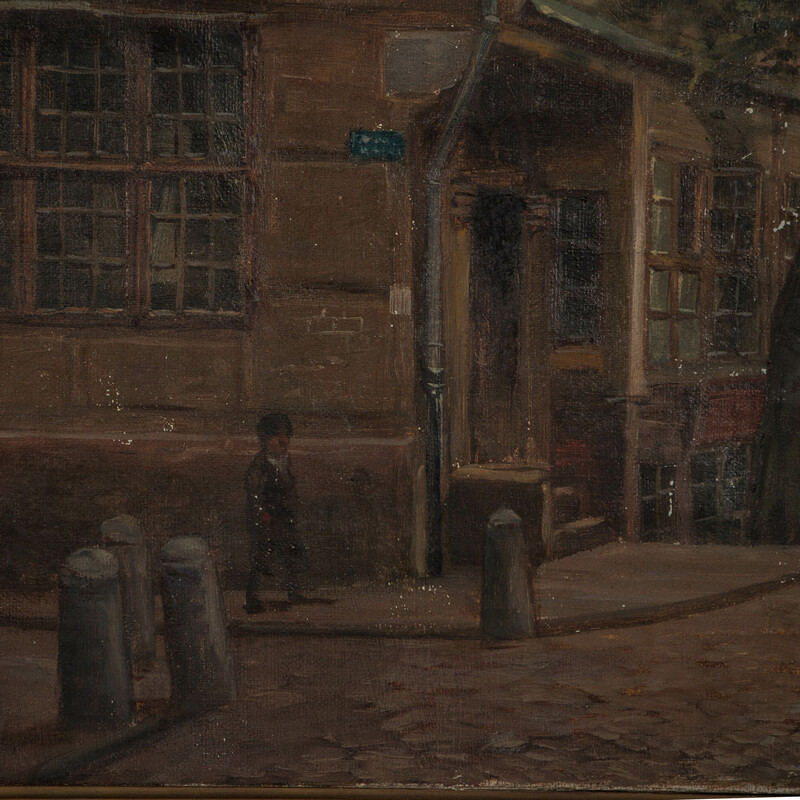 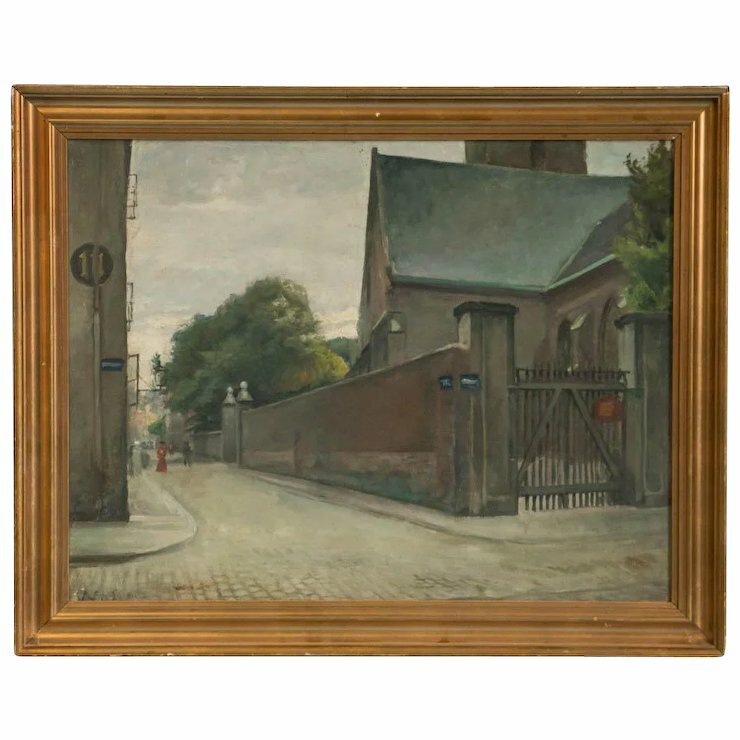 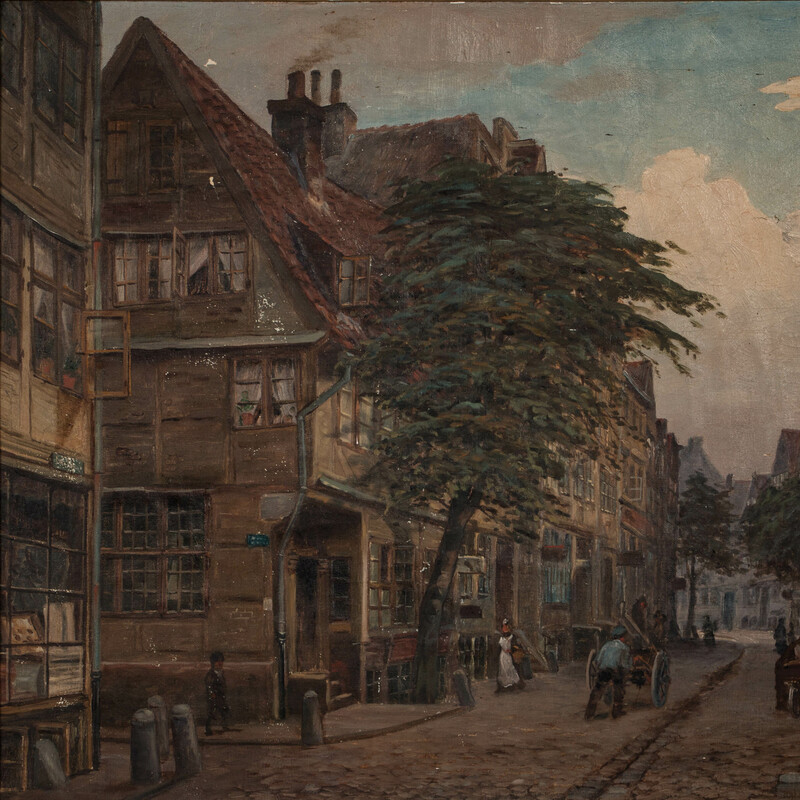 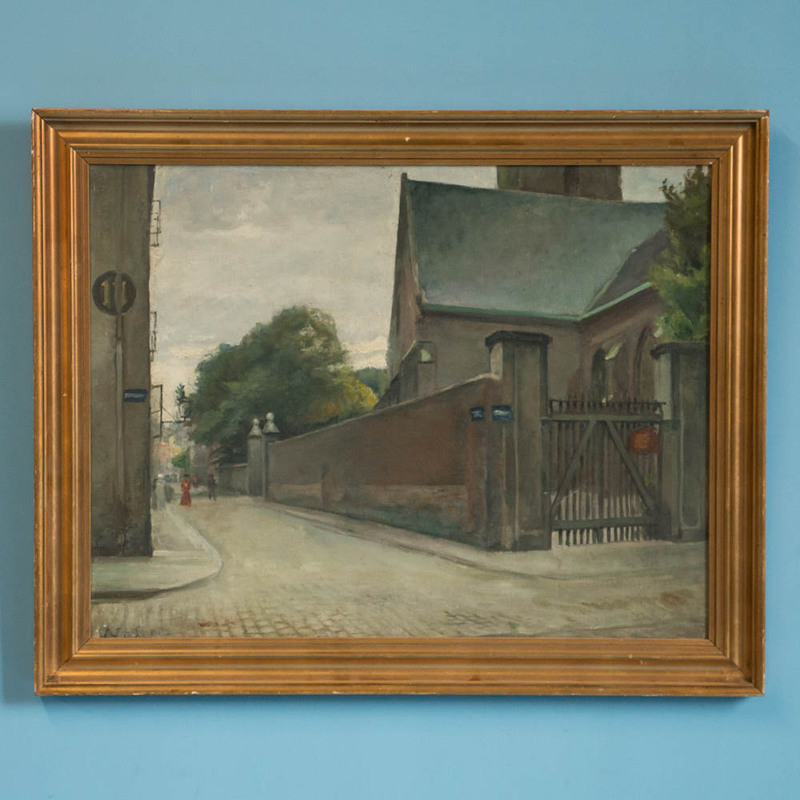 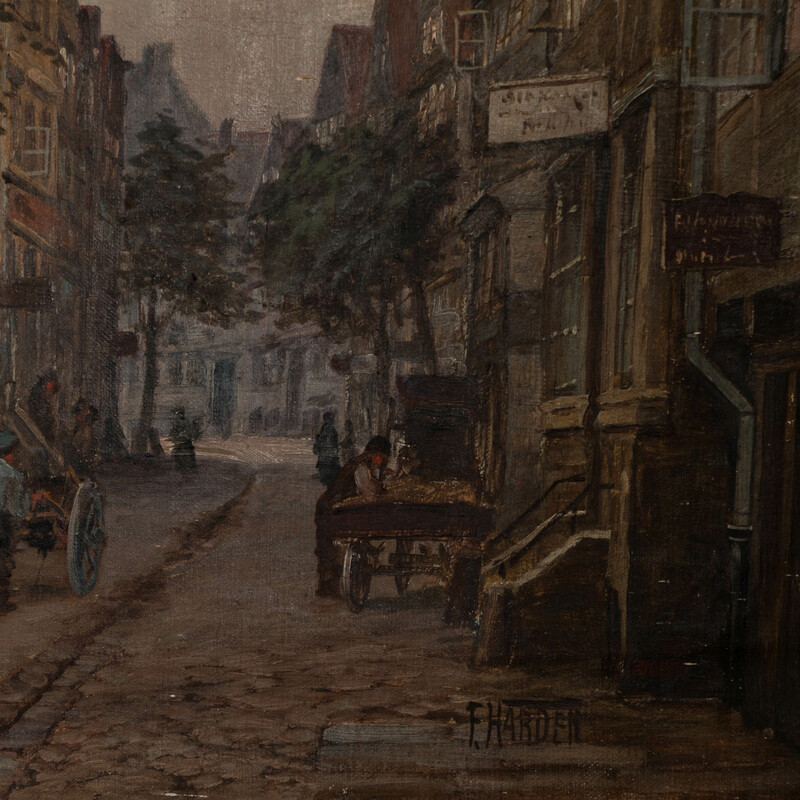 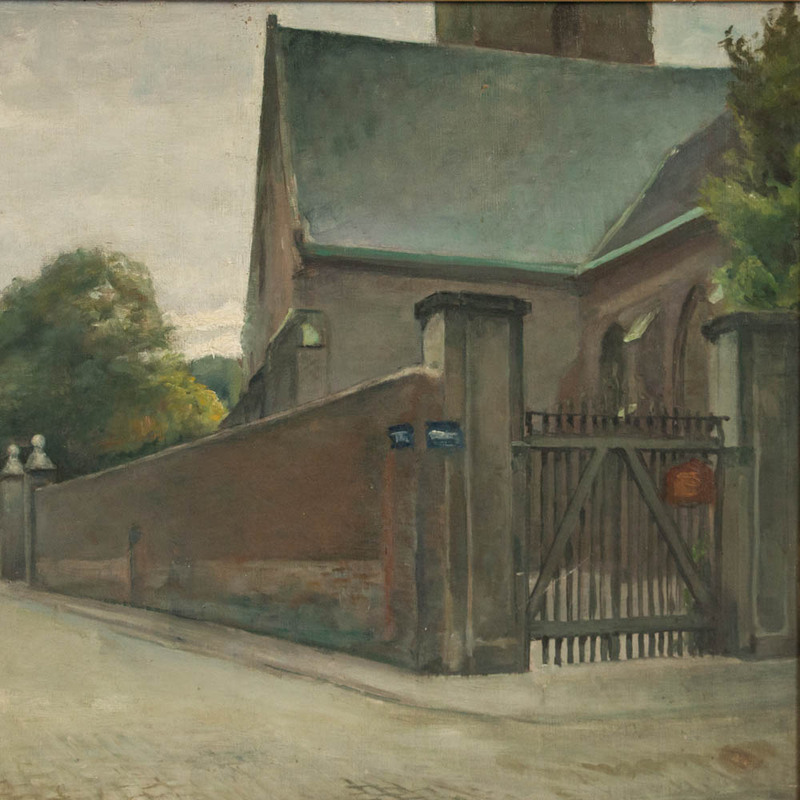 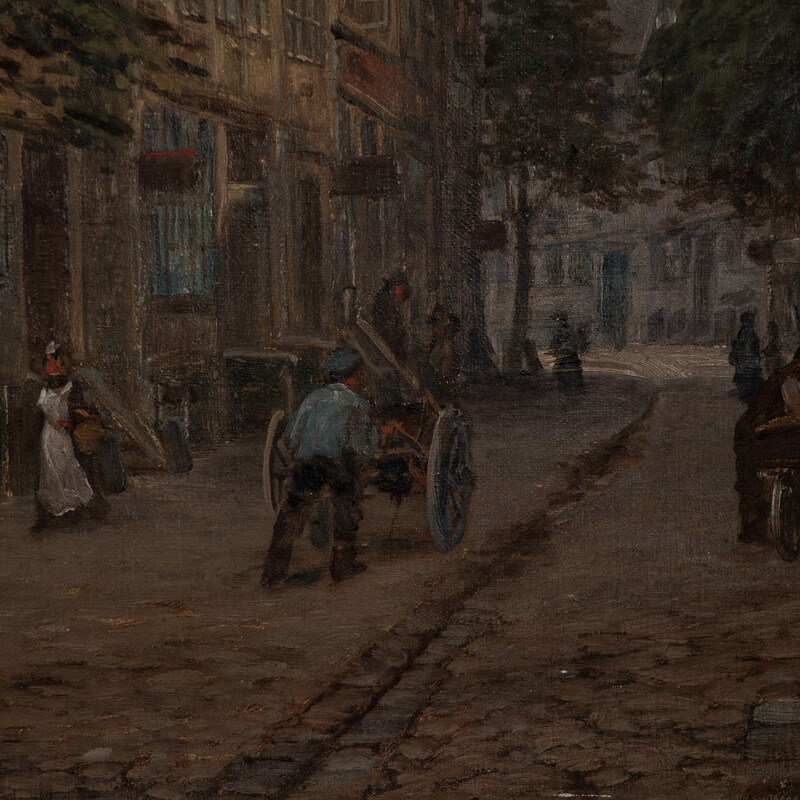 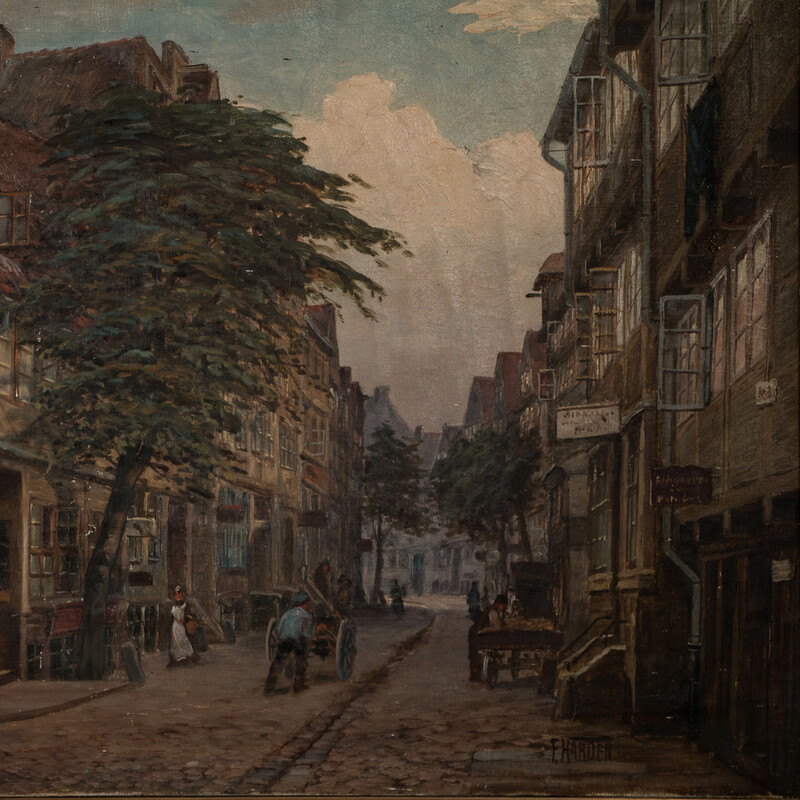 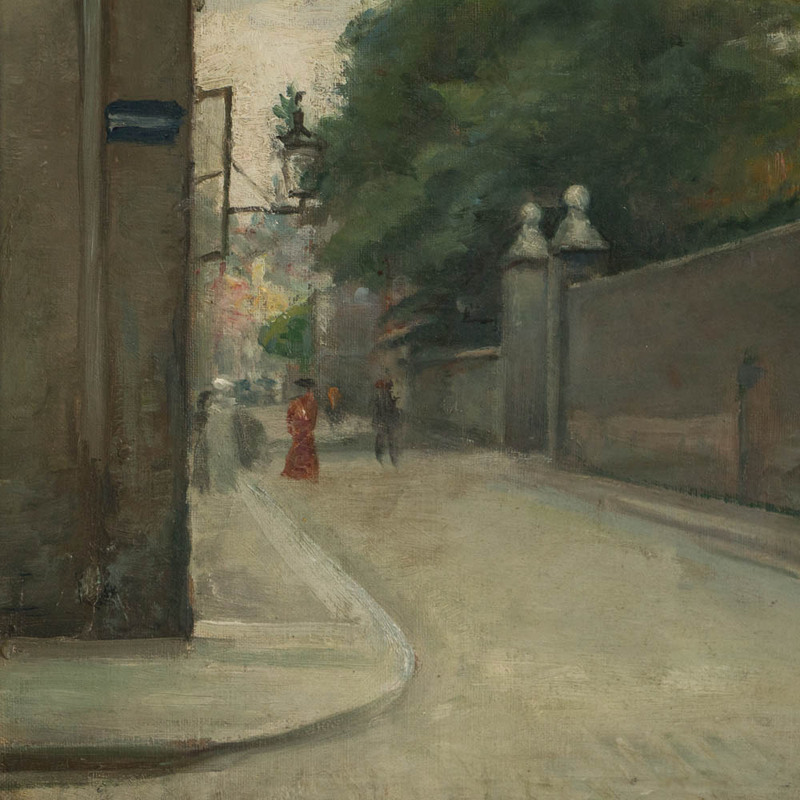 This painting depicts a typically Copenhagen street scene, with Saint Peter's Church ("Kirke" in Danish) sitting on the corner. 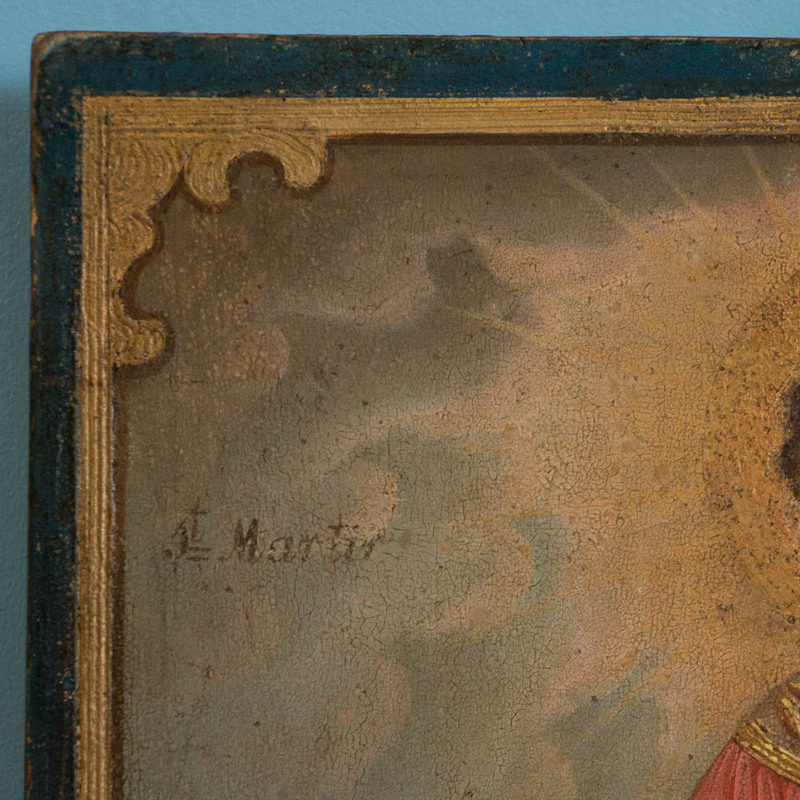 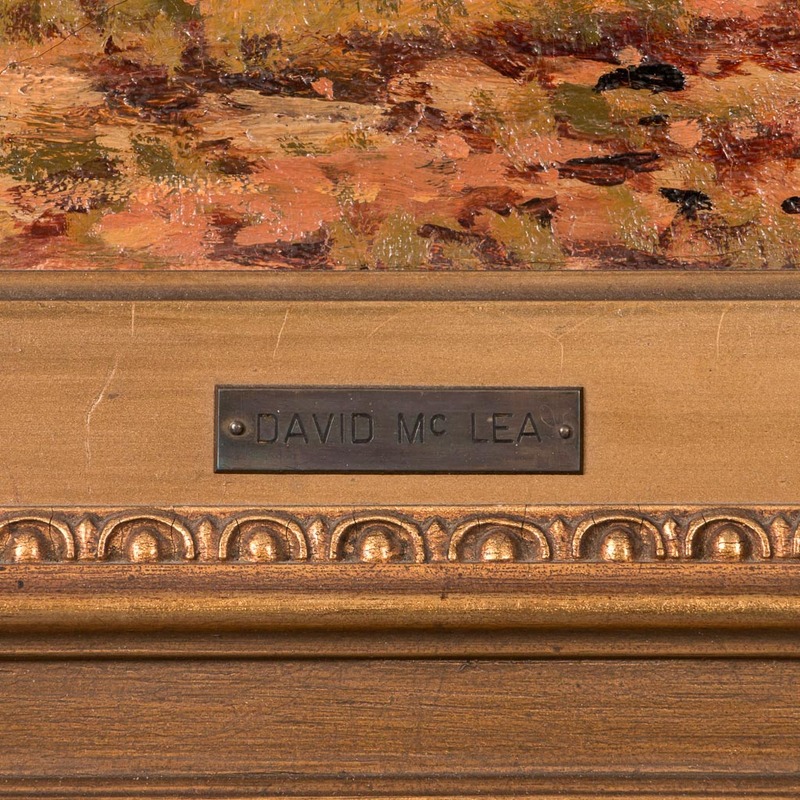 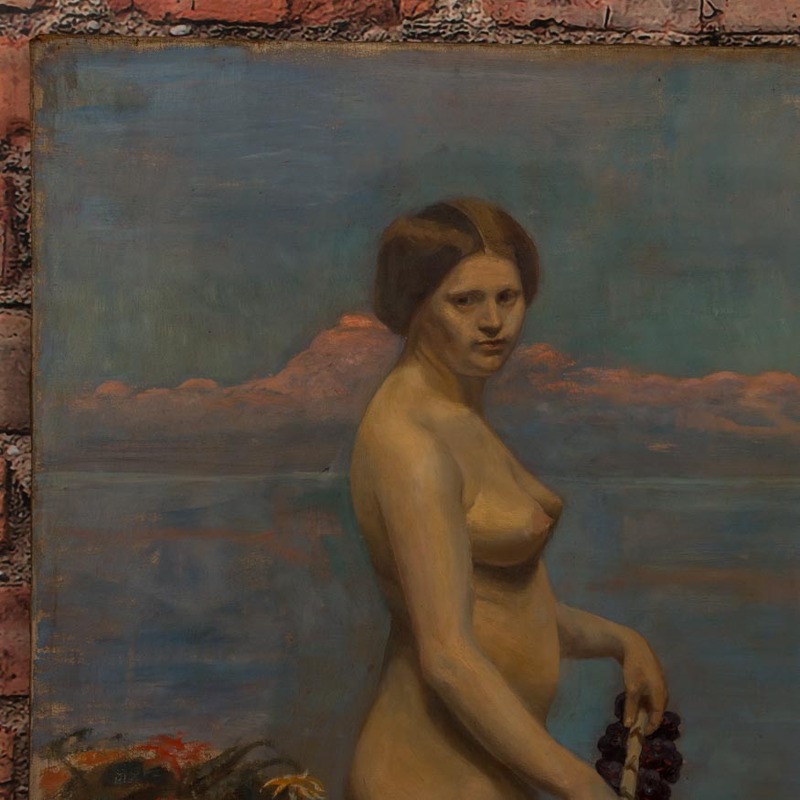 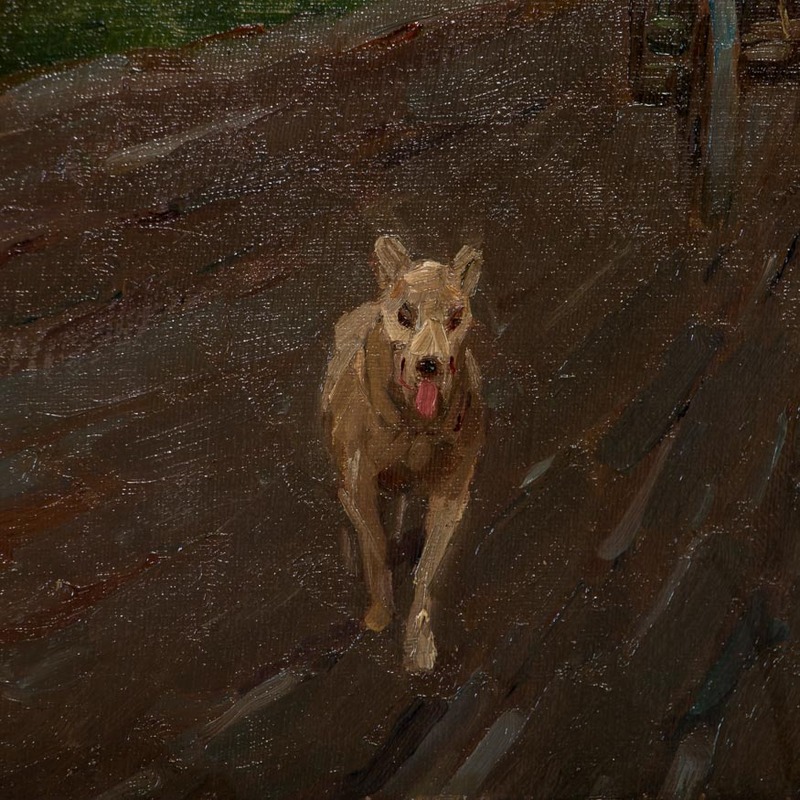 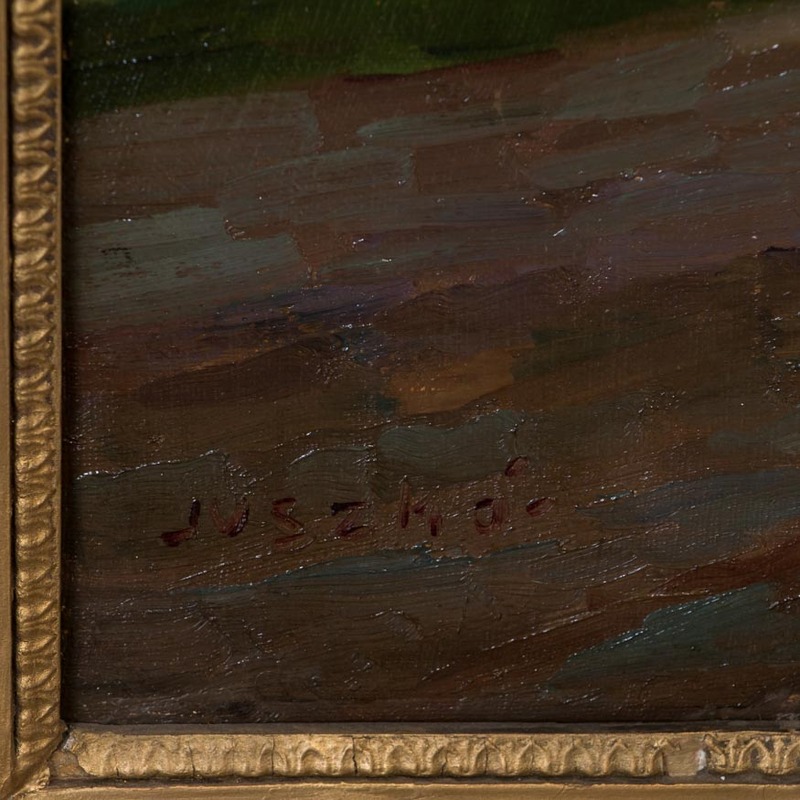 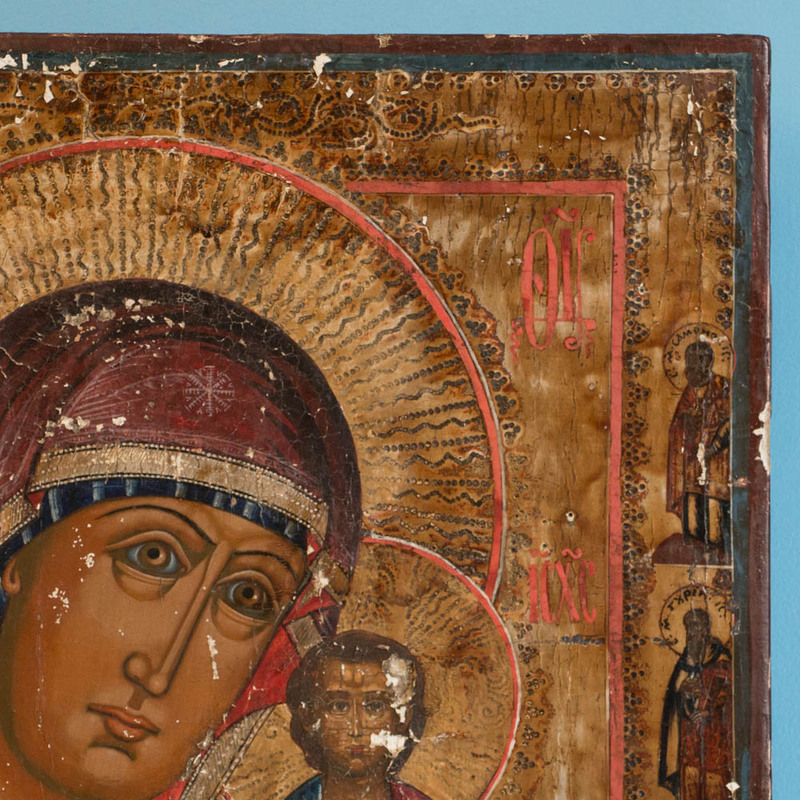 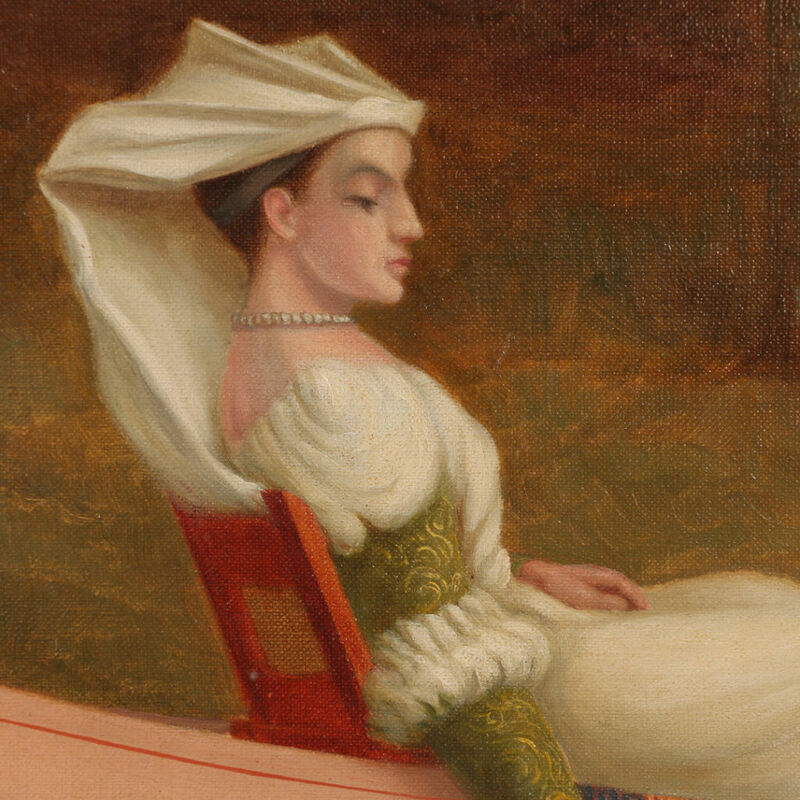 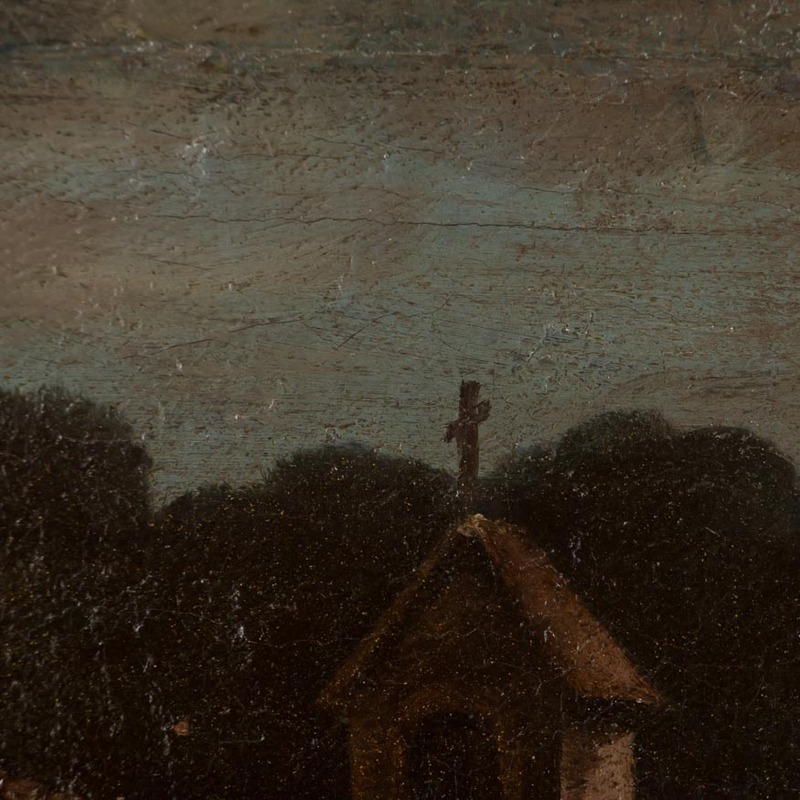 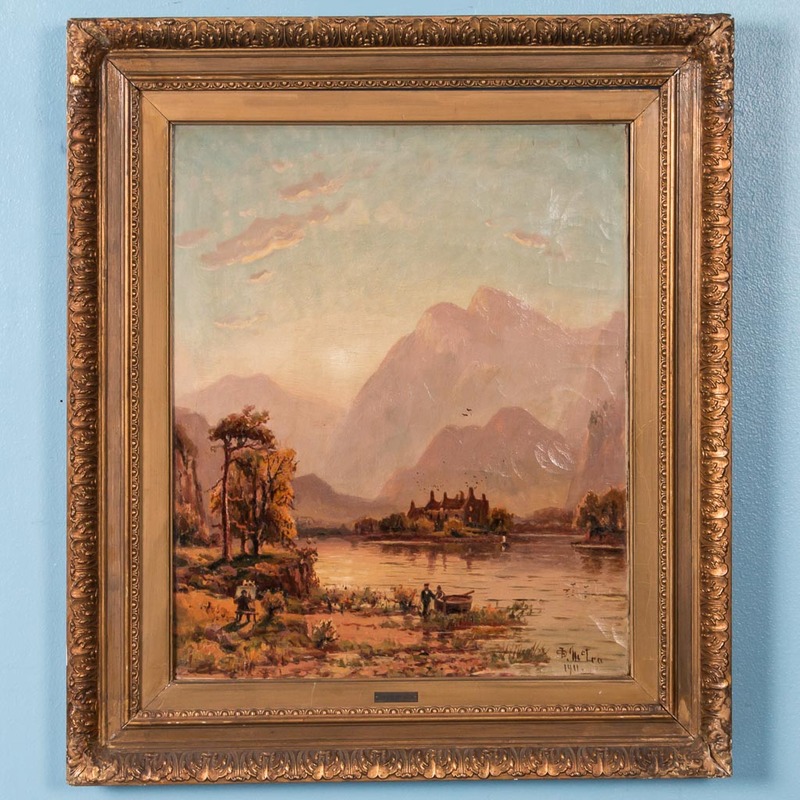 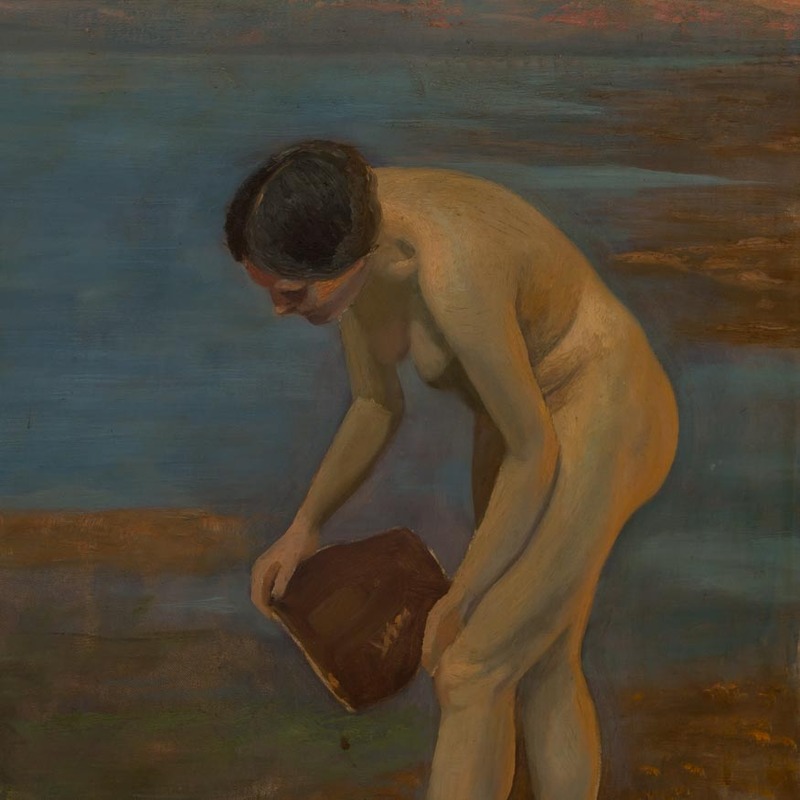 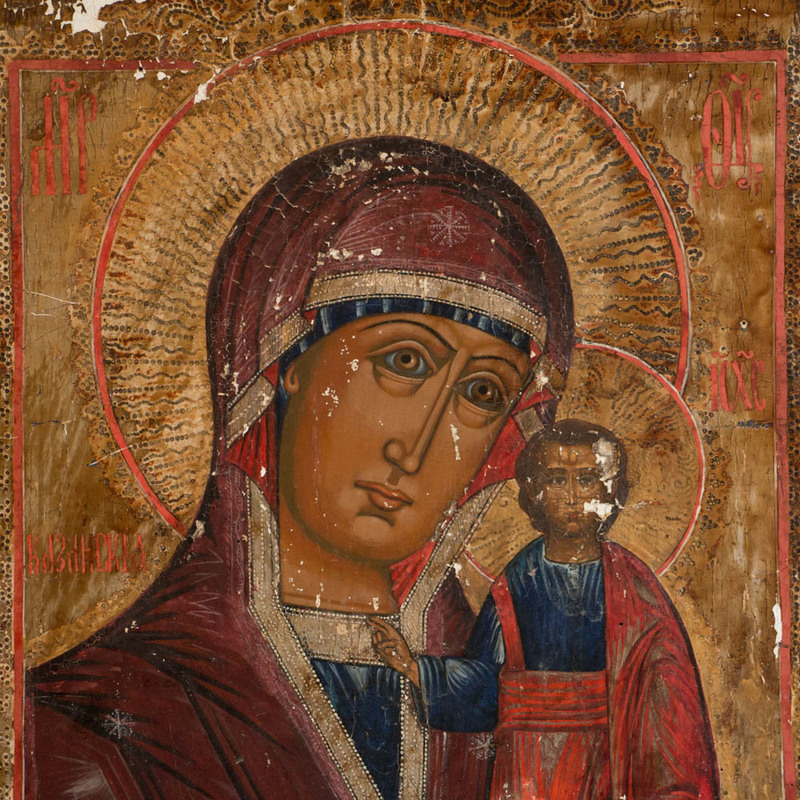 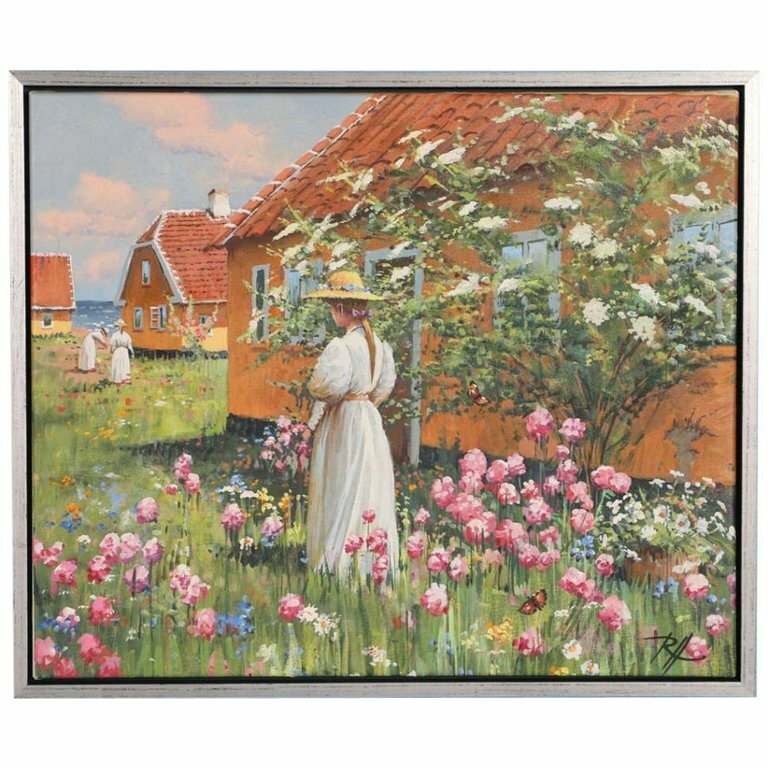 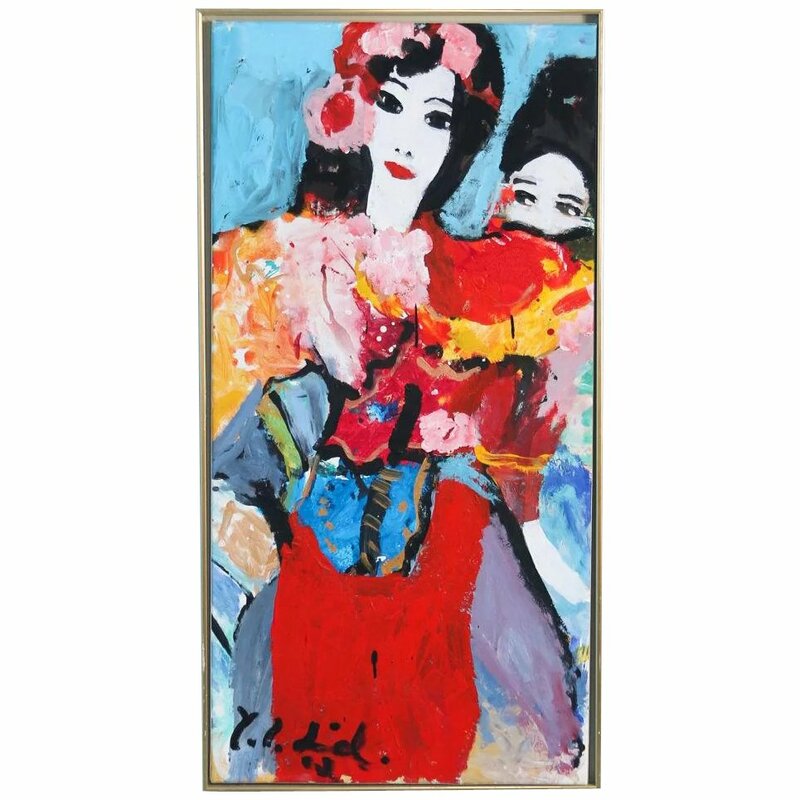 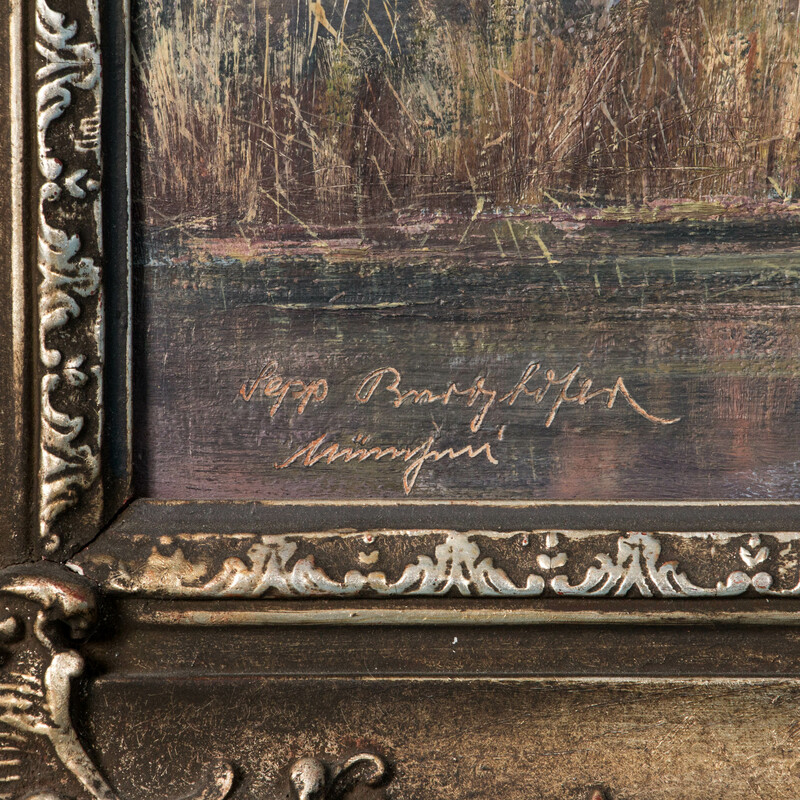 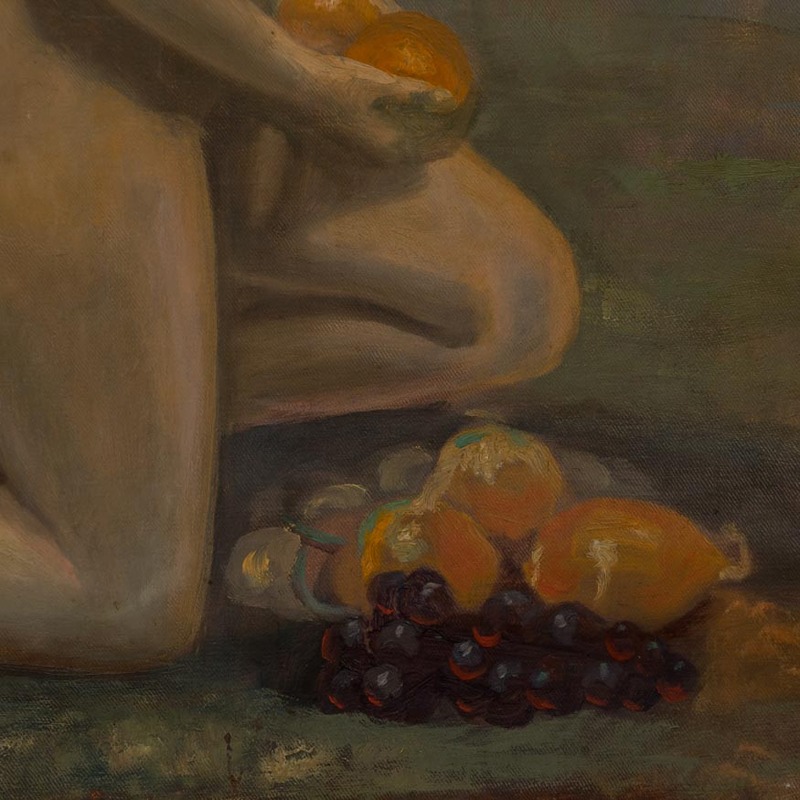 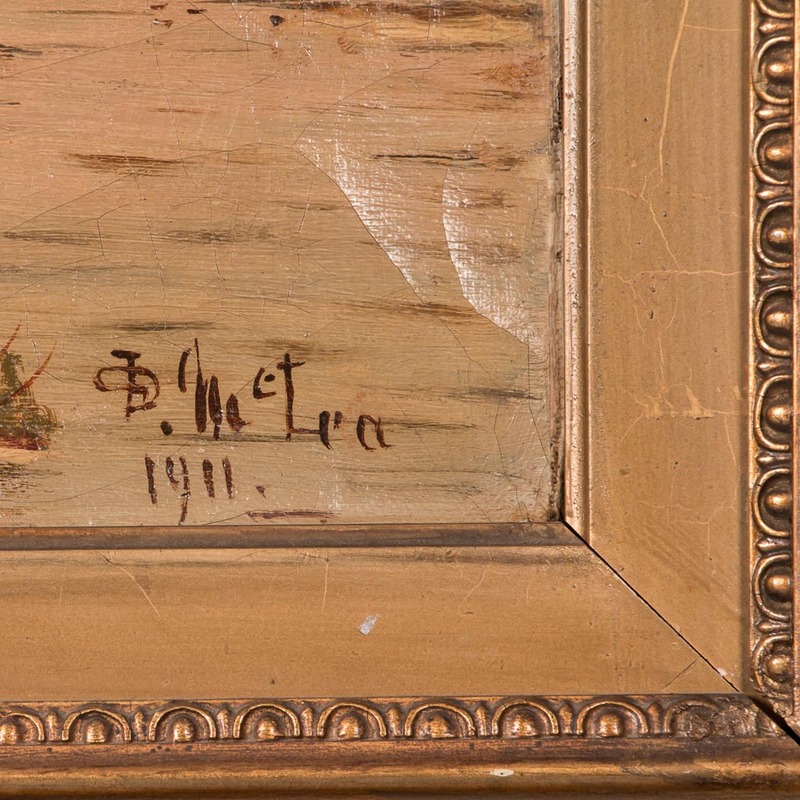 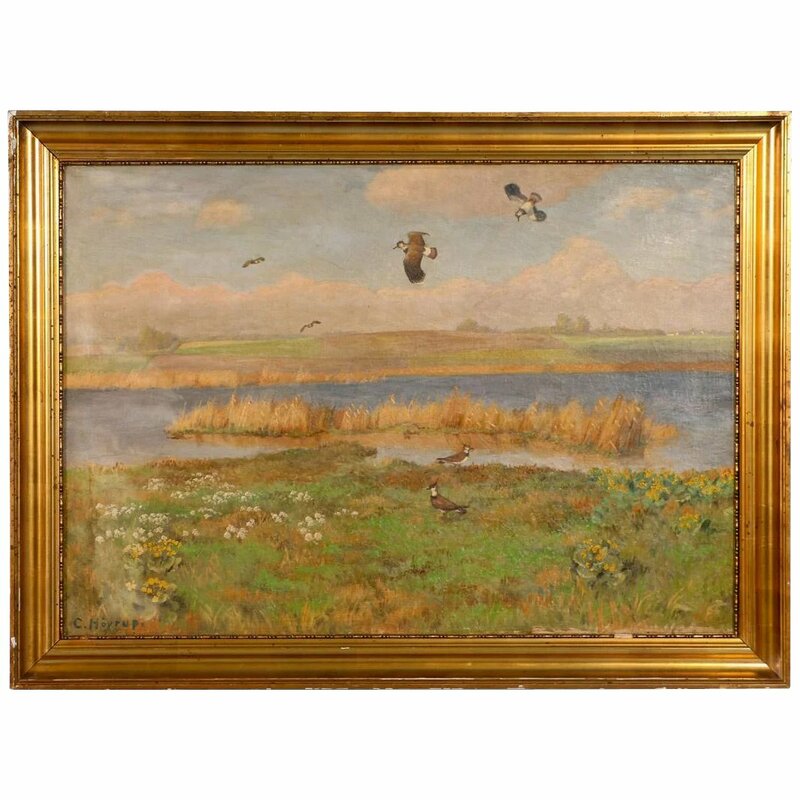 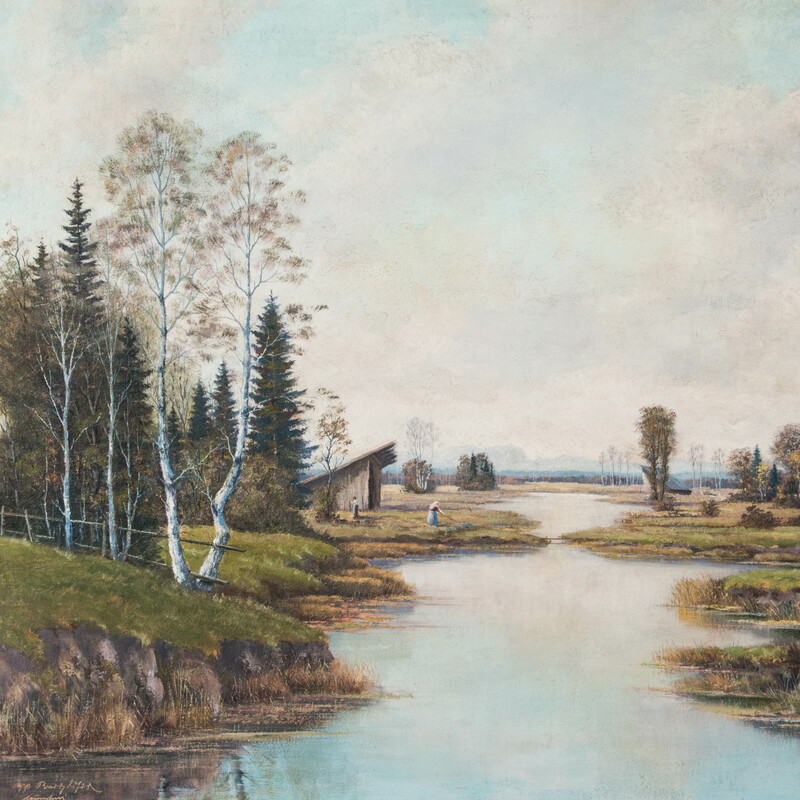 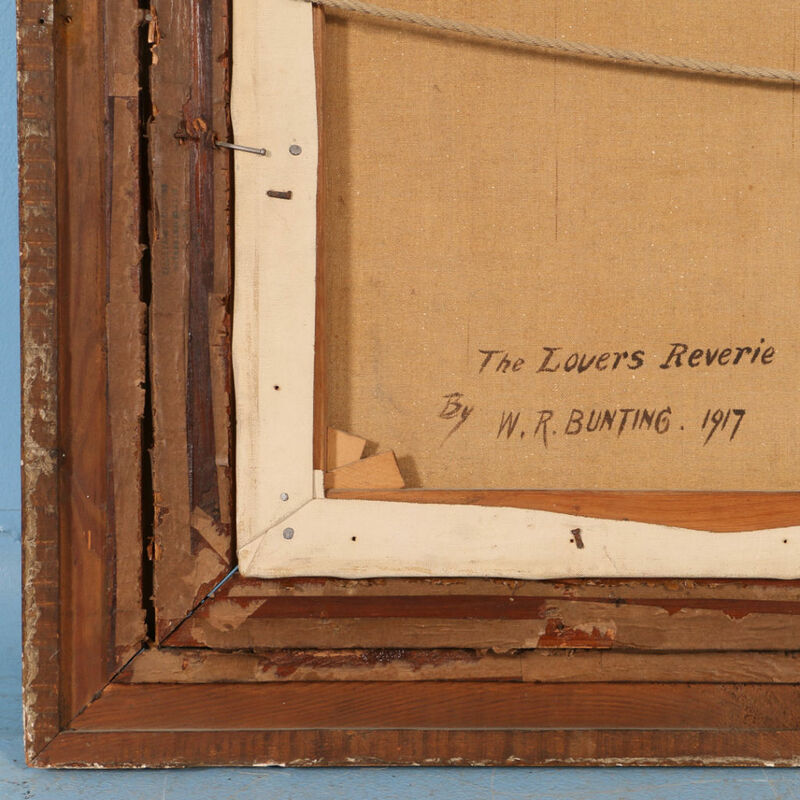 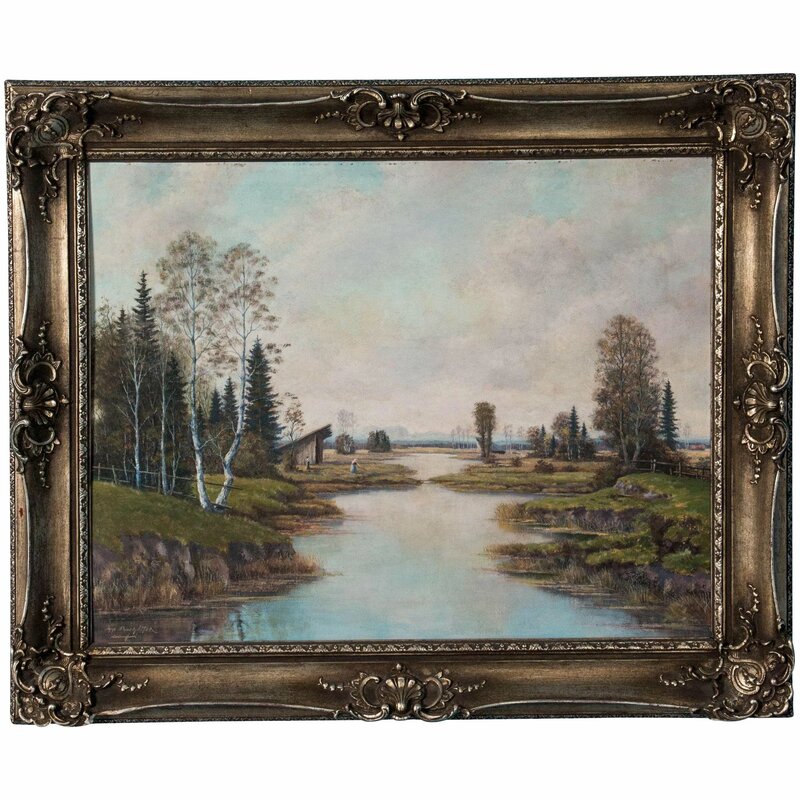 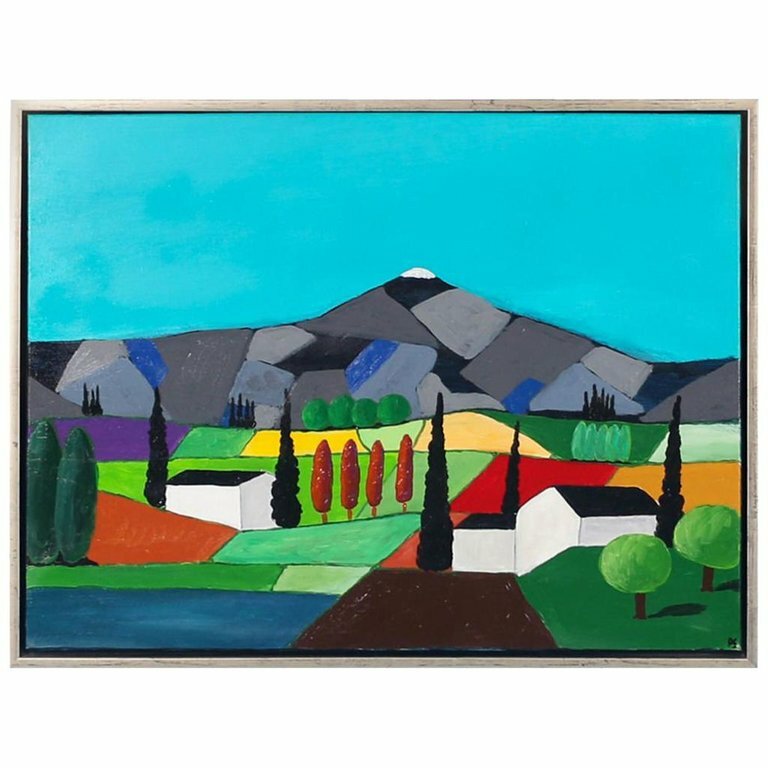 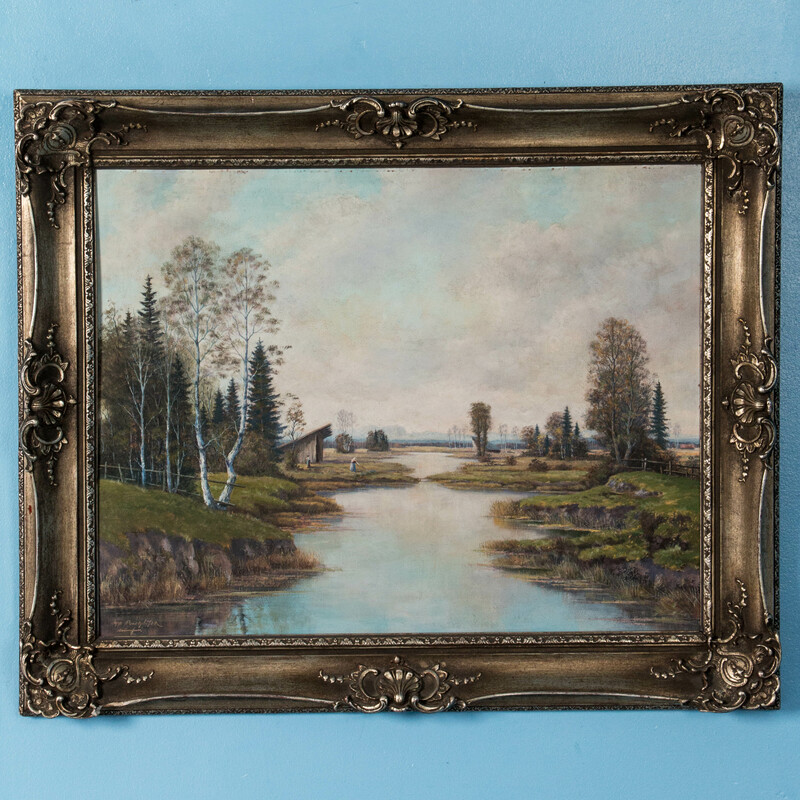 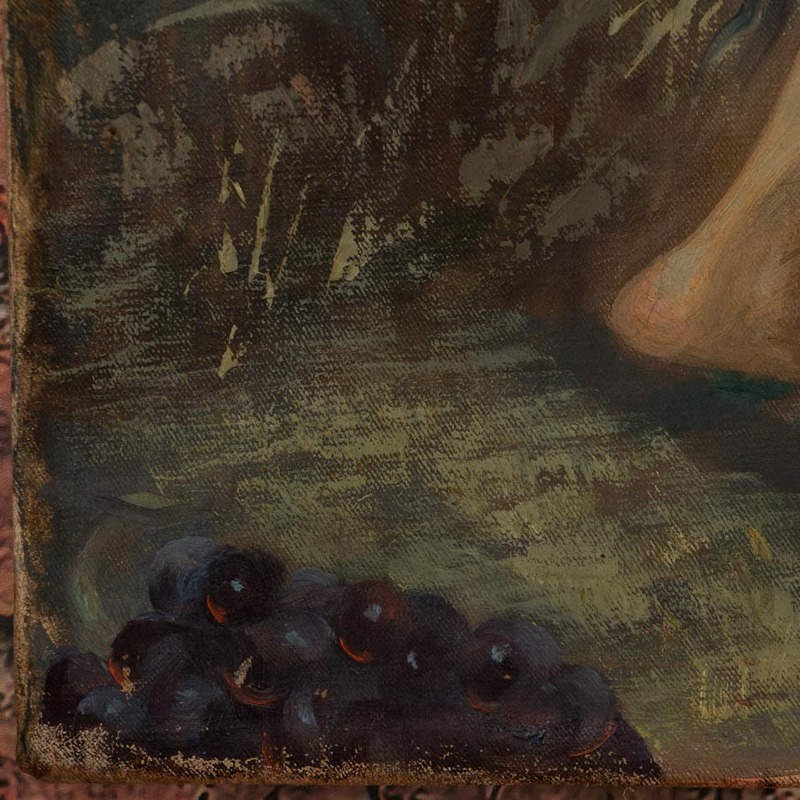 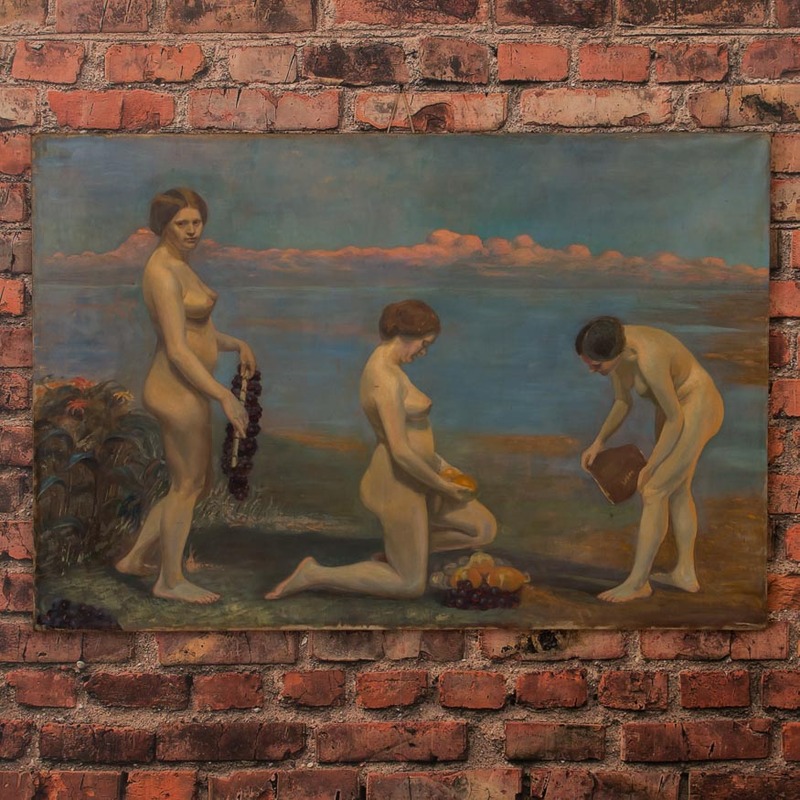 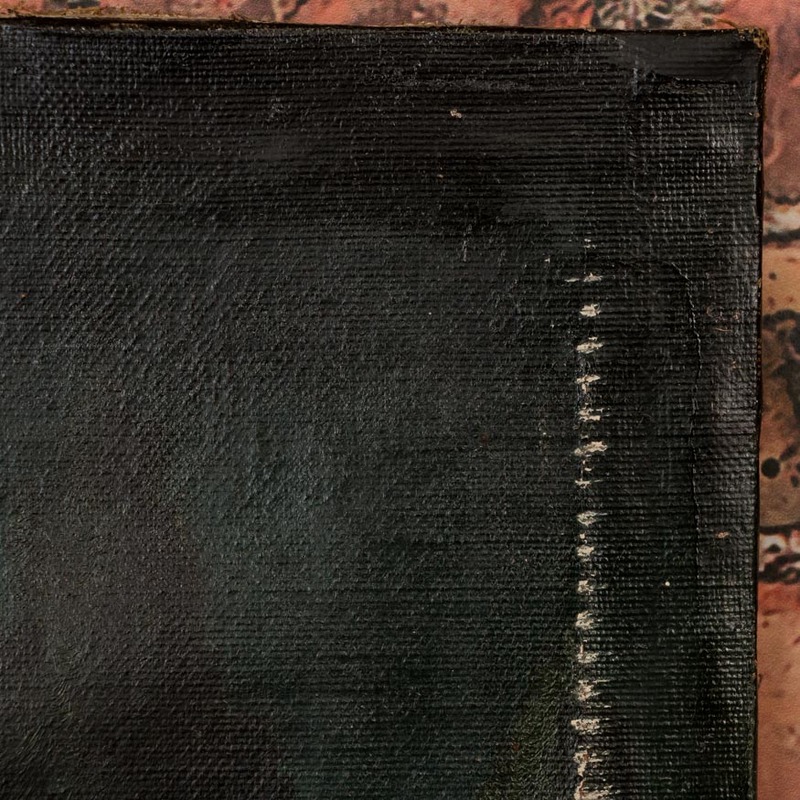 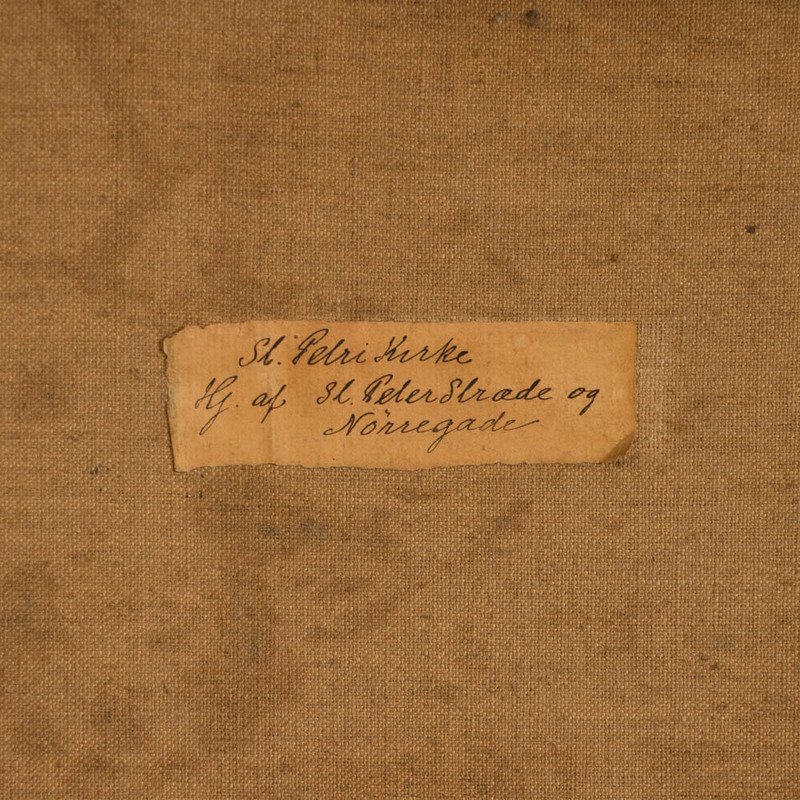 The painting is mounted in a gold painted frame and signed illegibly in the lower left. 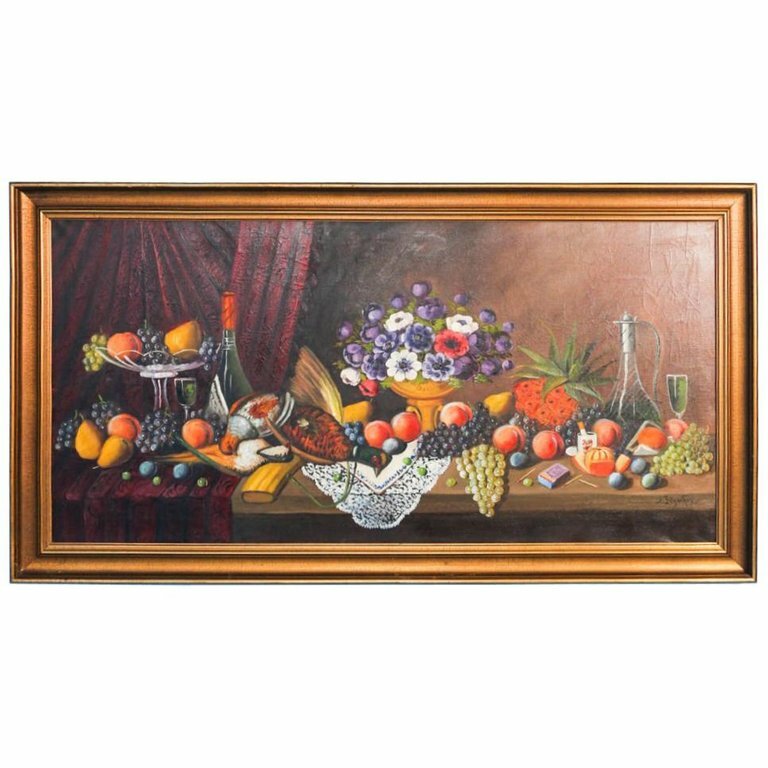 Unsigned still life oil on canvas of flowers and fruits in a basket from the mid to late 1800's. 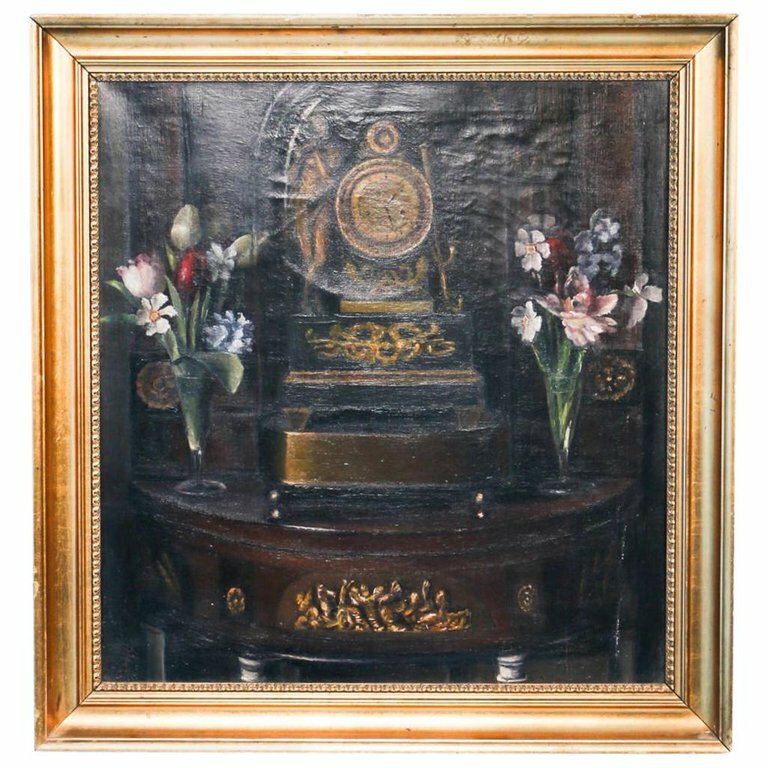 Still life oil on canvas of a clock resting on a sideboard with a pair of flower vases. 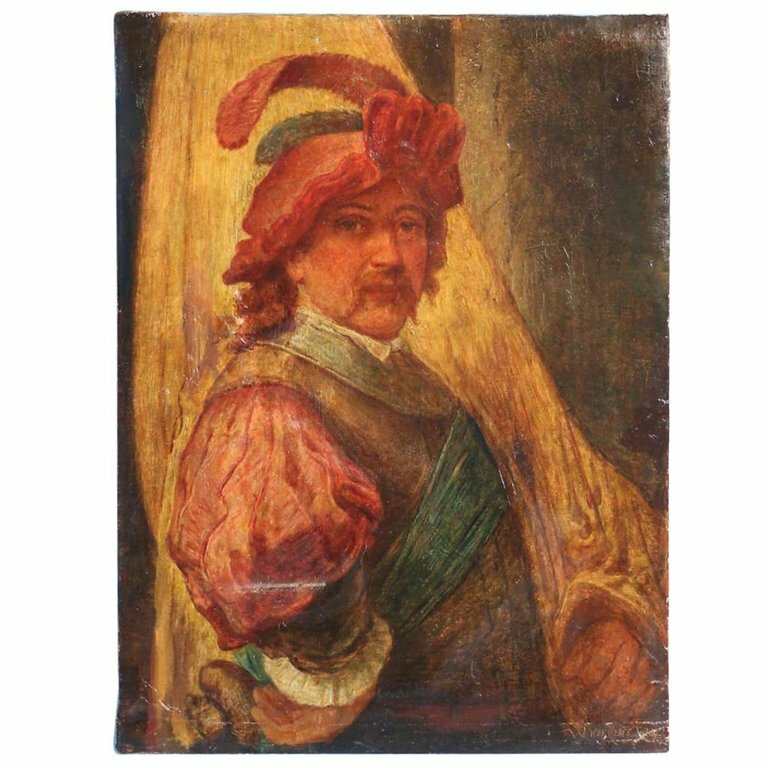 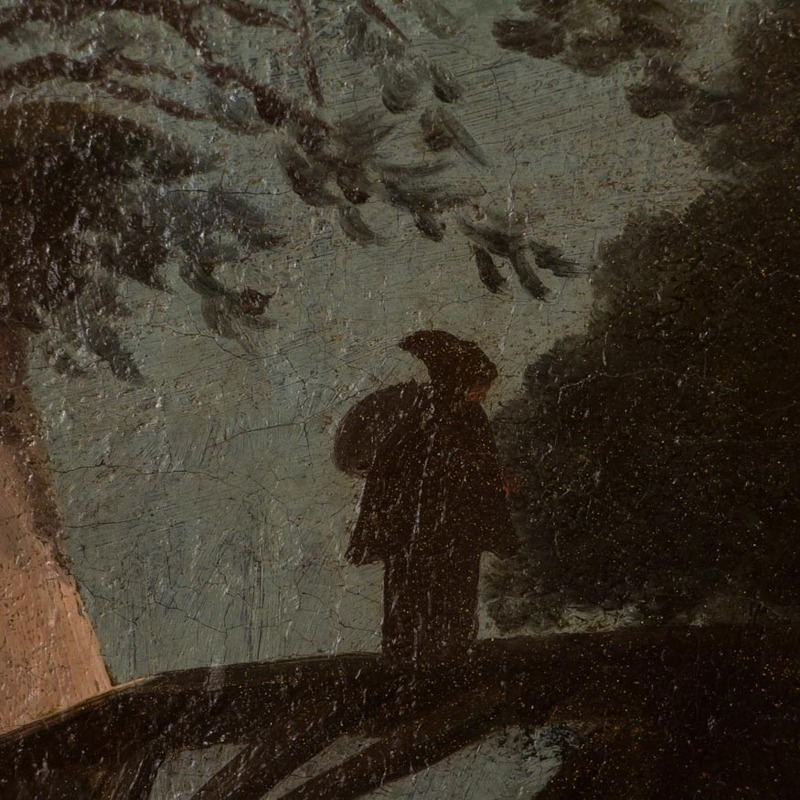 There is a jaunty air about this confident man wearing a feather in his cap. 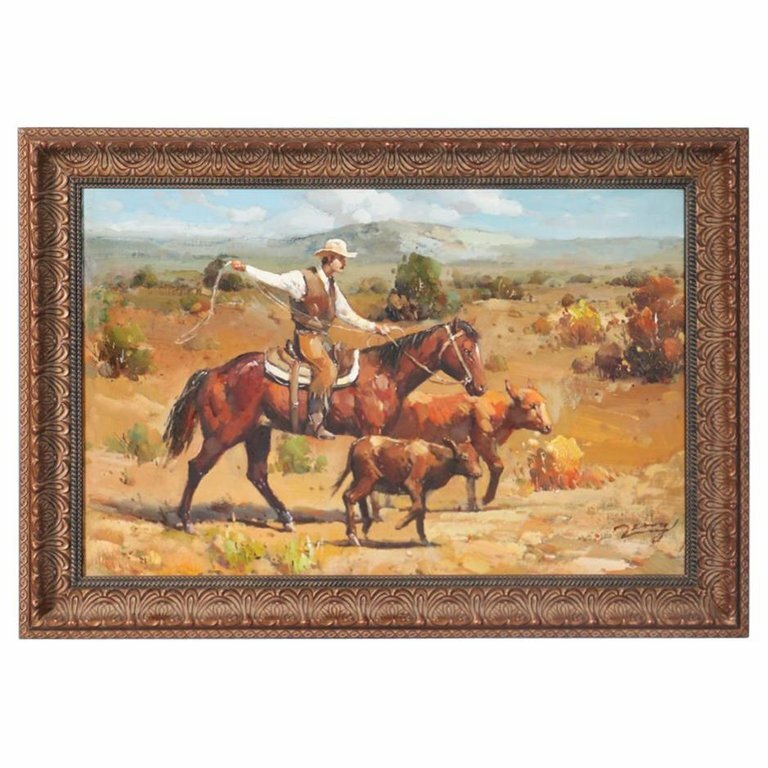 Oil on canvas painting of cowboy on horseback roping calf. 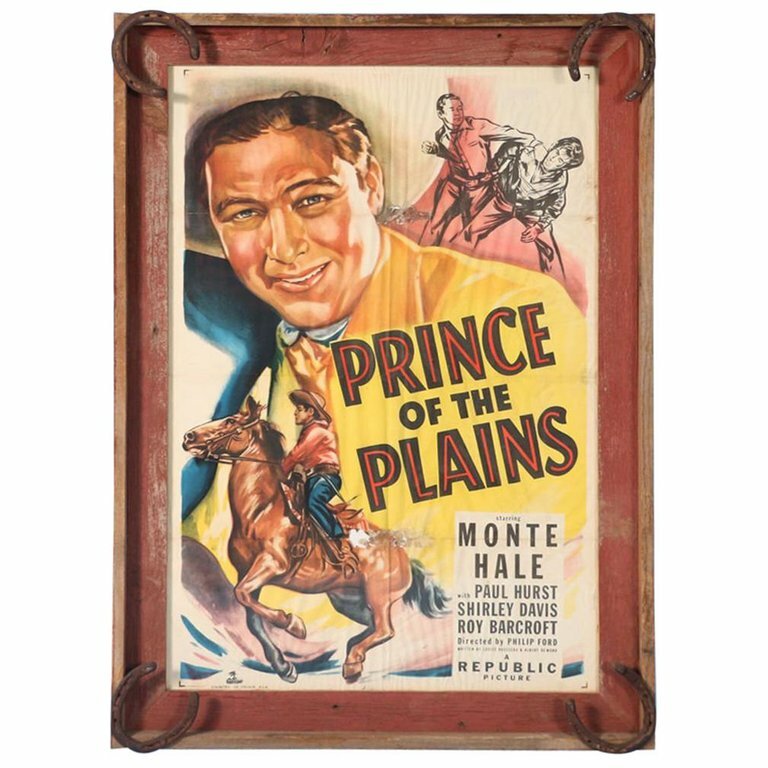 Original movie poster with Monte Hale in the lead character of "Prince of the Plains". 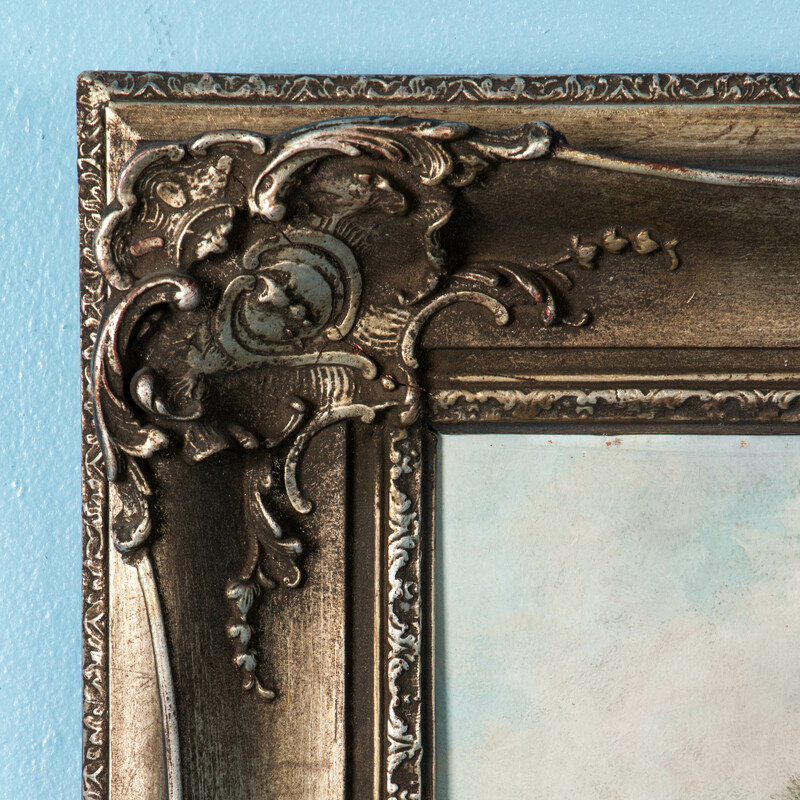 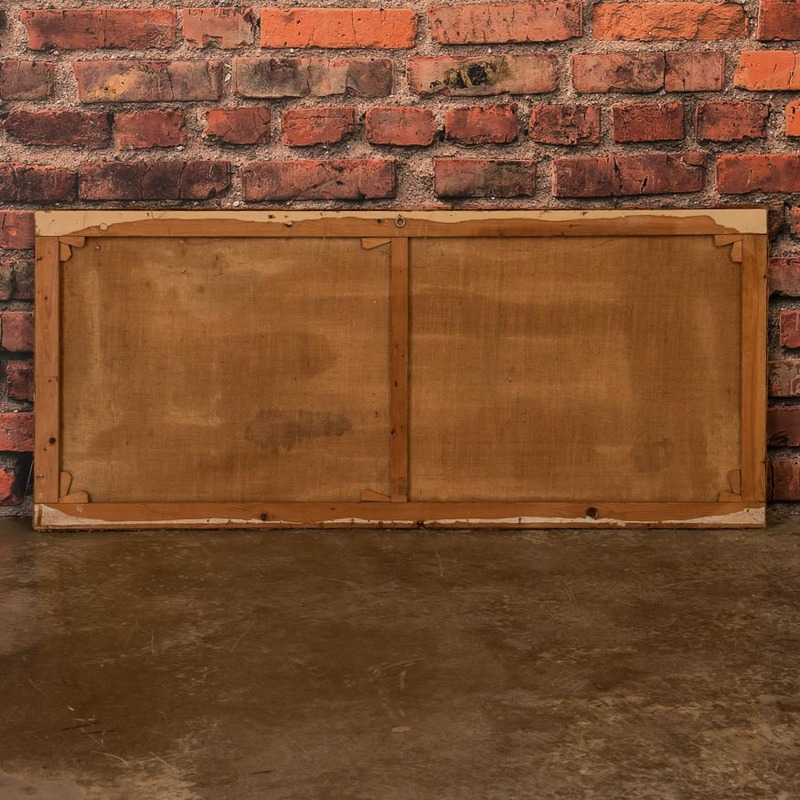 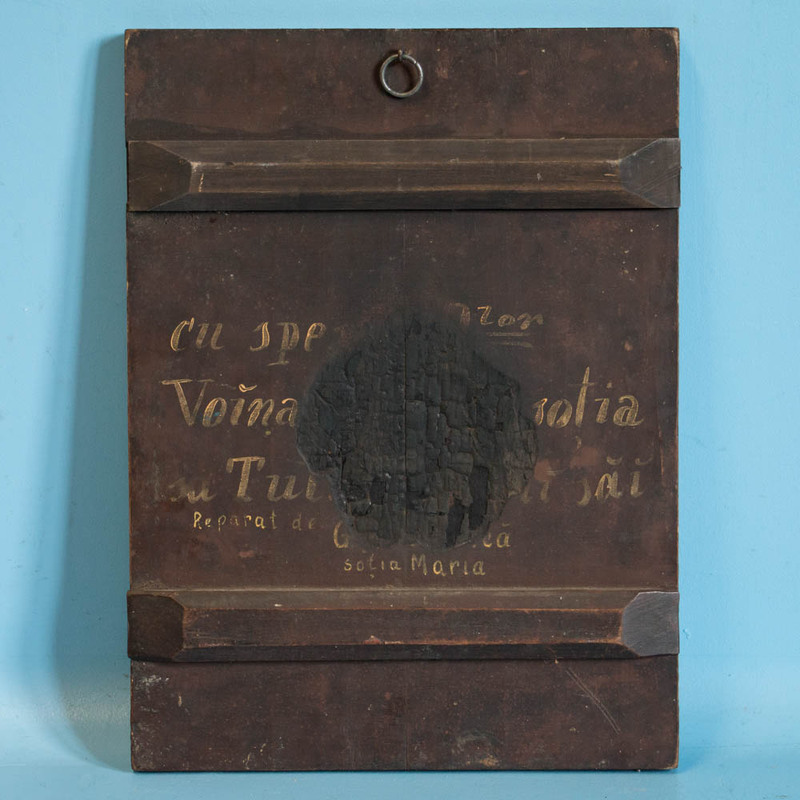 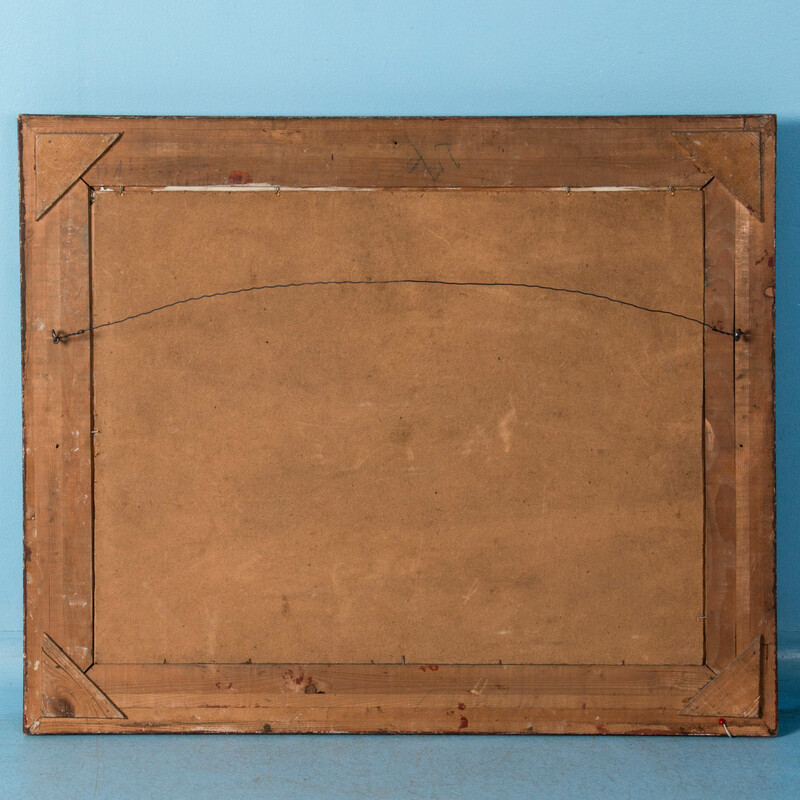 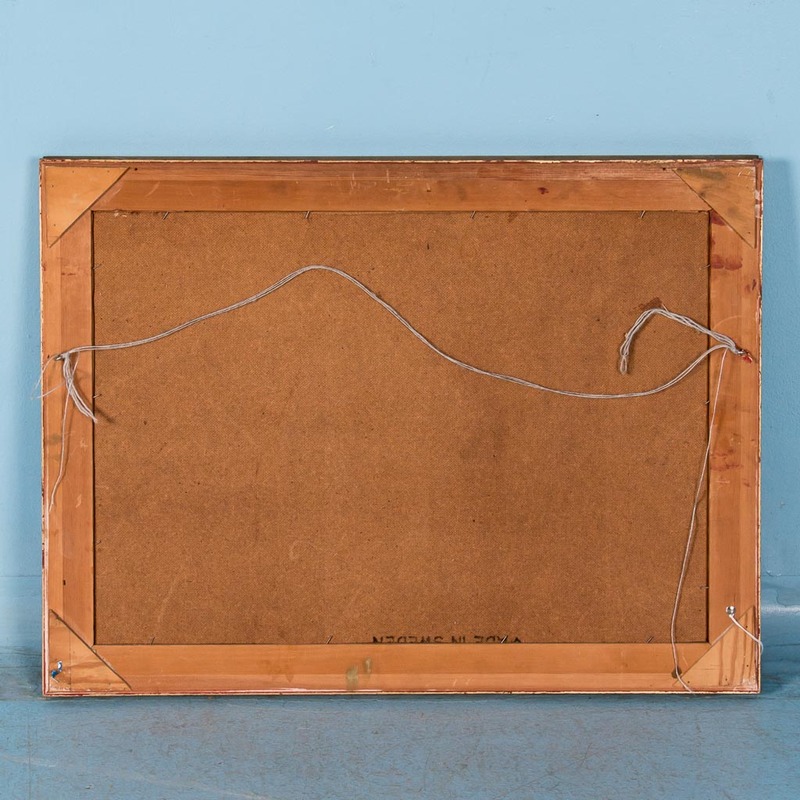 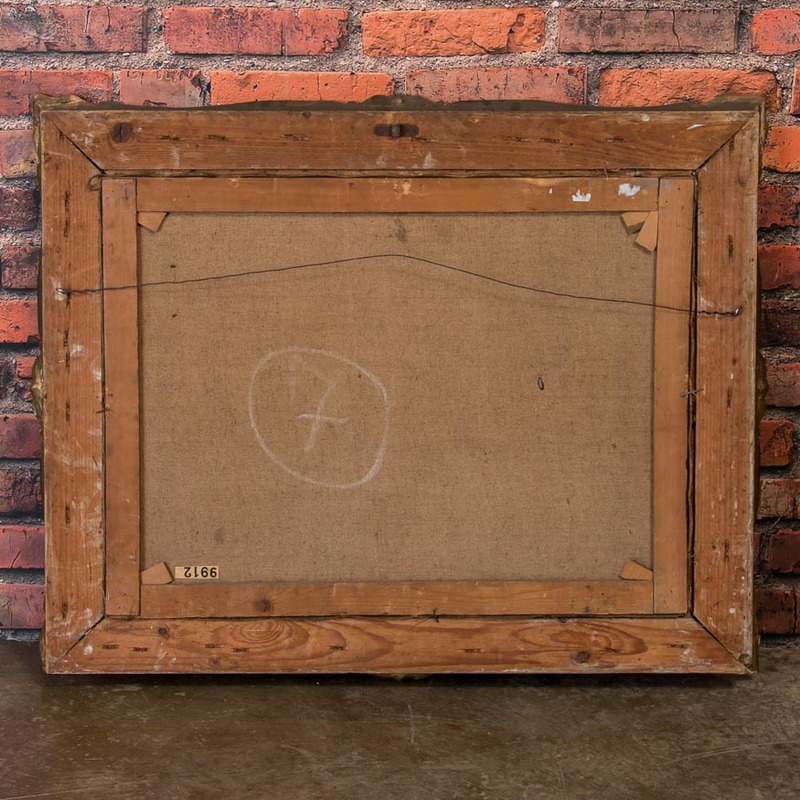 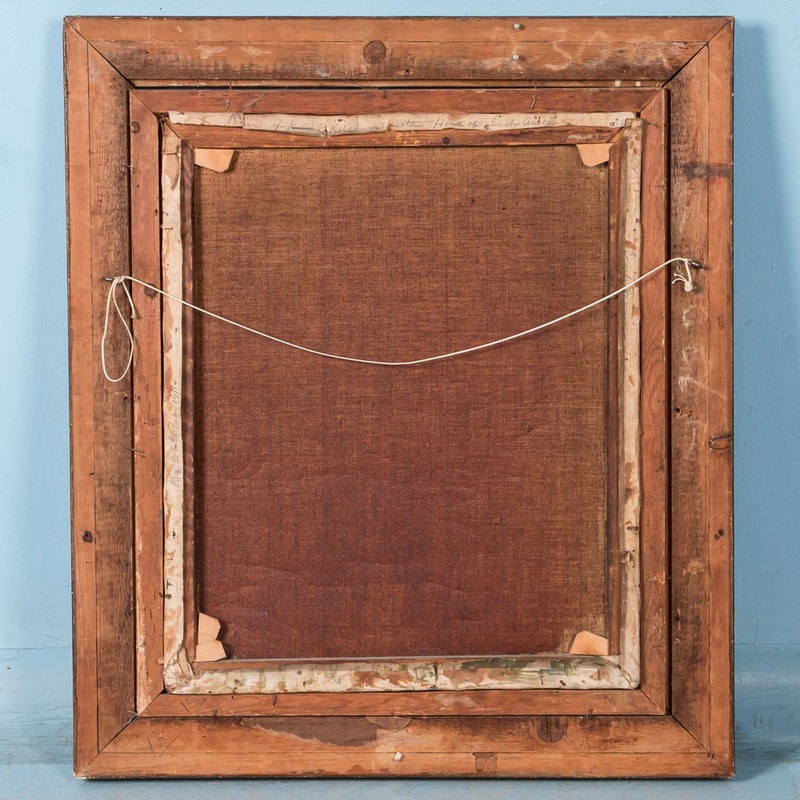 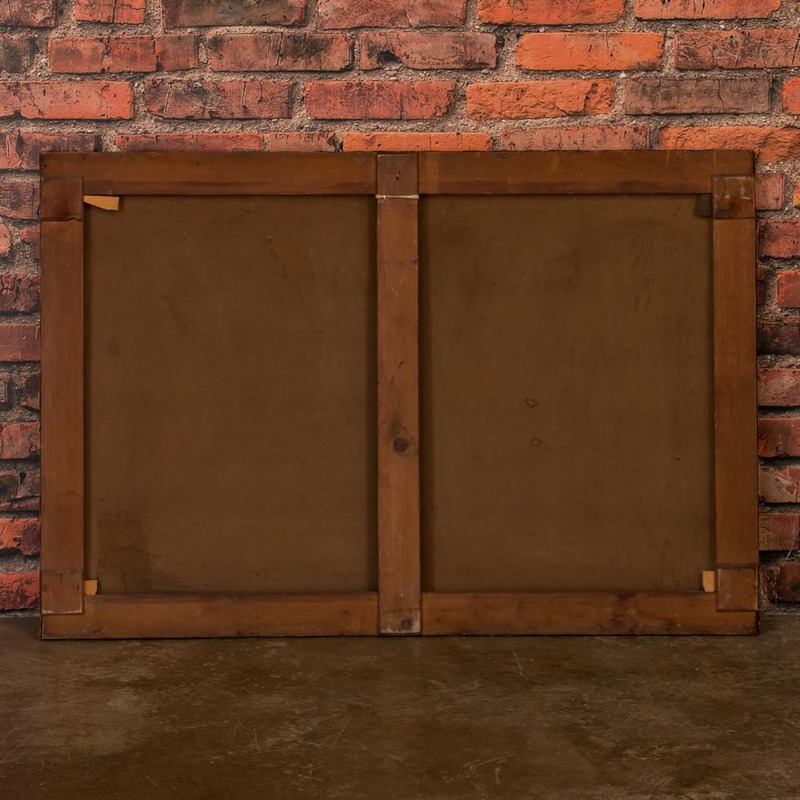 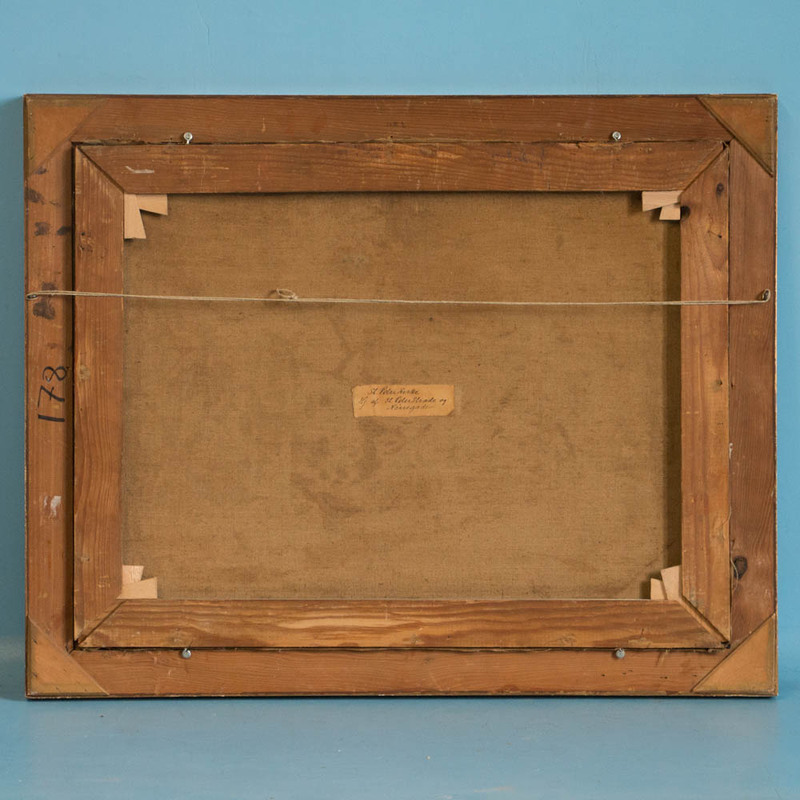 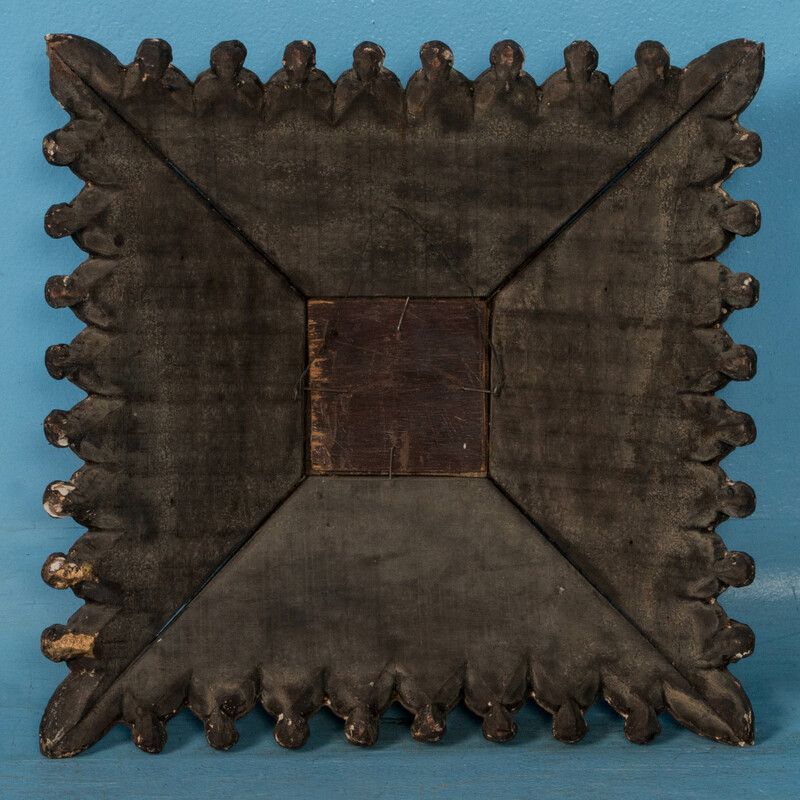 The rustic frame is new, with old horseshoes adding a western touch to the corners. 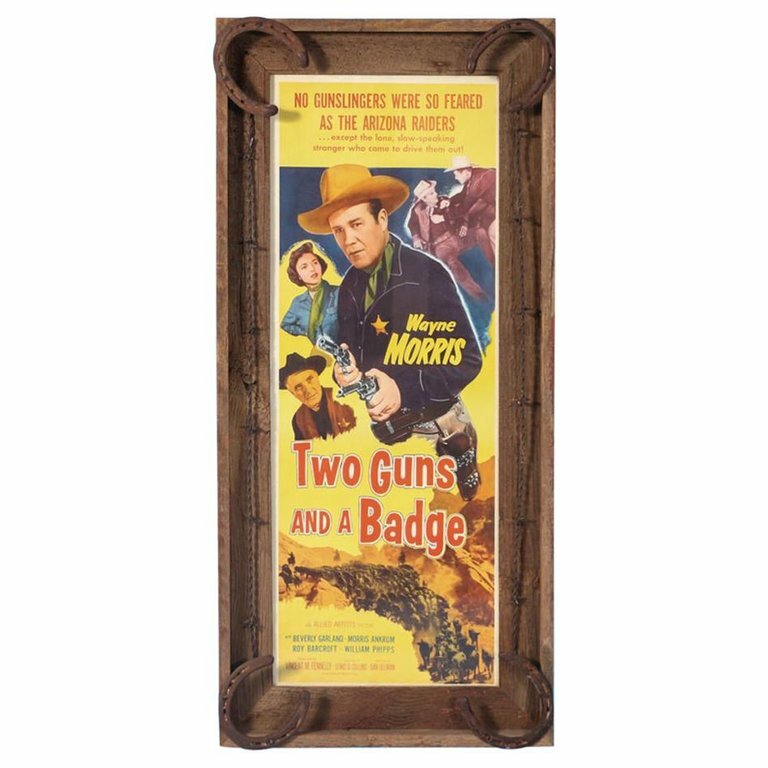 Original Movie Poster with actor Wayne Morris in the lead role as the sheriff. 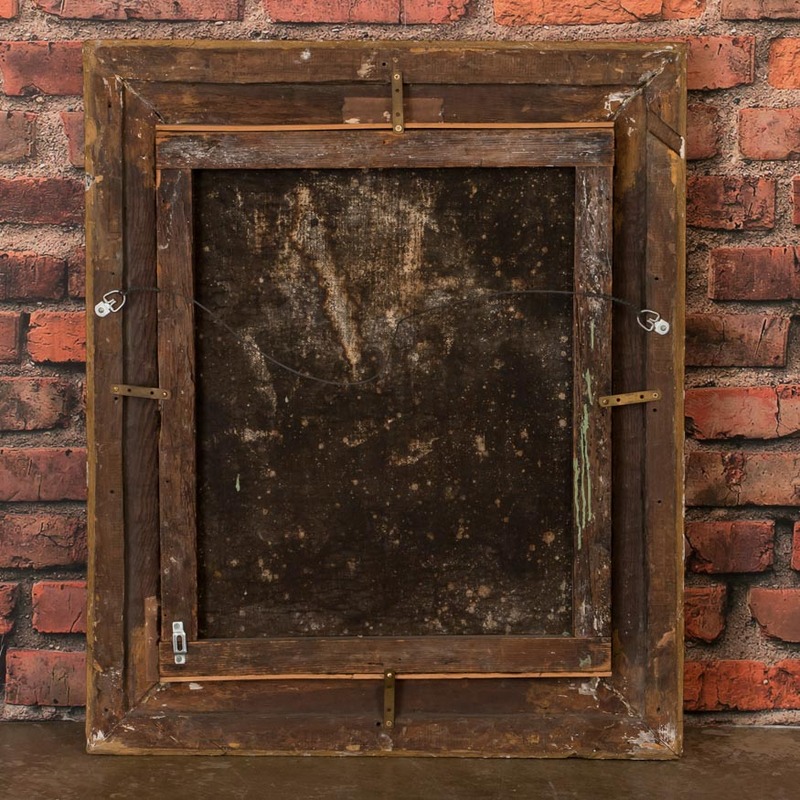 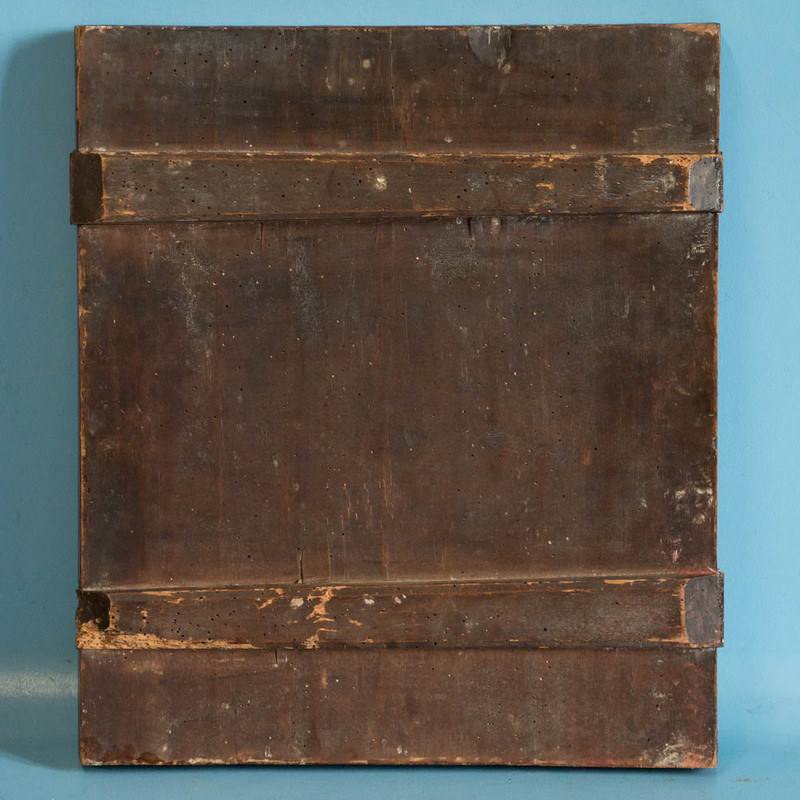 The rustic frame is new, with old horseshoes adding a western accent to the corners.